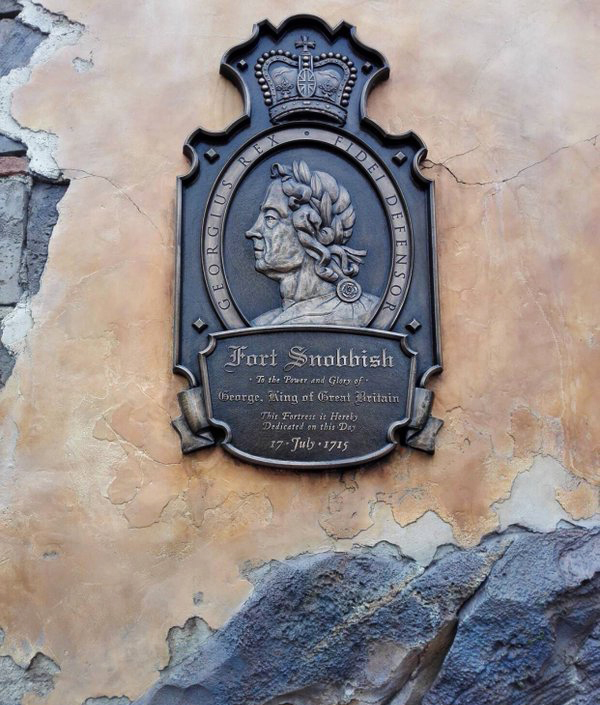 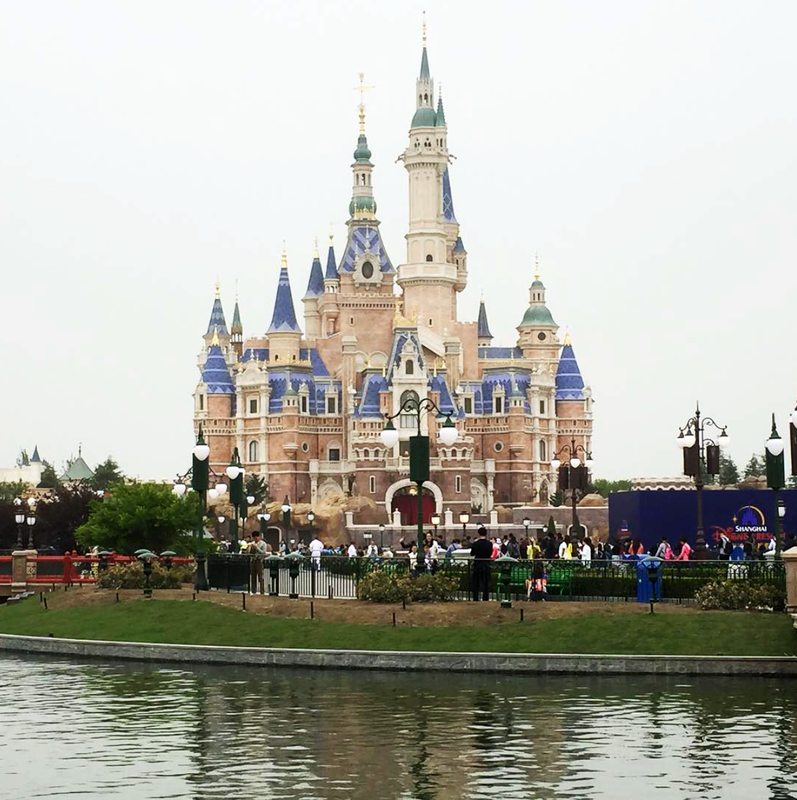 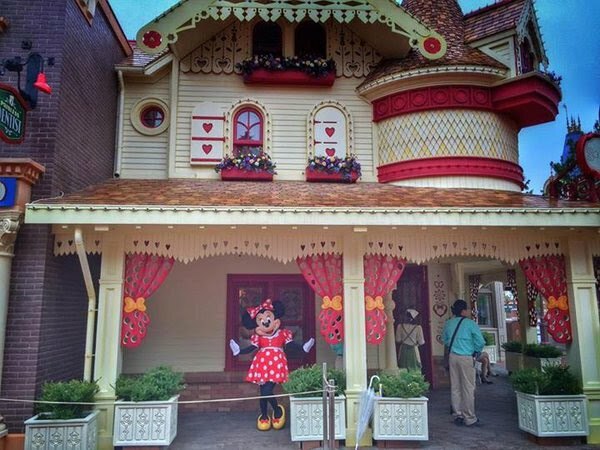 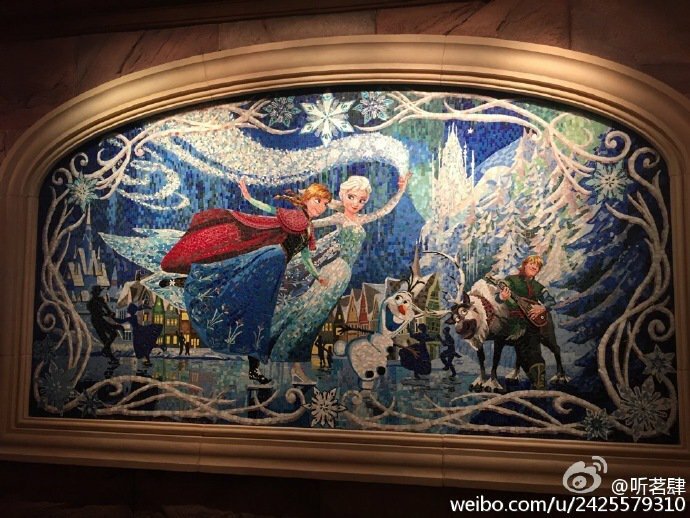 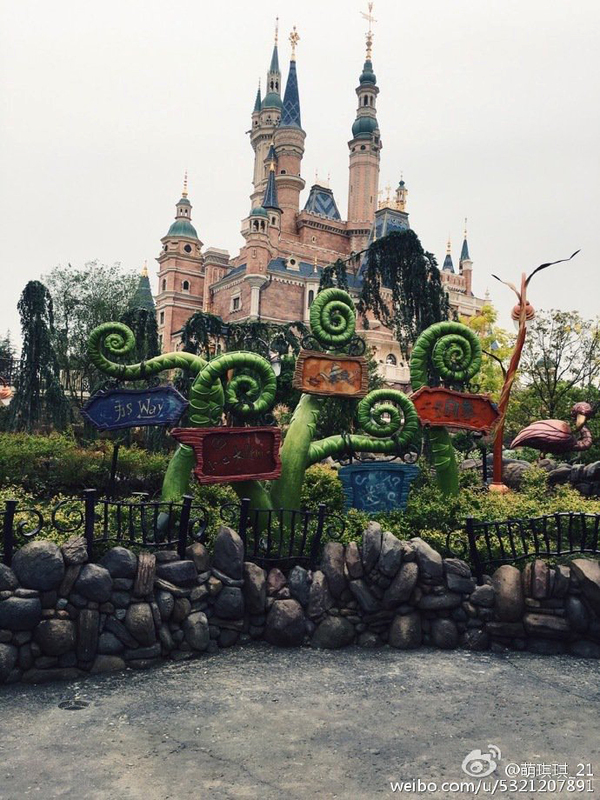 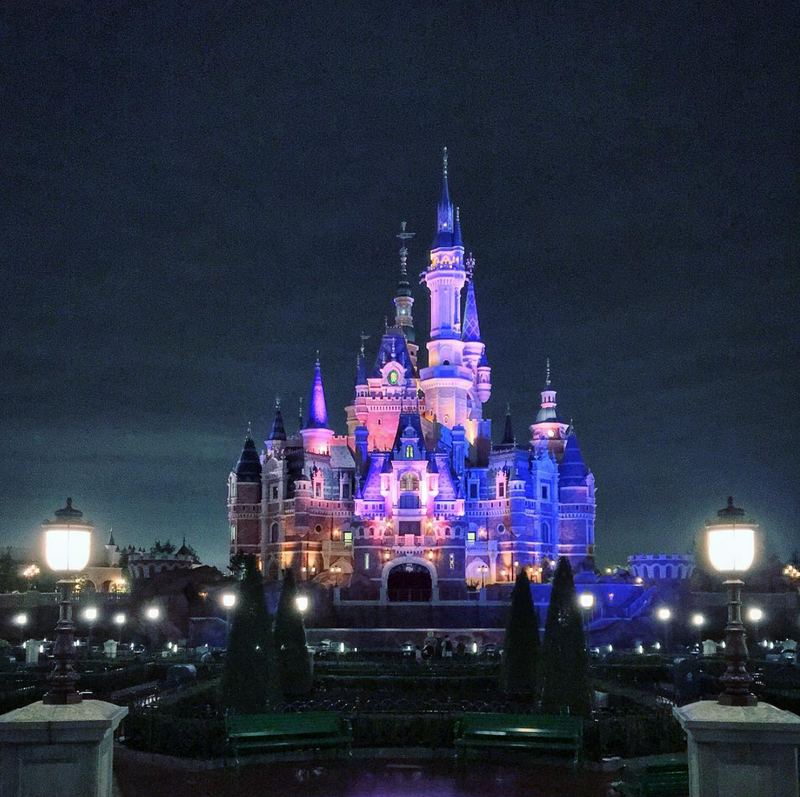 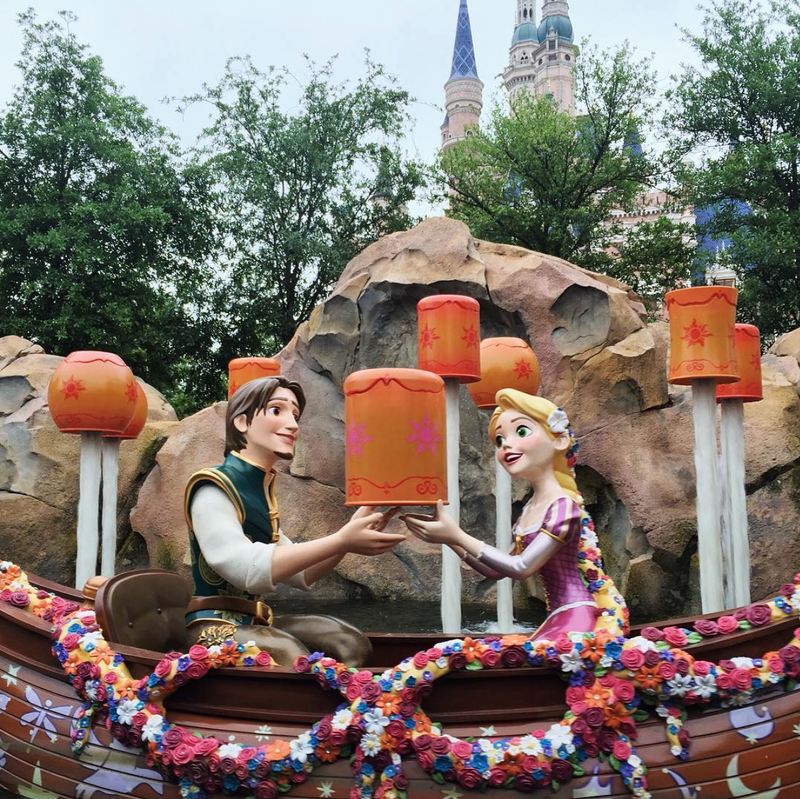 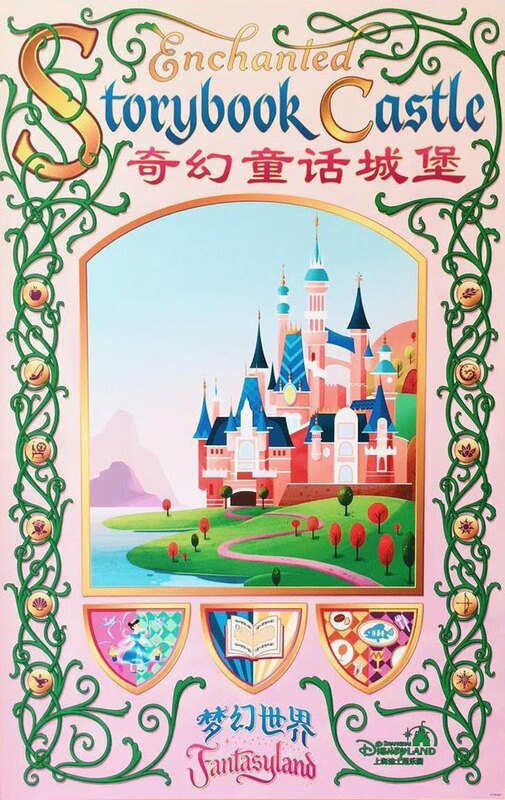 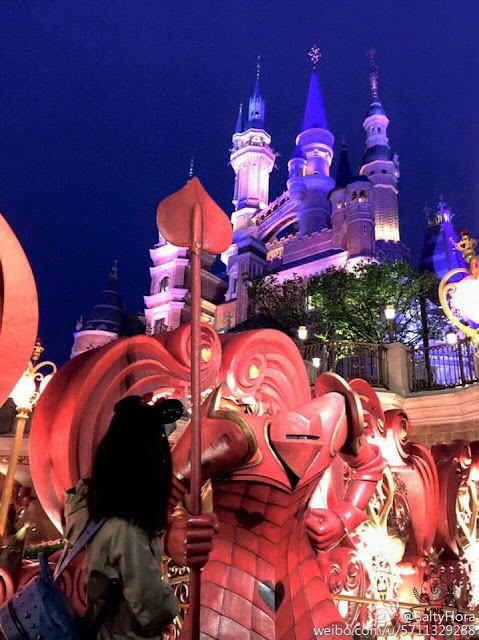 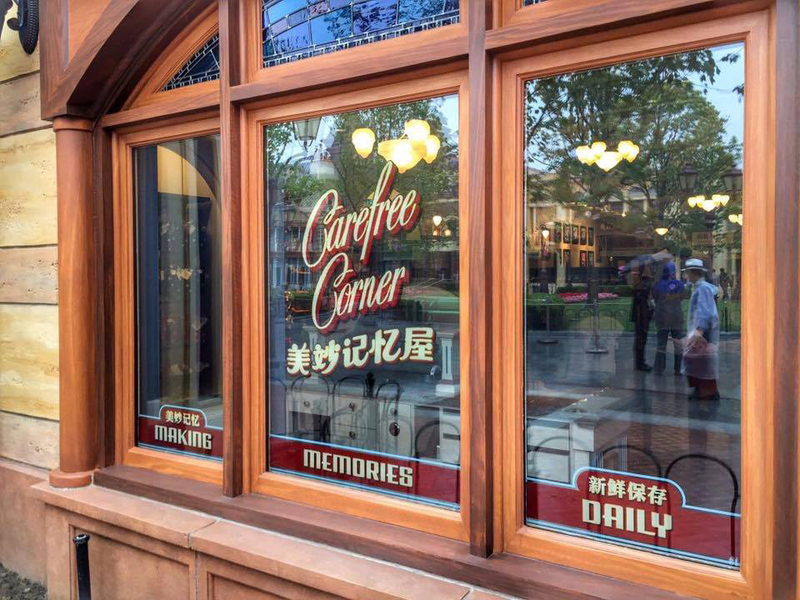 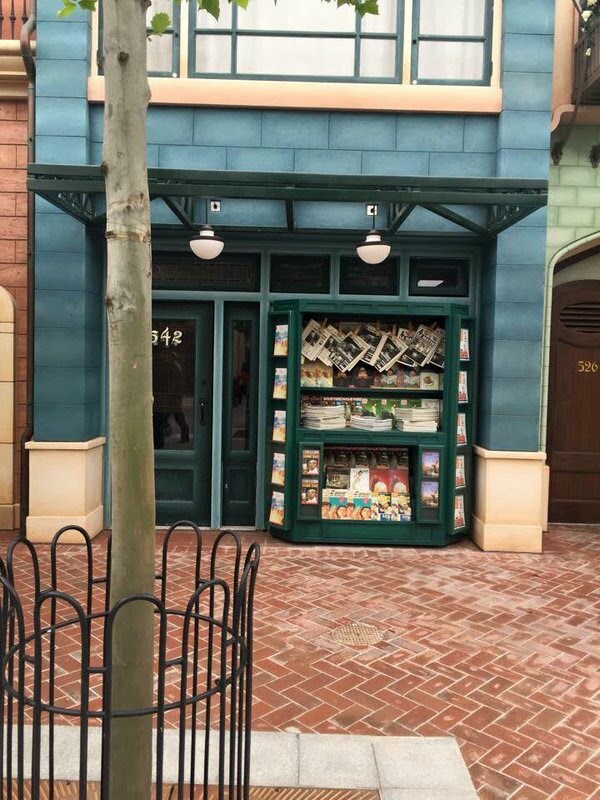 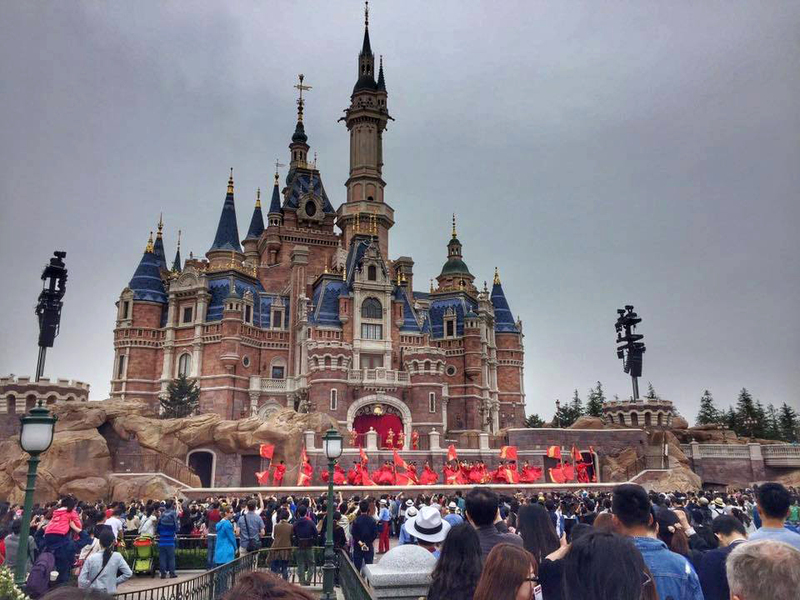 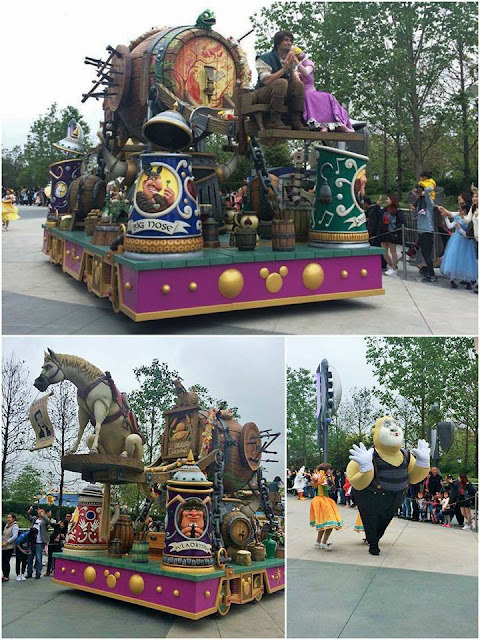 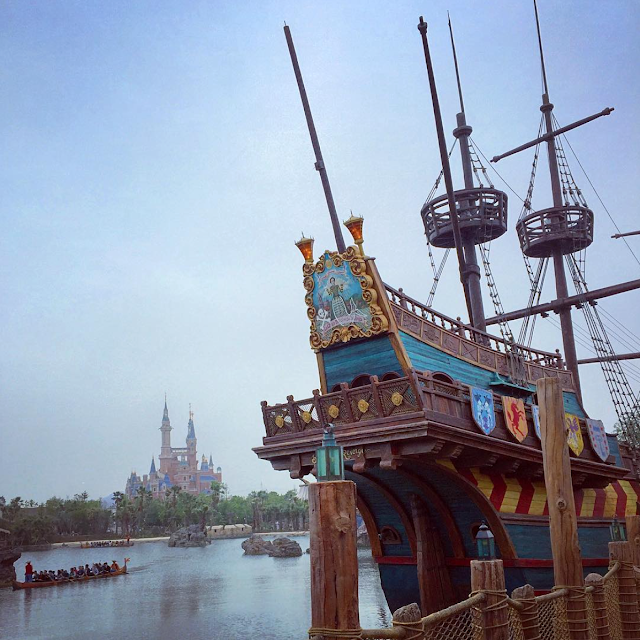 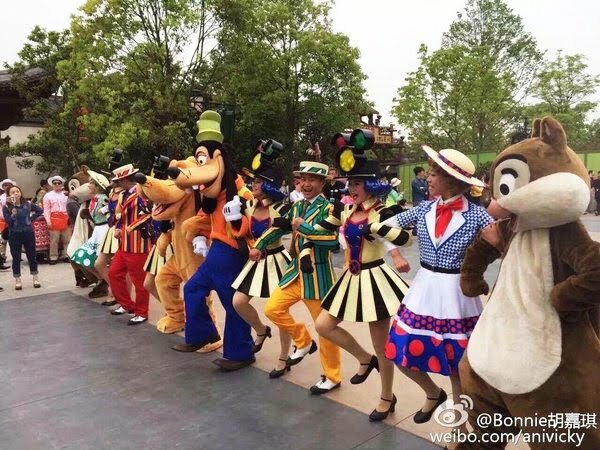 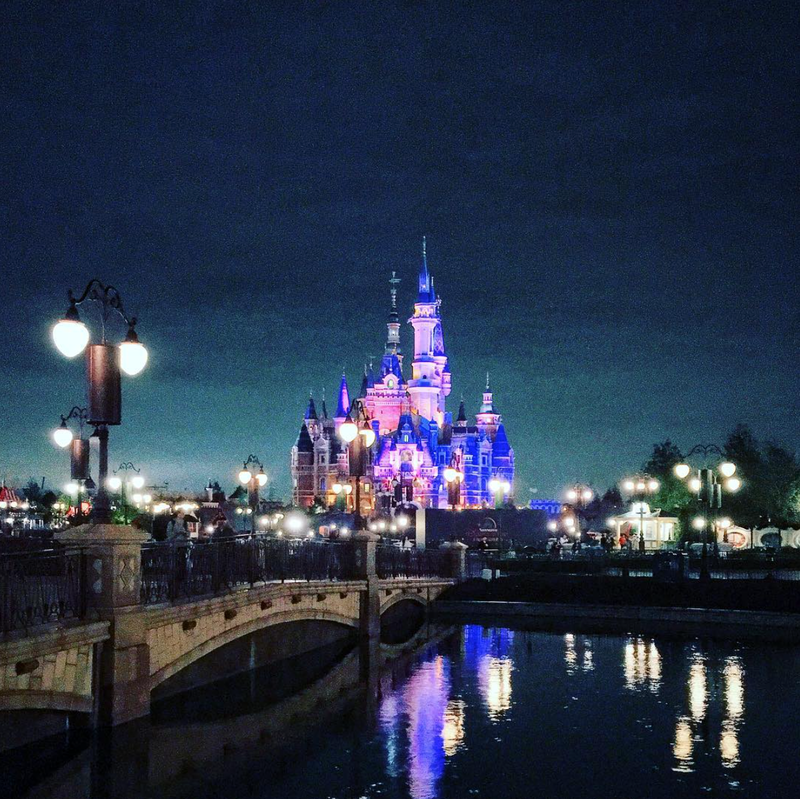 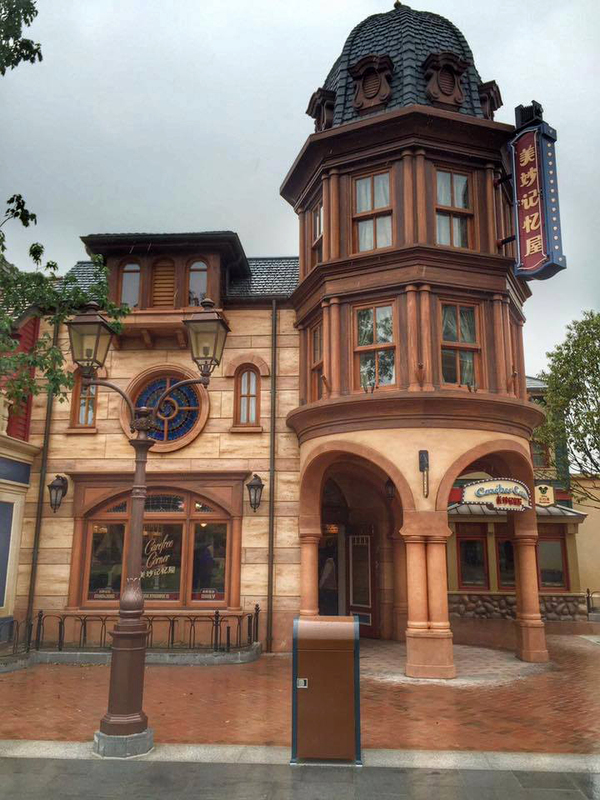 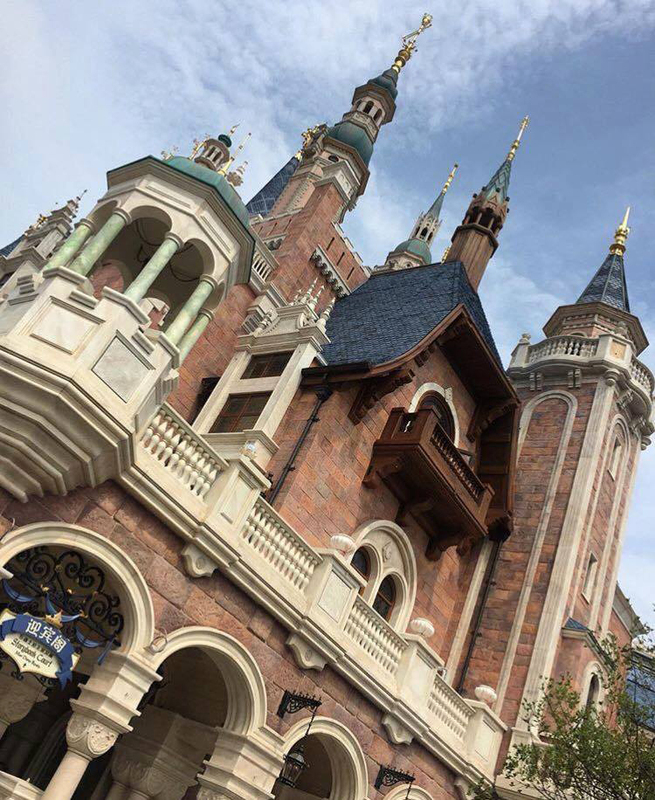 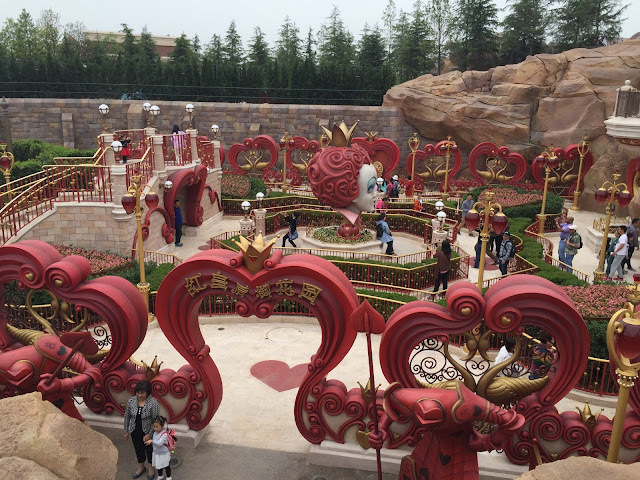 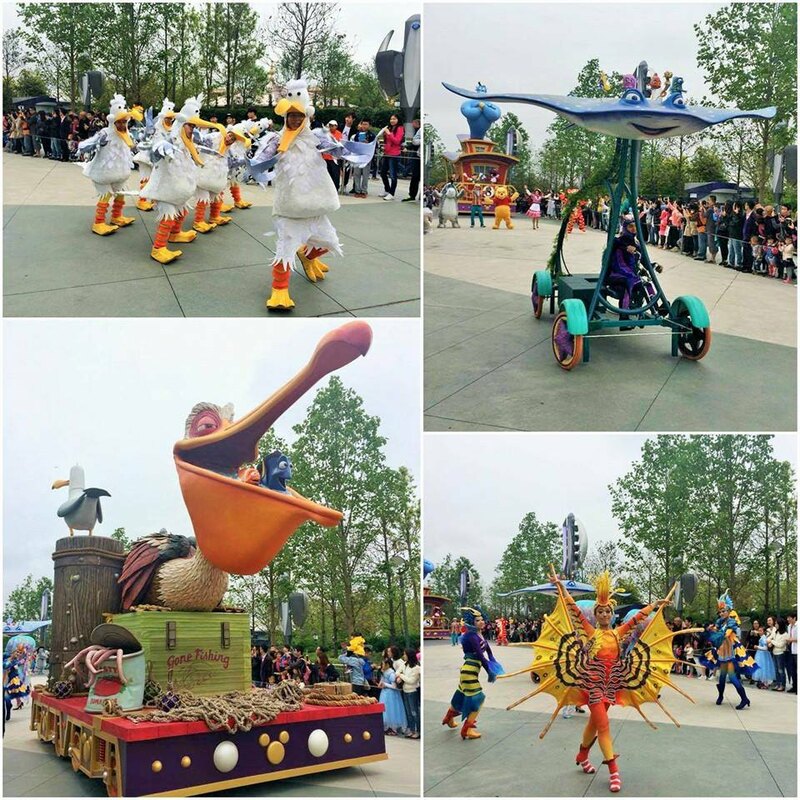 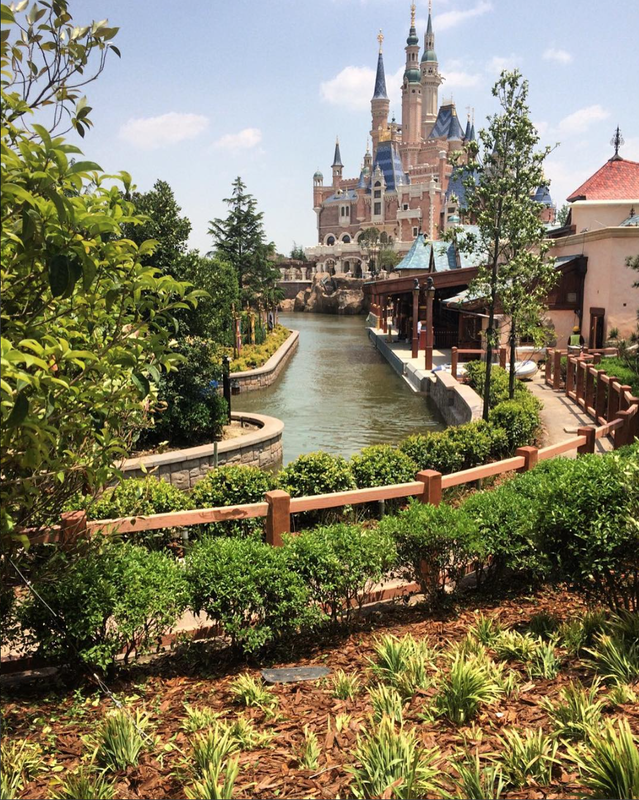 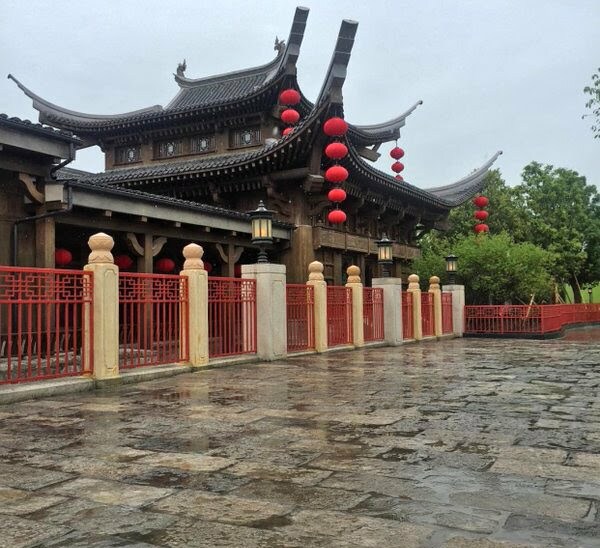 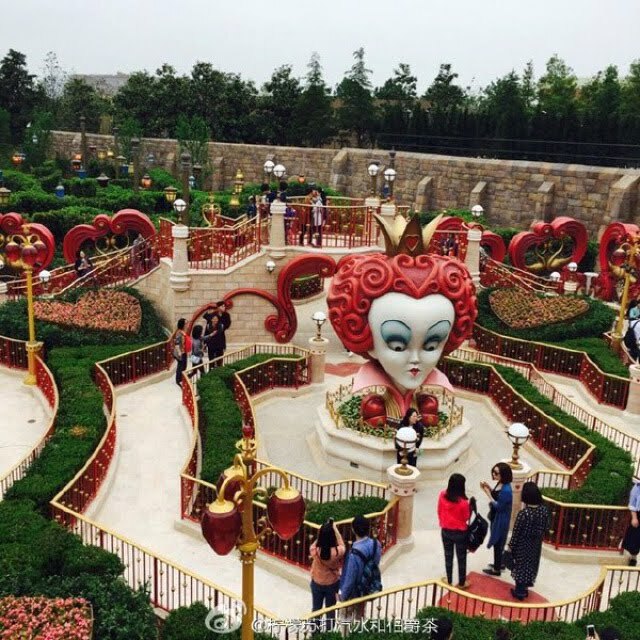 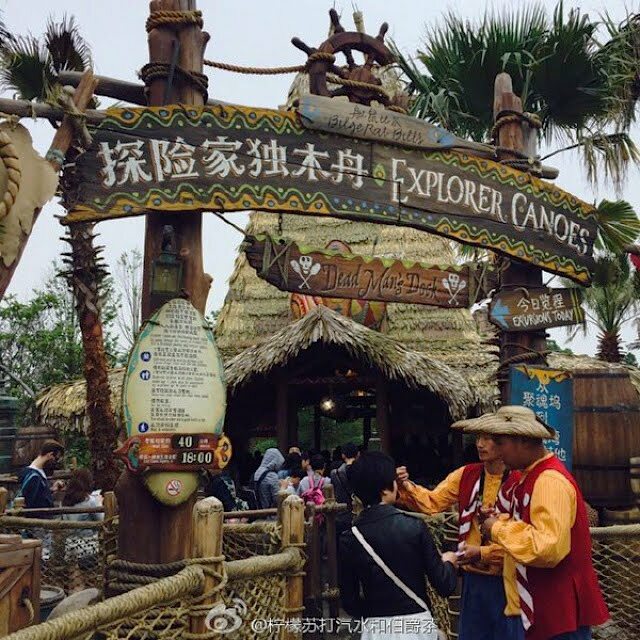 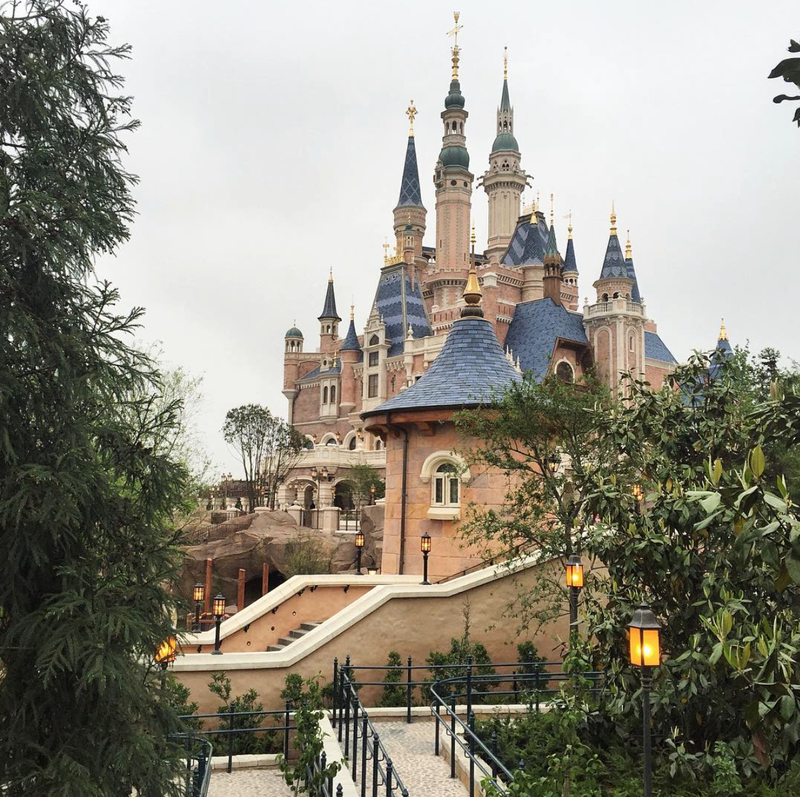 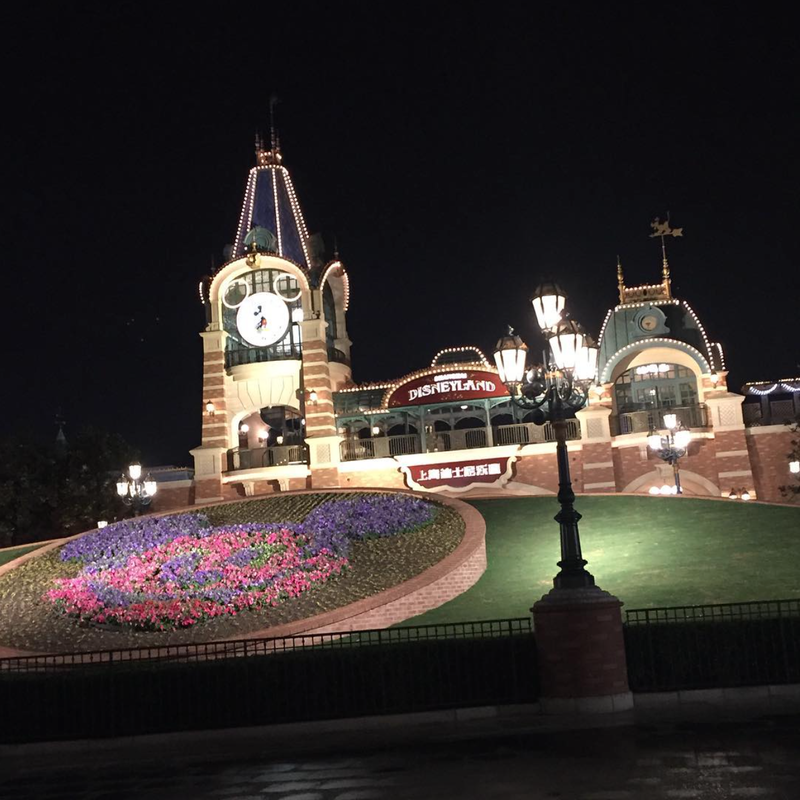 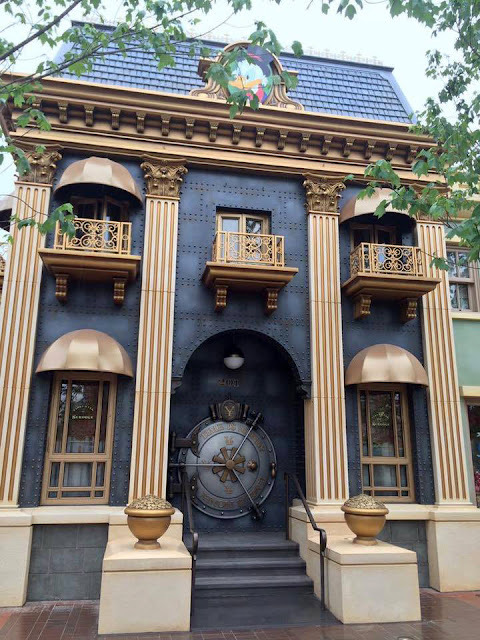 Shanghaî Disneyland Now in Soft-Opening for SDL Cast-Members - 180 Pictures and Videos of the Park - Updated With New Pictures AND the Video of teh FULL Mickey Storybook Express Parade! 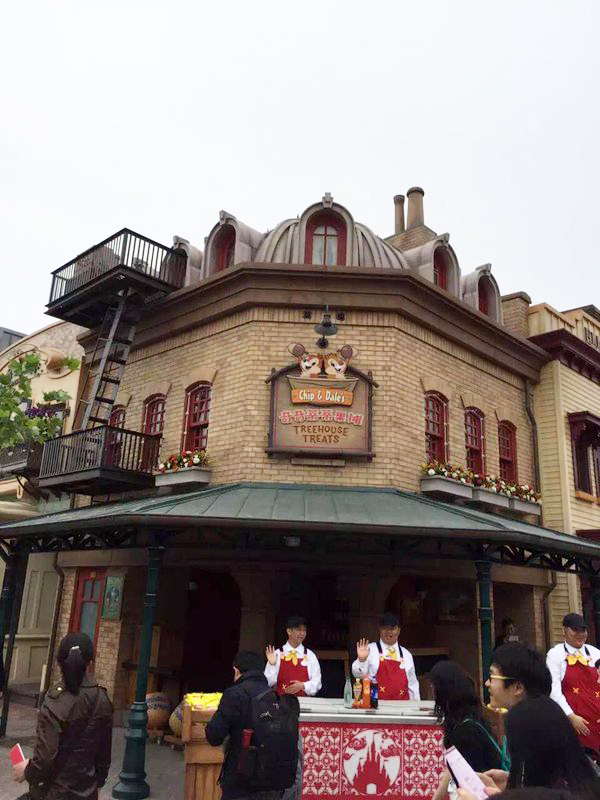 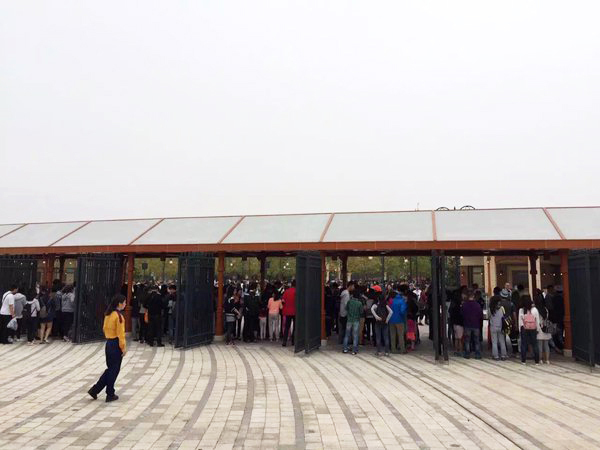 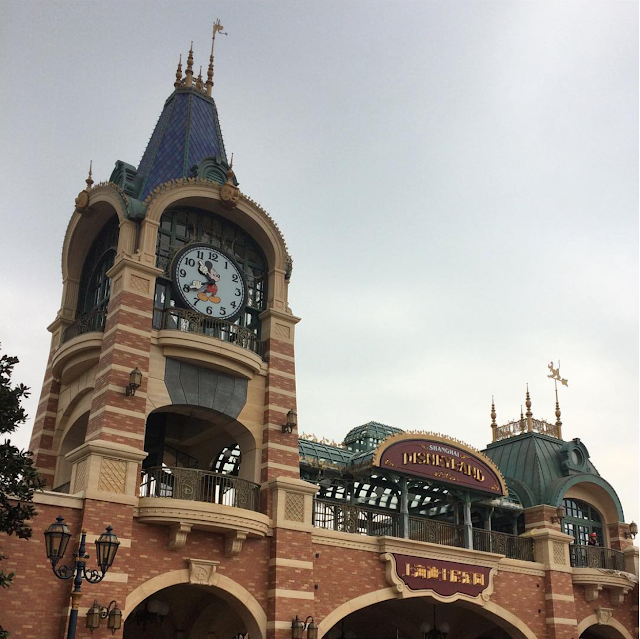 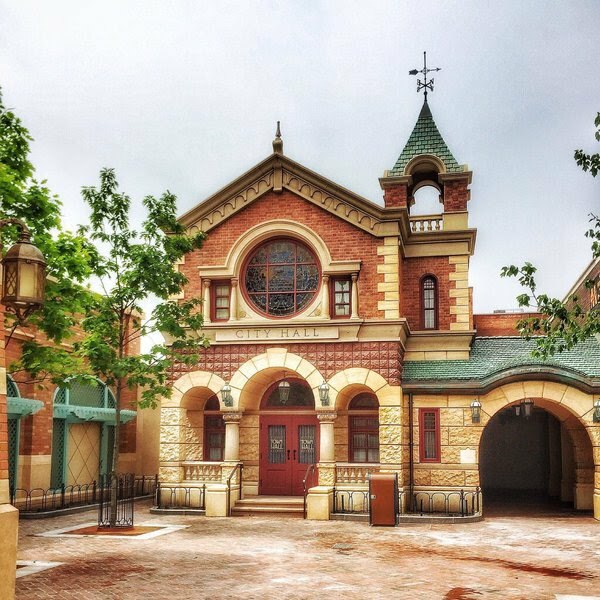 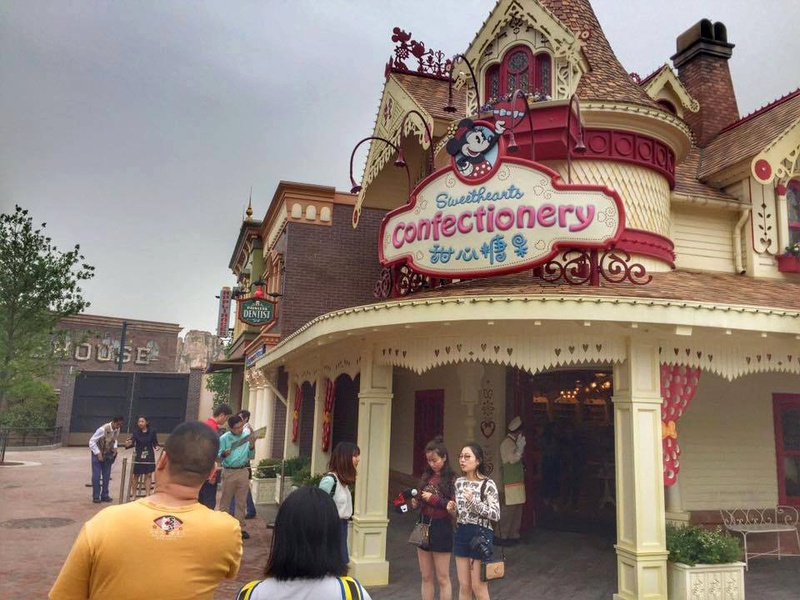 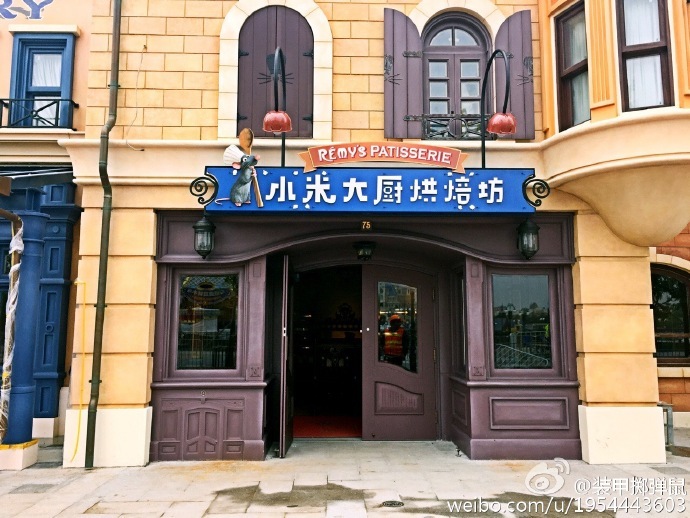 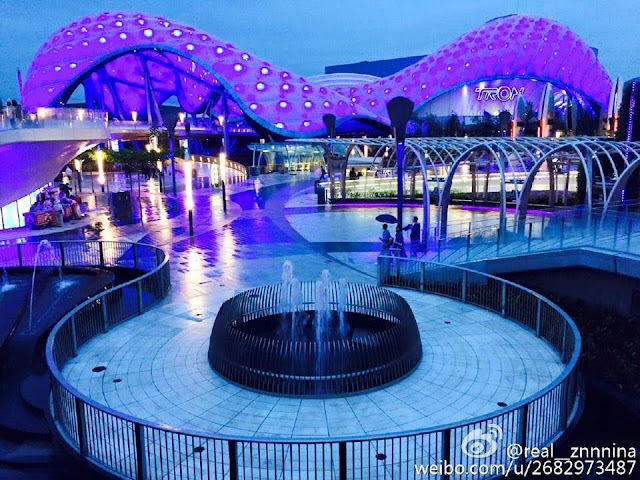 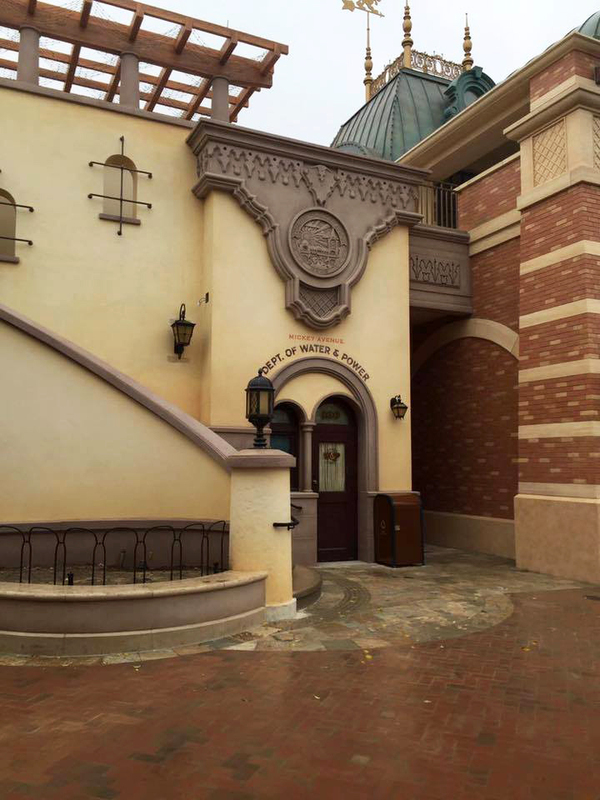 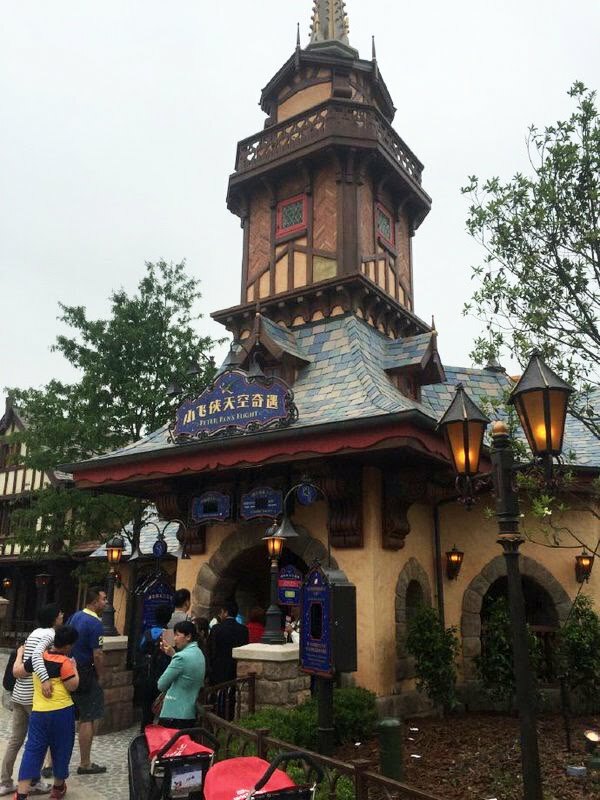 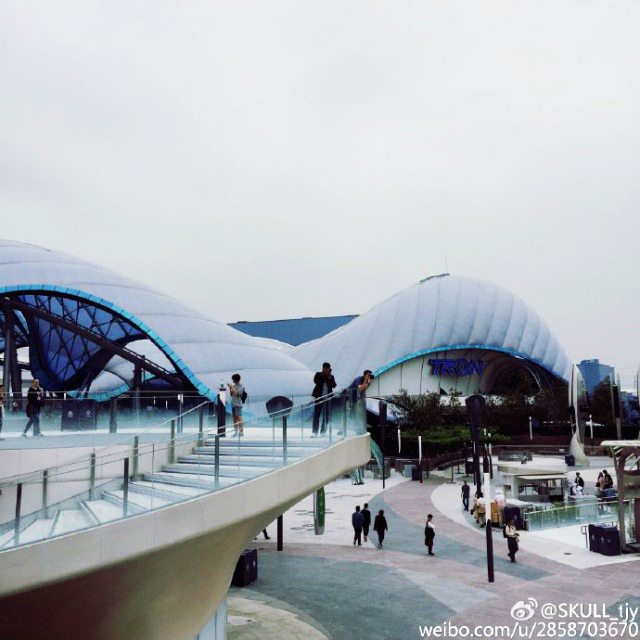 Shanghaî Disneyland is now in soft-opening mode and the entrance is reserved to cast-members and their friends. 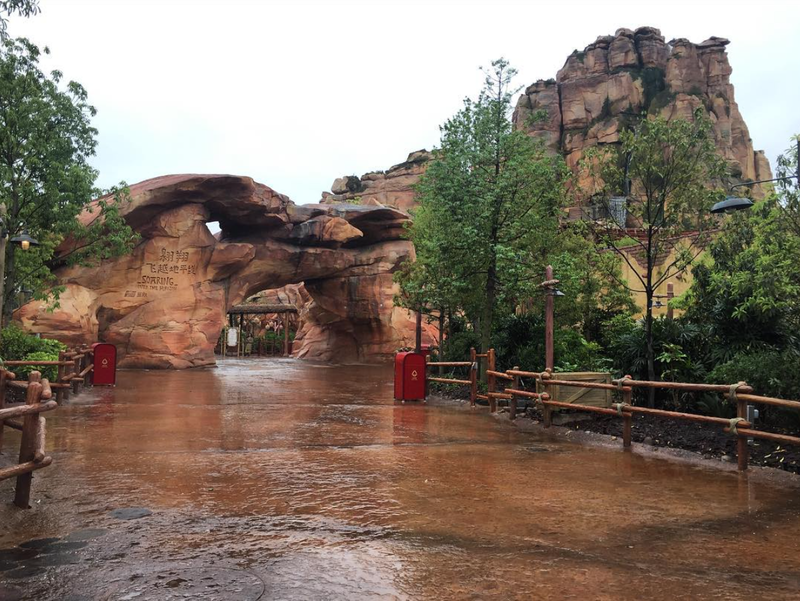 Althought the park won't open before June 16 for "everyone" today at SDL looked almost like a regular day of the park, with parade, castle show and major rides open. 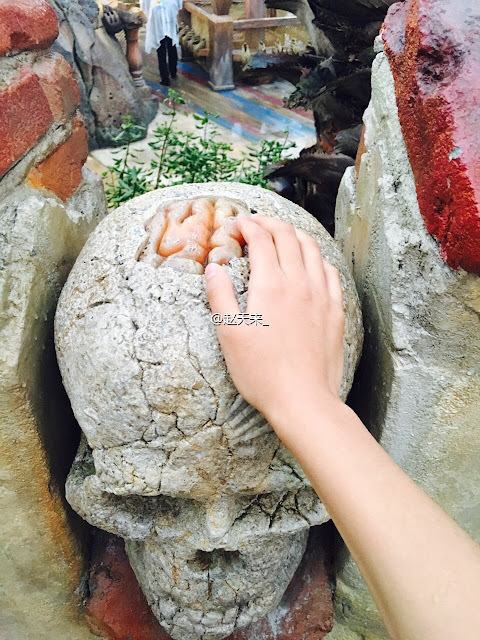 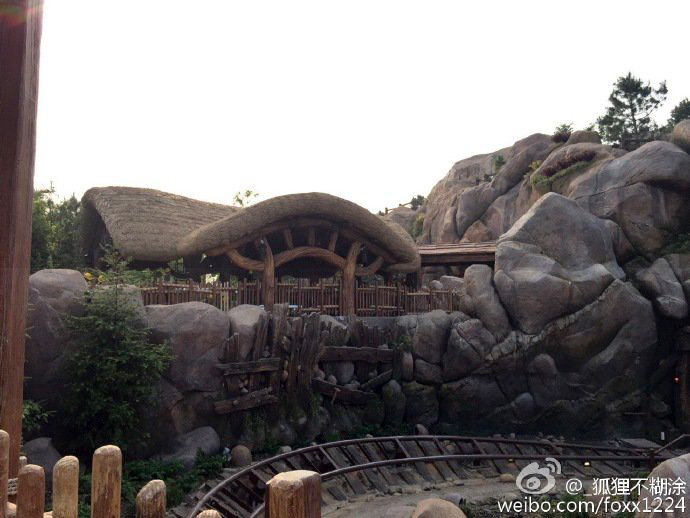 Dozens of pictures were posted today on Instagram and Weibo, and we'll have more for sure in the days to come. I did a selection of the best shots for you and after these three years during which Disney and more did an extensive coverage of the park construction it's with great pleasure that i present to you today pictures shot from the ground of an almost fully operational park! 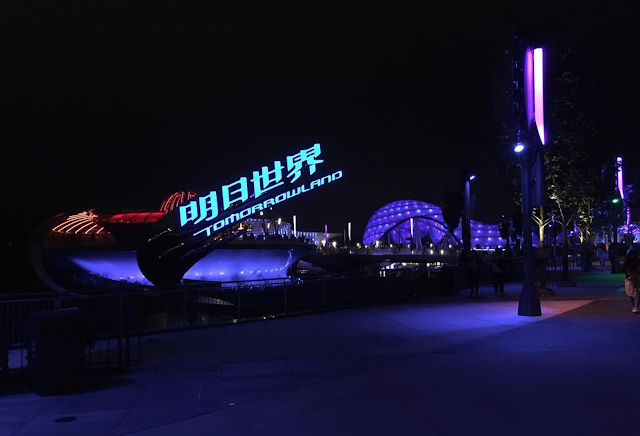 And a very special thanks to all the people who have posted their pictures on Instagram or Weibo, without whom this article wouldn't have been possible. 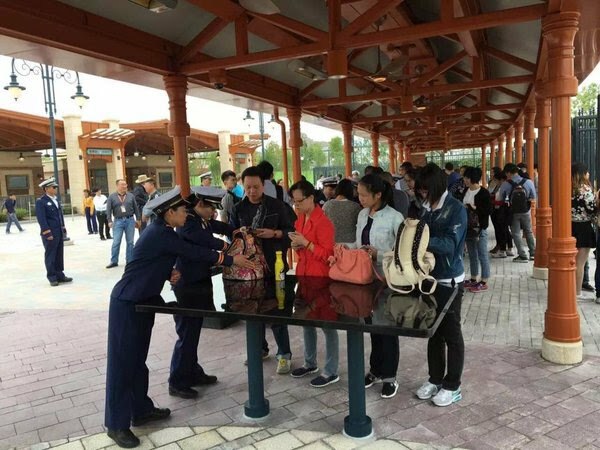 There we go and we'll start by Shanghai Disneyland entrance, wher security control is in place at the gates for all bags! 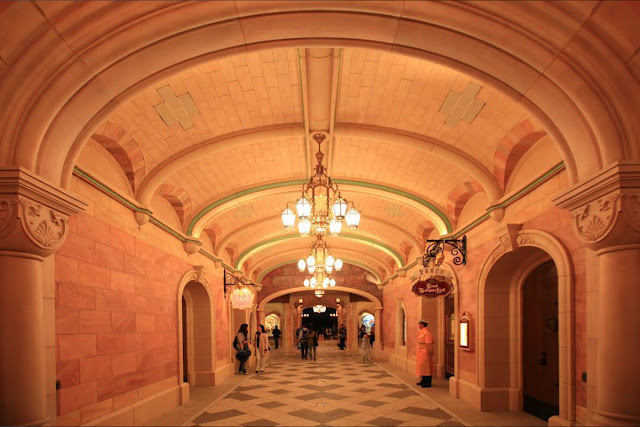 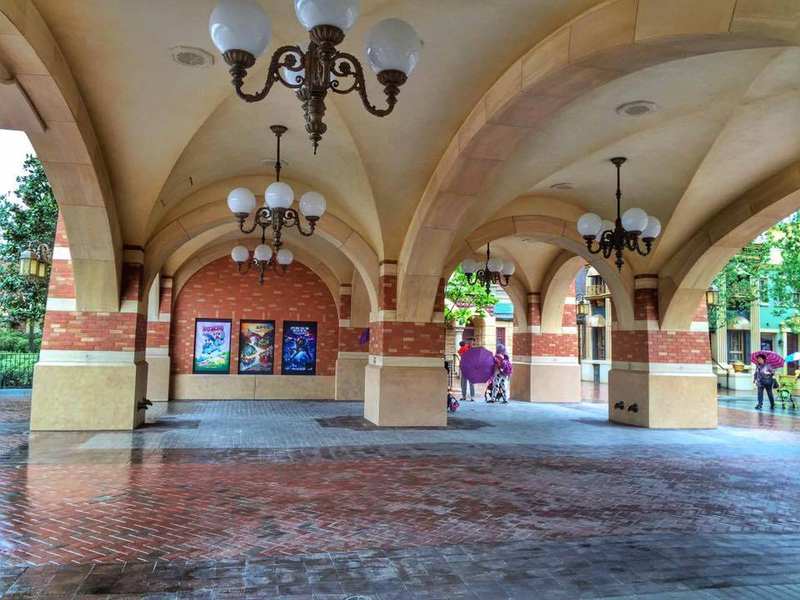 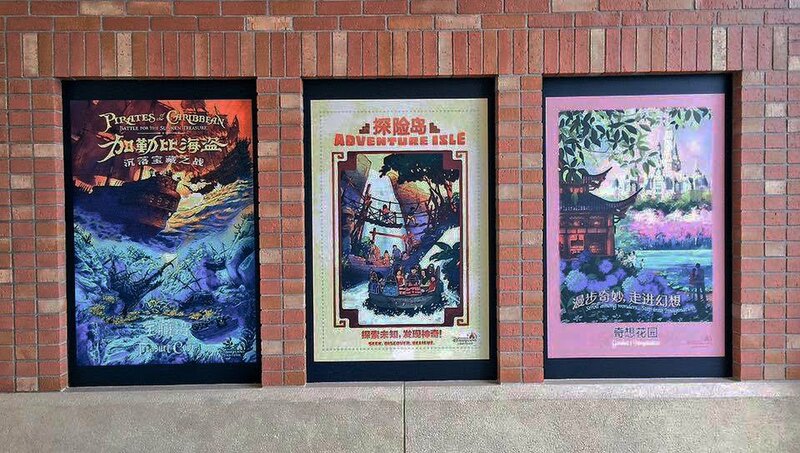 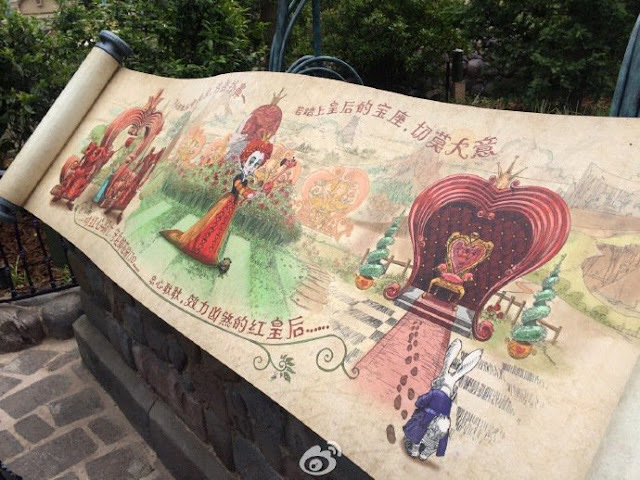 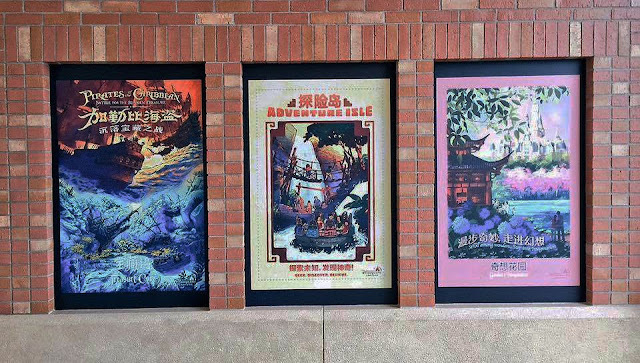 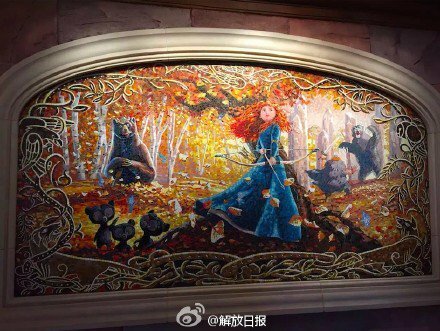 Shanghaî Disneyland Attraction posters under the entrance like in all Magic Kingdoms! 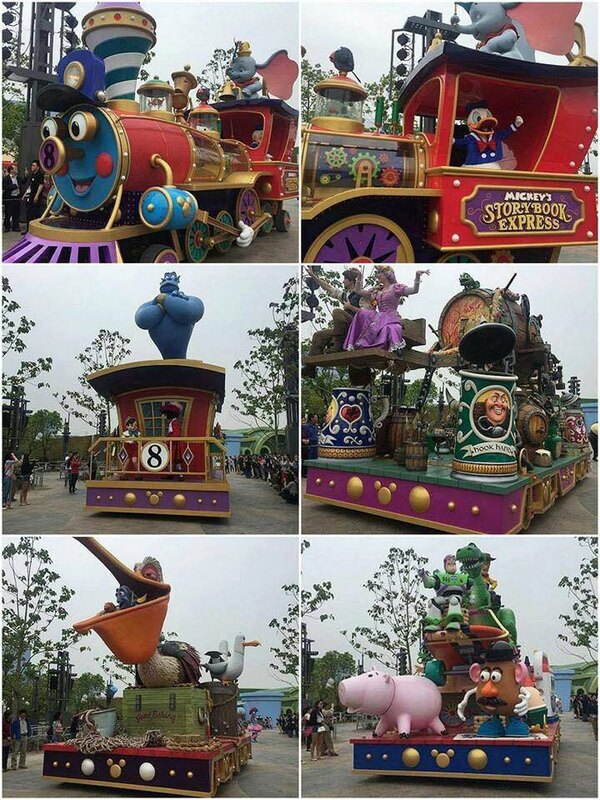 Here comes the first SDL guests! 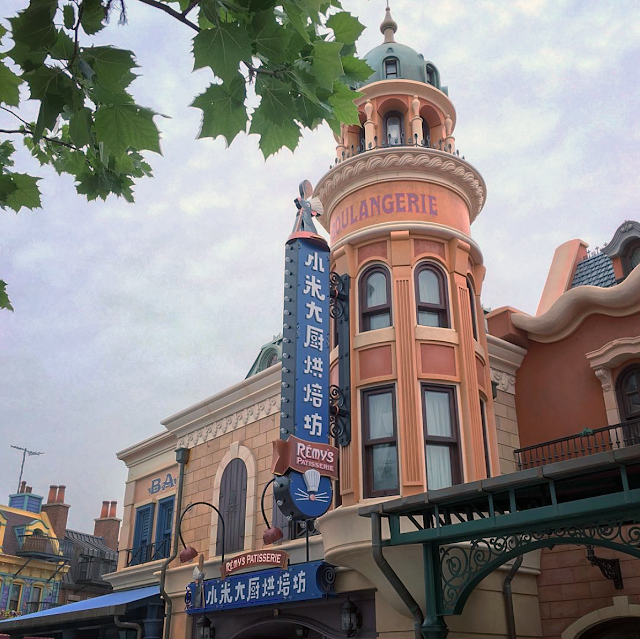 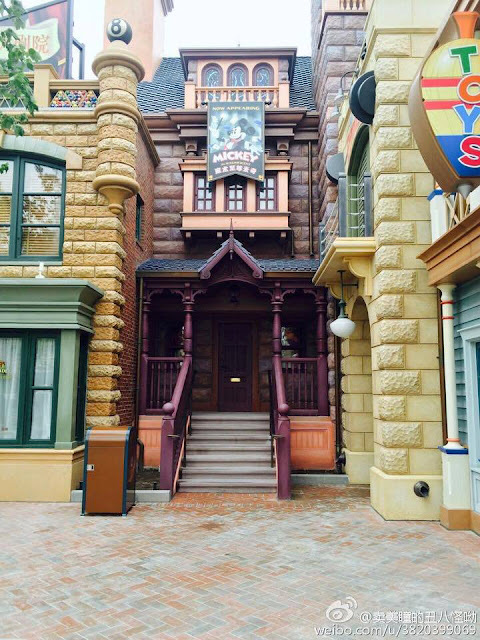 Let's have a closer look at the buildings of Mickey Avenue, the entrance street of Shanghaî Disneyland. Looks great at night, may be even better...! 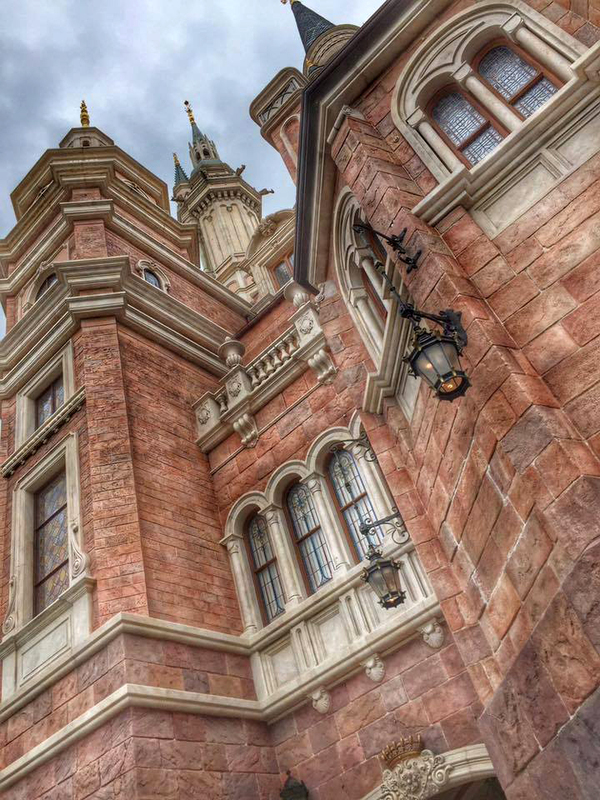 Let's move towards the castle and Gardens of Imagination! 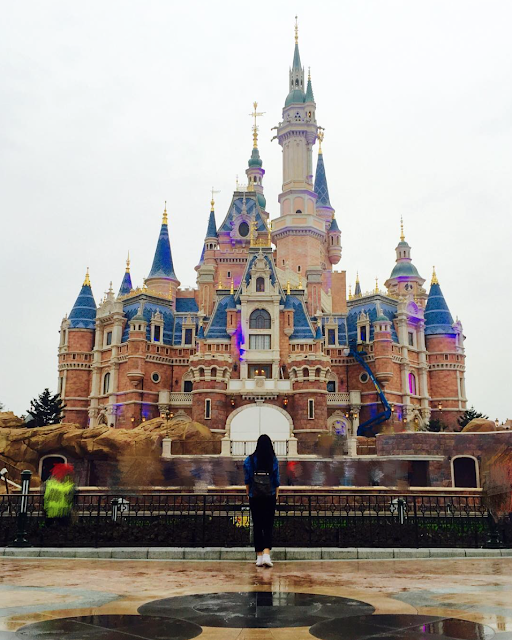 below, the first little princess to enter Shanghaî Dinseyland! 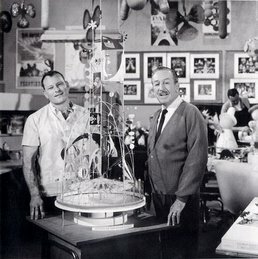 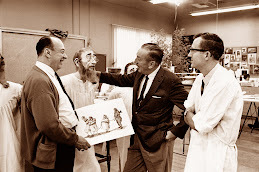 At the exit of Mickey Avenue and the entrance of Gardens of Imagination stands the sculpture of Walt with Mickey, identical to the one at DCA. 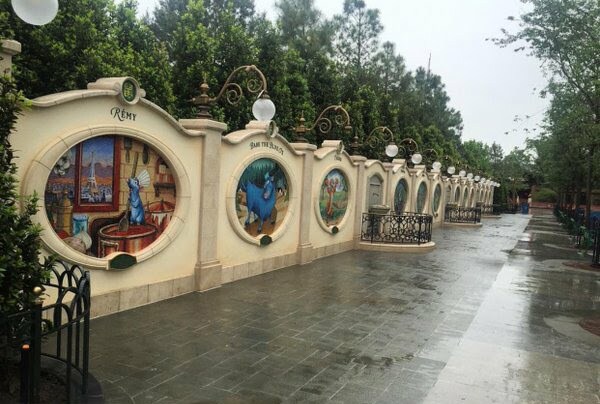 The entrance to Gardens of Imagination. 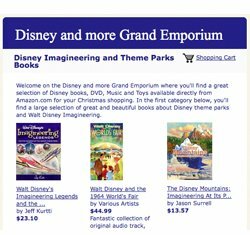 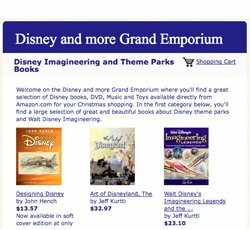 Dumbo the Flying Elephant is for once not located in Fantasyland but in Gardens of Imagination, SDL "Central Plaza". 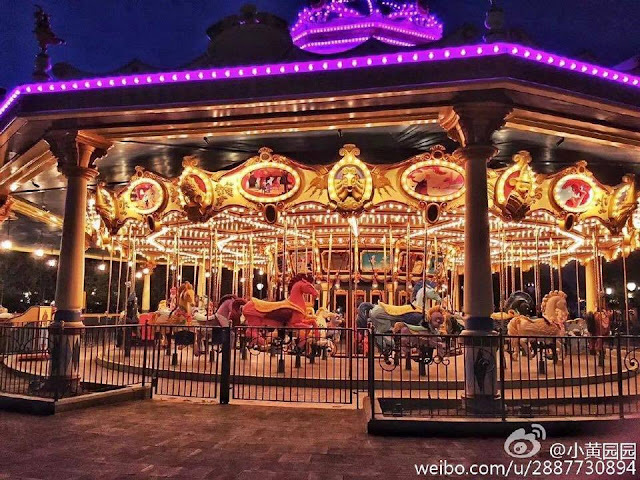 ...Neither the Fantasia Carousel which has a Fantasia theme. Gardens of Imagination will also be a great place to watch the day parade, Mickey Storybook Express! 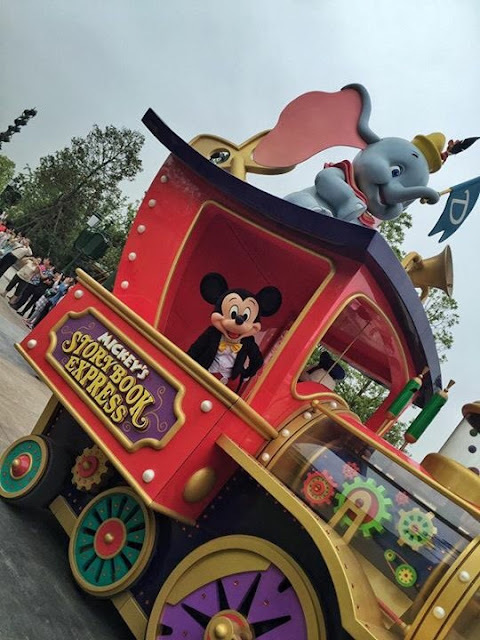 And here is the video of the FULL Mickey's Storybook Express parade! 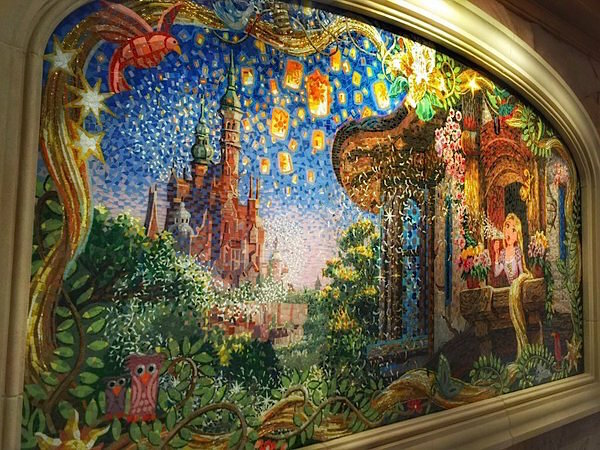 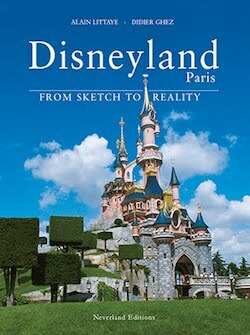 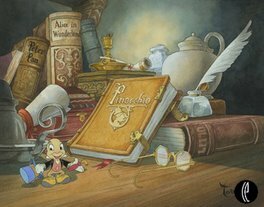 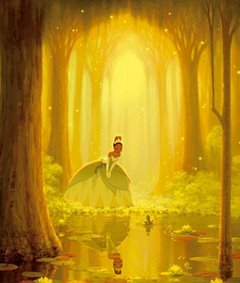 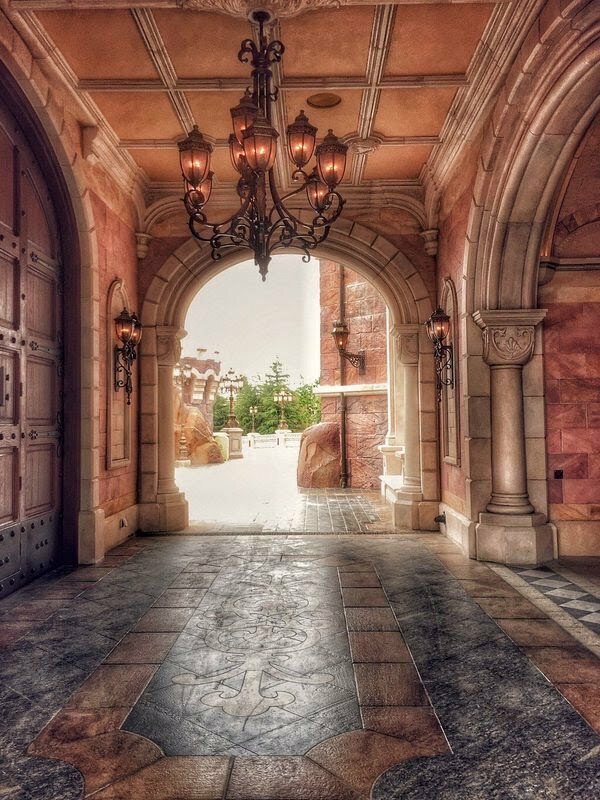 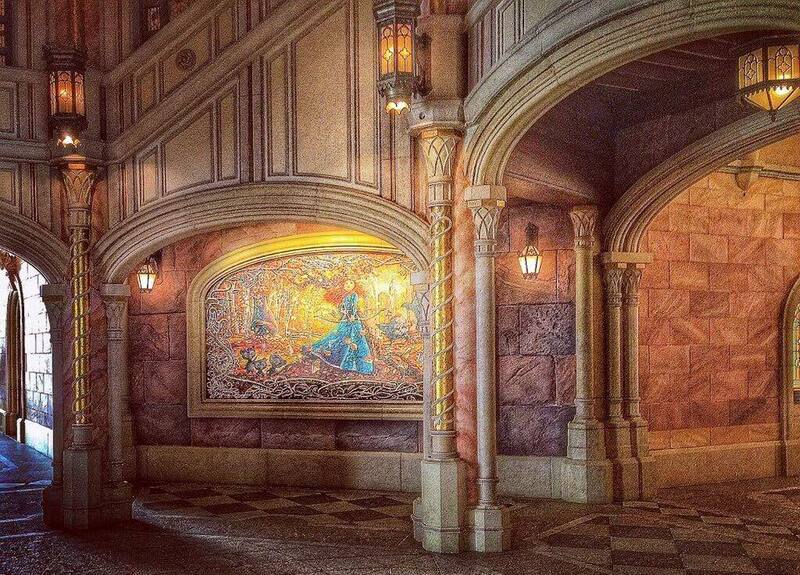 Let's explore Enchanted Storybook castle! 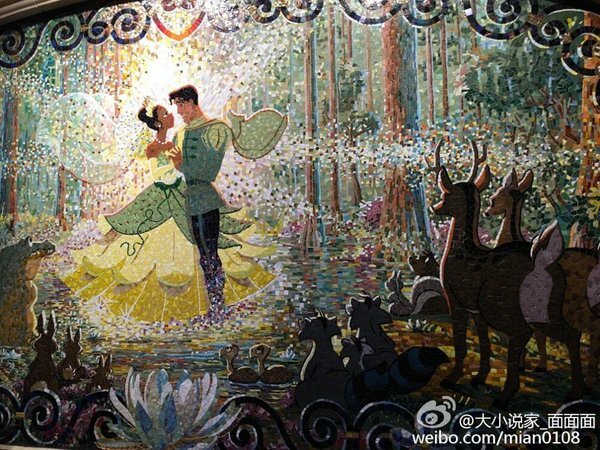 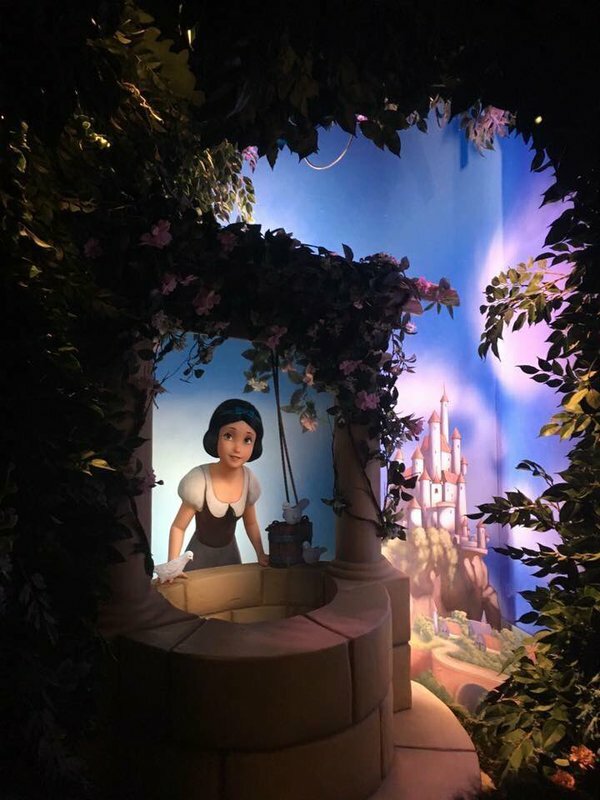 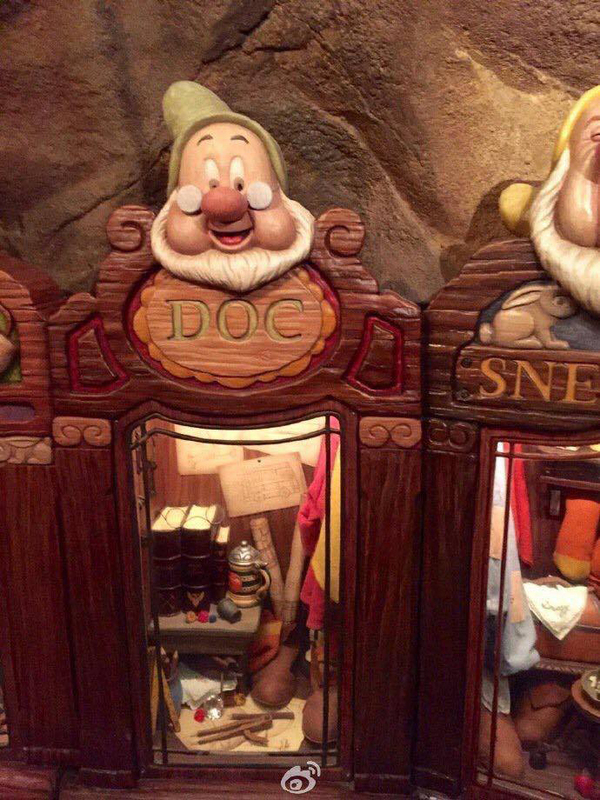 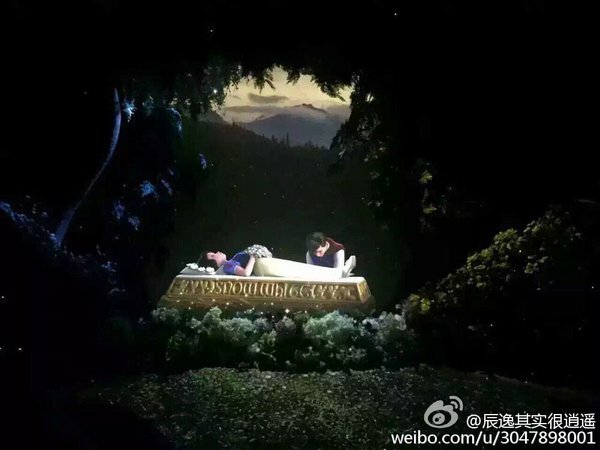 The Snow White scene in the Once Upon a Time walk-through attraction inside the castle. The first performance of the castle show happened today! 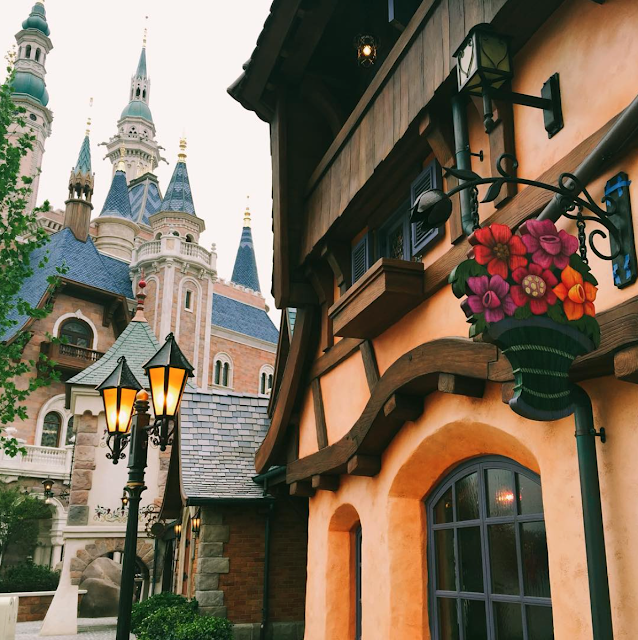 Let's move to Fantasyland, would we, and on the first picture below the building on the right is where guests will embark in the boats for a Voyage to the Crystal Grotto. 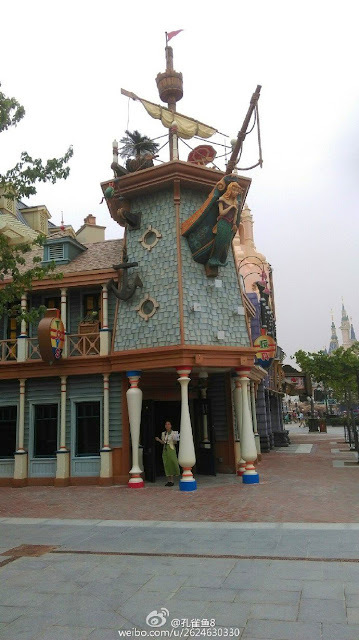 Nearby is the entrance for the enhanced version of Peter Pan's Flight. 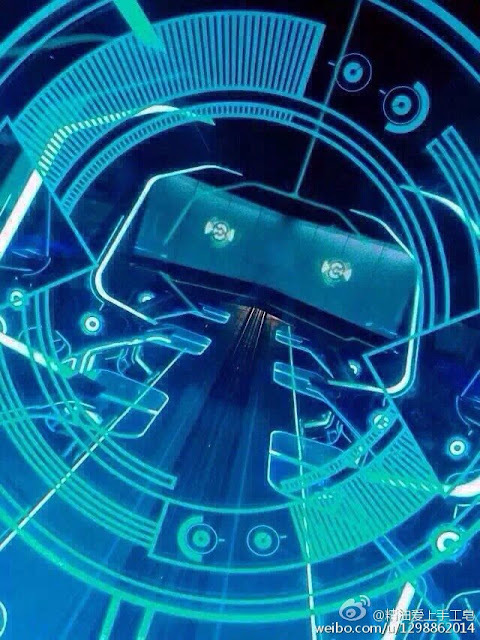 We've got a first video of the full ride! 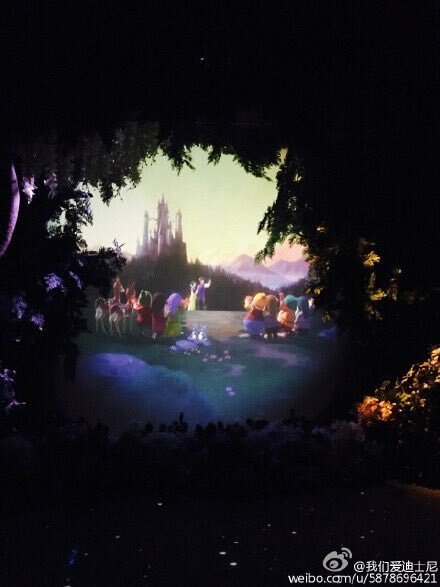 The Peter Pan's Flight ride is a brand new version totally - or almost - different than the one in others Disney theme parks, it looks awesome ...and it last 2.50min! 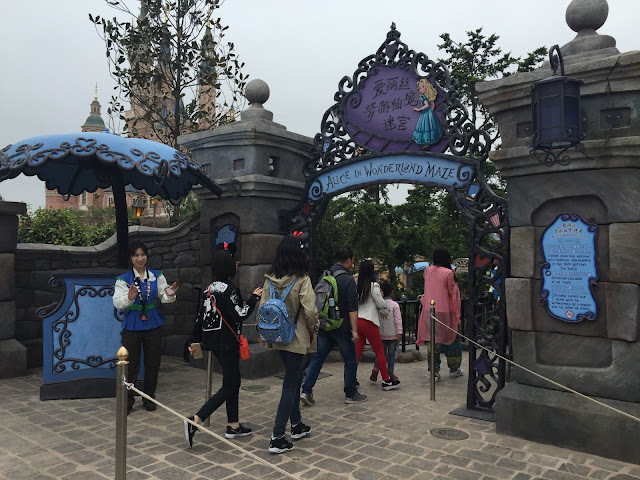 Next to the castle is Alice in Wonderland Maze, for once not inspired by the Disney animated film but by the Tim Burton movie. SDL Fantasyland other dark ride in the classic version of Winnie the Pooh ride, with the addition of the Pooh hunny Pot ride, similar to the Alice Tea Cups ride but with a Winnie theme. 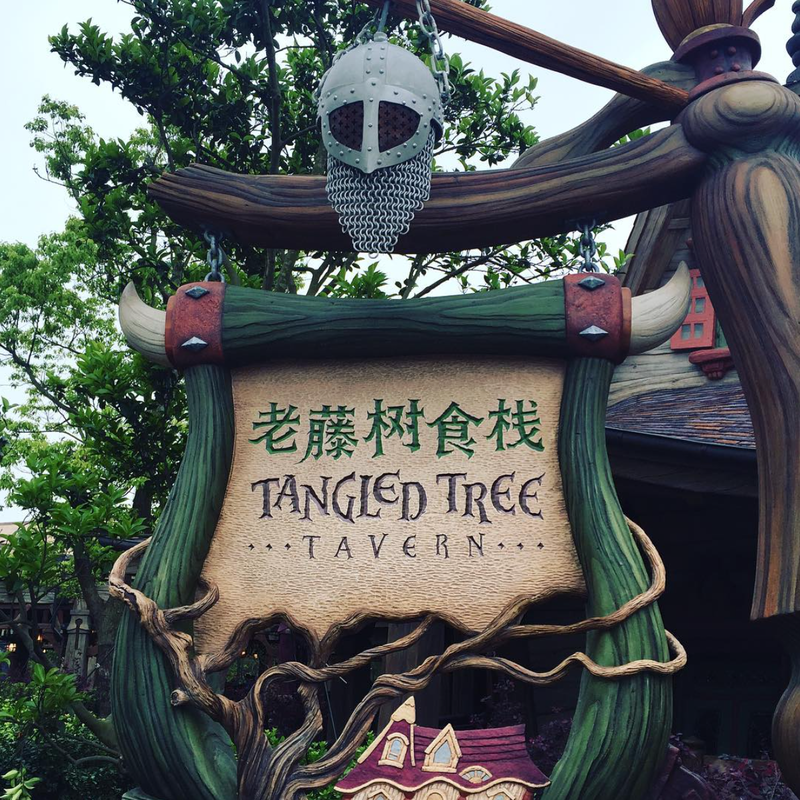 The Tangled Tree tavern sign, located near teh Winnie the Pooh area. 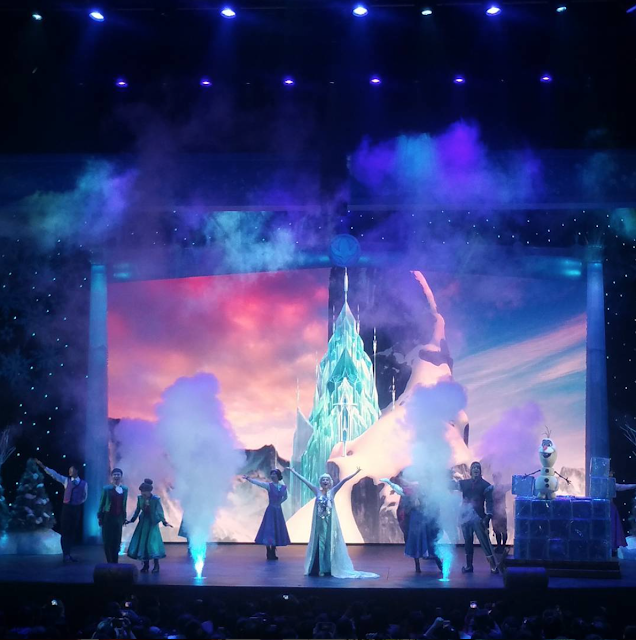 A Frozen show is played several times per day in the Fantasyland theater. 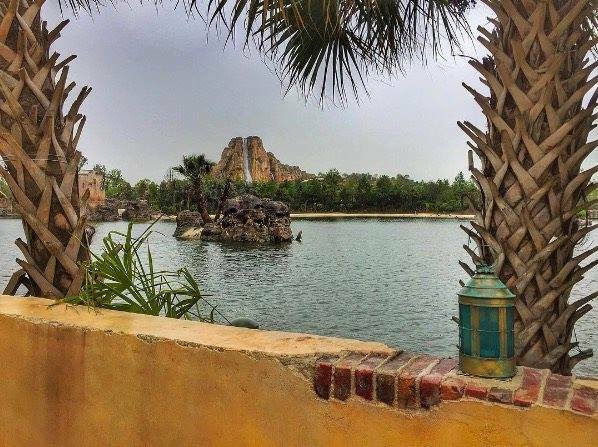 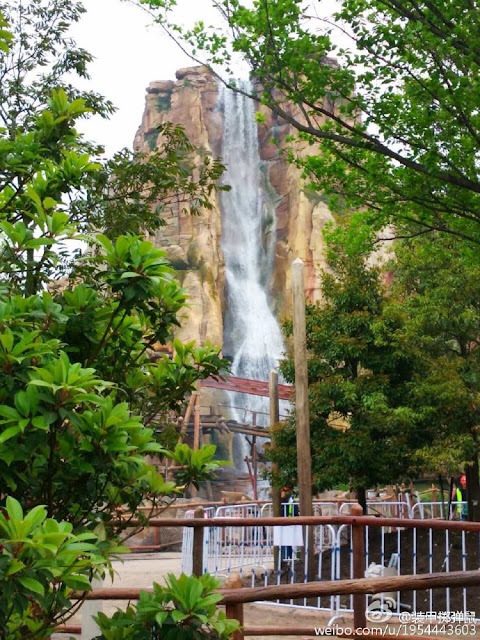 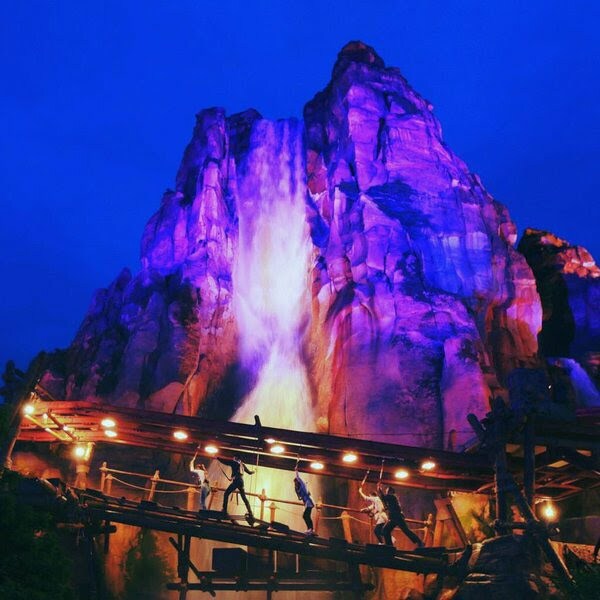 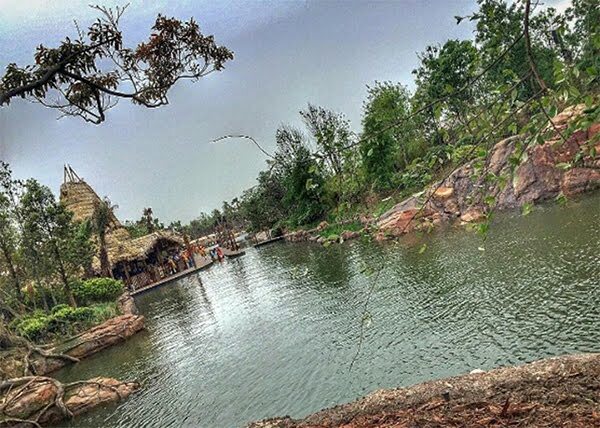 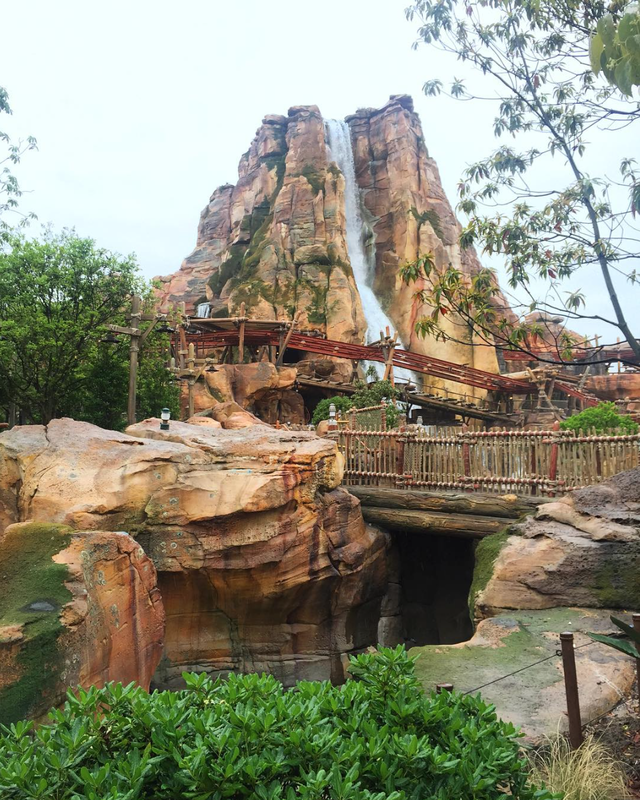 Time to move to Adventure Isle and the magical scenery of Roaring Rapids mountain and its waterfall! 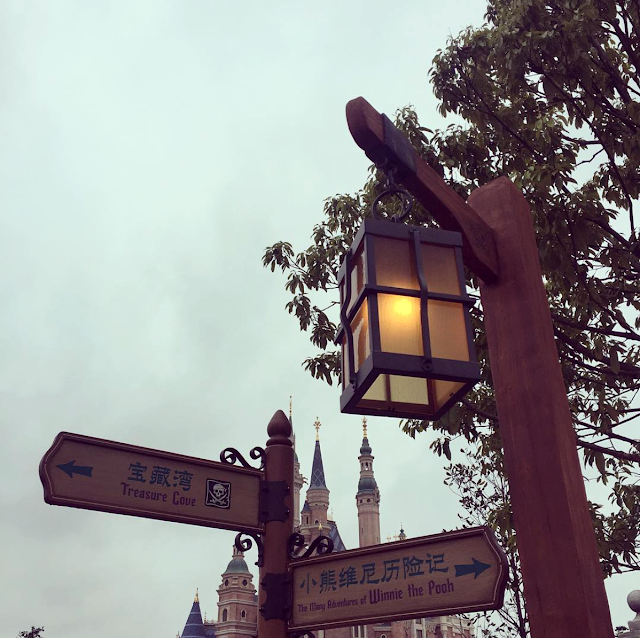 Day and night, Adventurers will take their time to explore all the different trails! 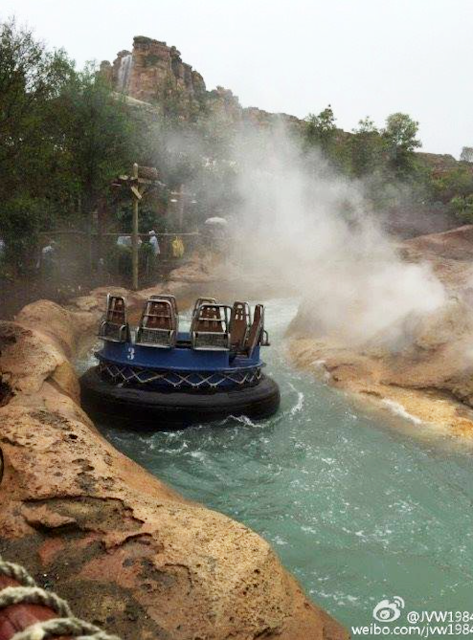 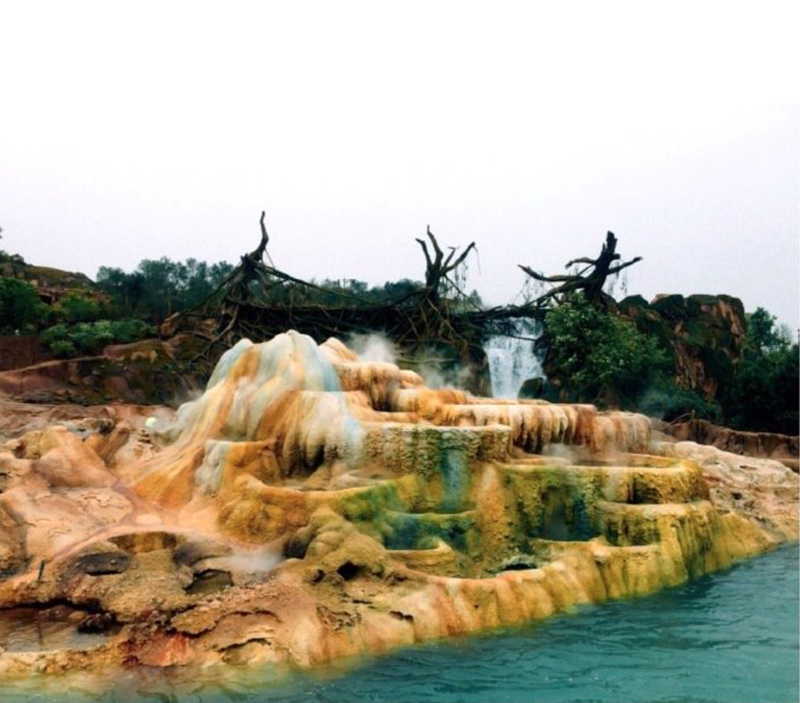 The entrance and geysers scene of Roaring Rapids! 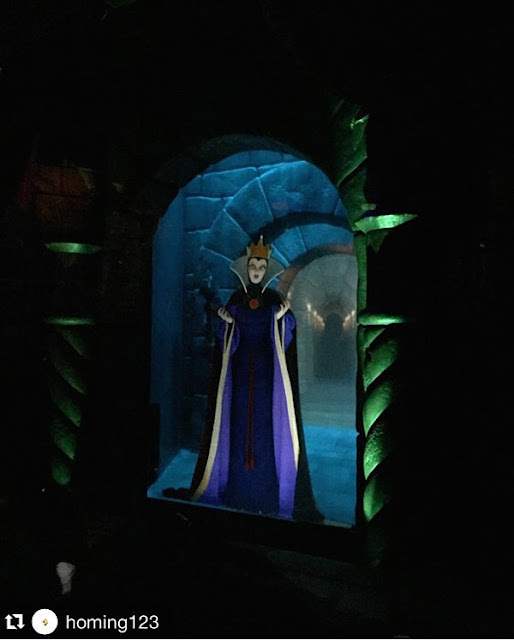 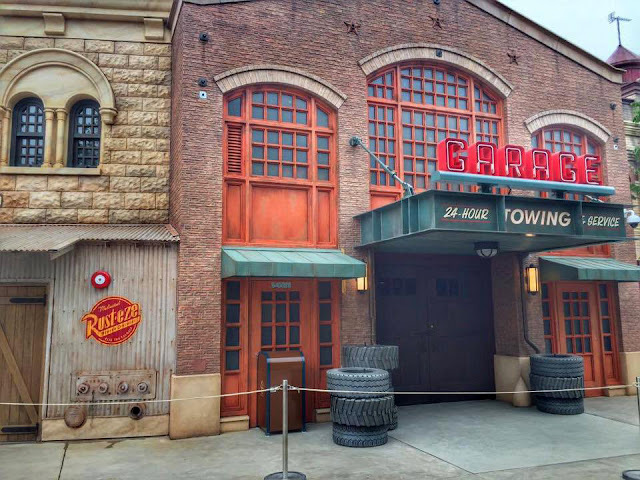 The ride was not open yet during early soft-opening days. 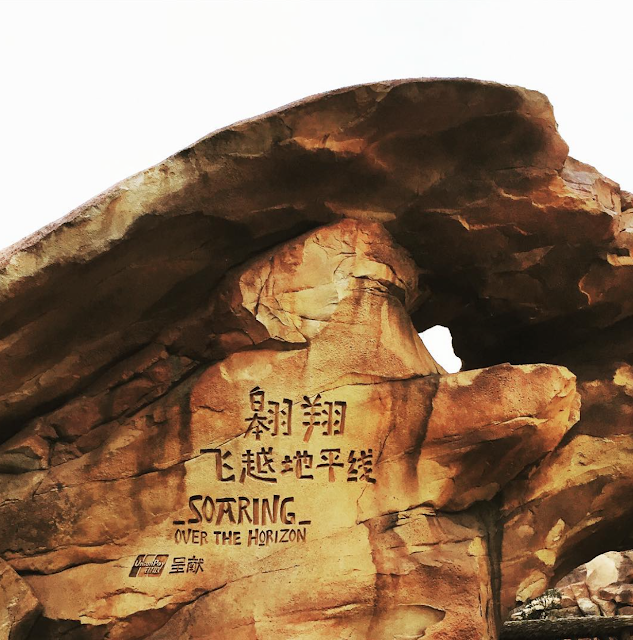 Behind the mountain is the entrance for Soaring over the Horizon. 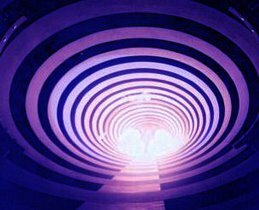 You can watch the full Soaring Over the Horizon movie - except may be the first 30 seconds - on the video below. 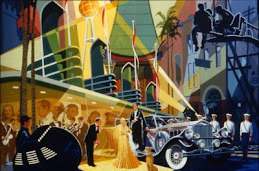 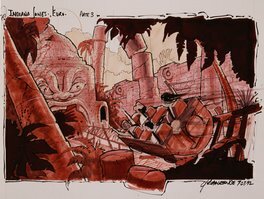 And, good news, they've kept Jerry Goldsmith original score with just a few arrangements for this new movie! 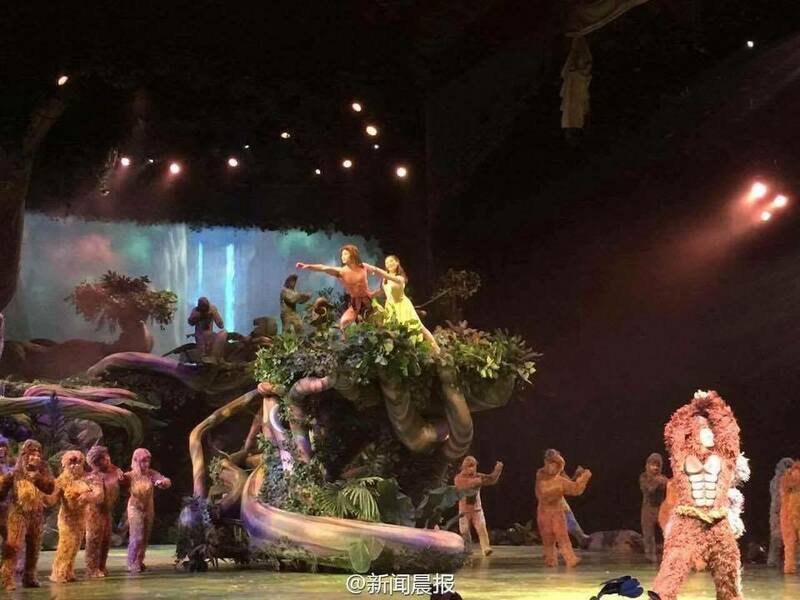 It's in Adventure Isle that guests will also enjoy the Tarzan : Call of the Jungle show. 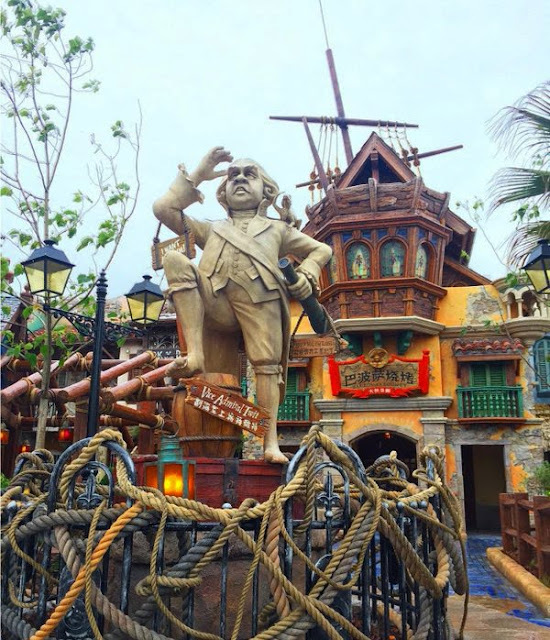 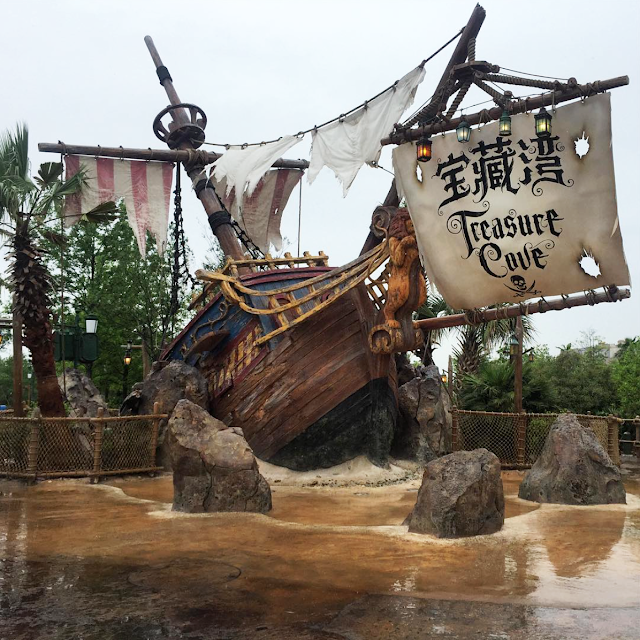 Next land is the gorgeous Treasure Cove where a brand new version of Pirates of Caribbean awaits you. 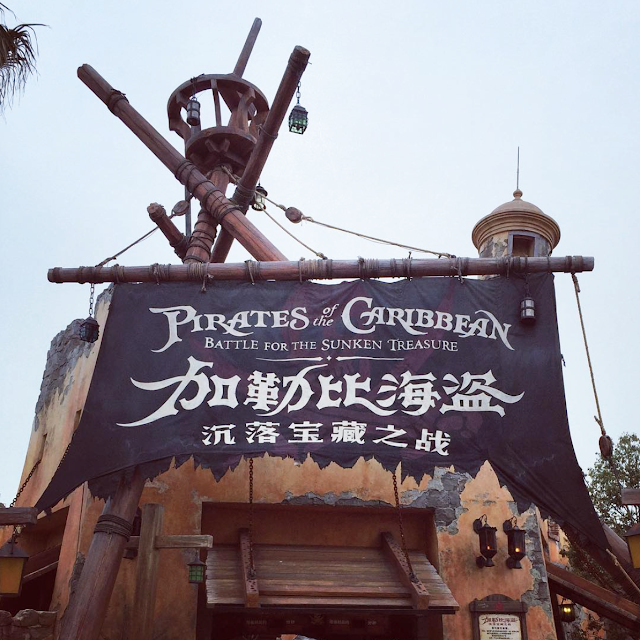 The entrance of Pirates of Caribbean : Battle for the Sunken Treasure. 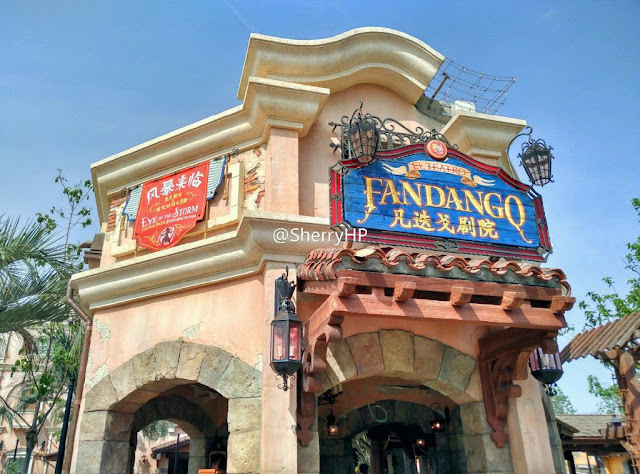 ...and the one for El Teatro Fandango nearby where is the pirates stunt show. 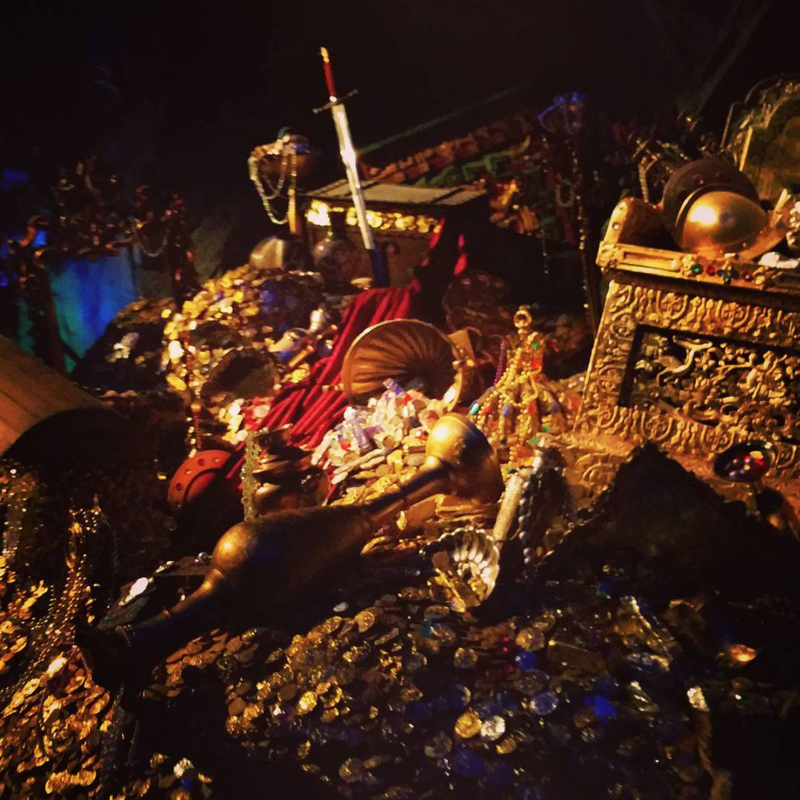 First short movie showing the POTC ride with the Davy Jones Audio-Animatronic. 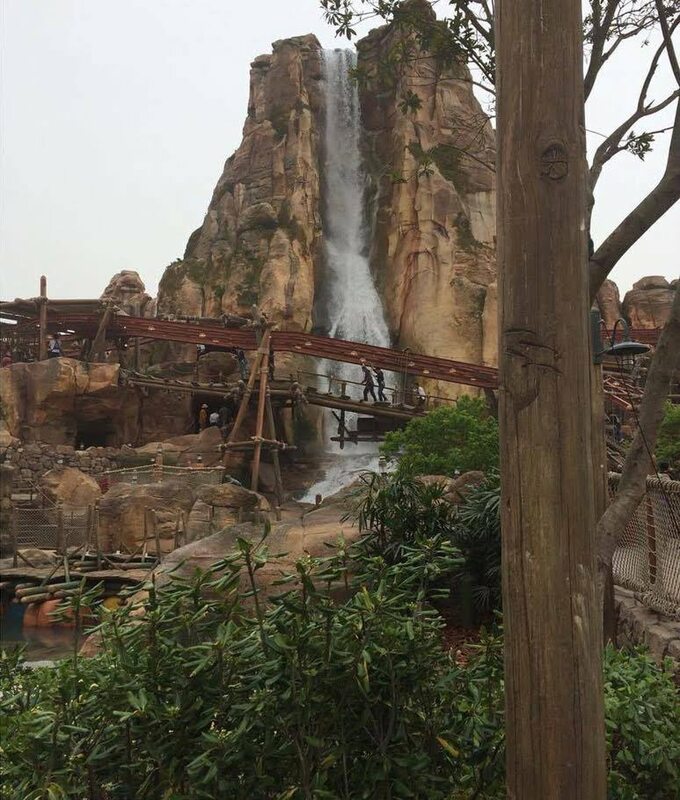 Sometime hard to see but looks awesome. 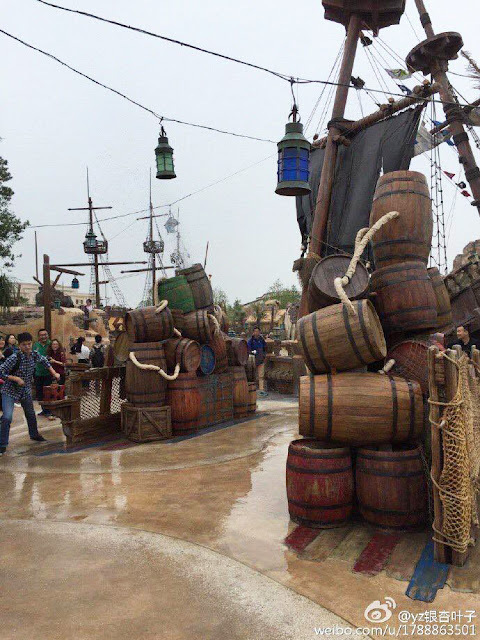 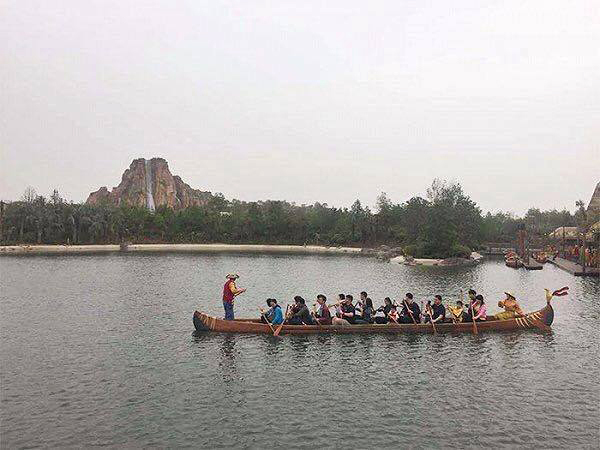 Some of the scenes that guests in the Explorers Canoes will see along their journey, the load - unload building is in the background. 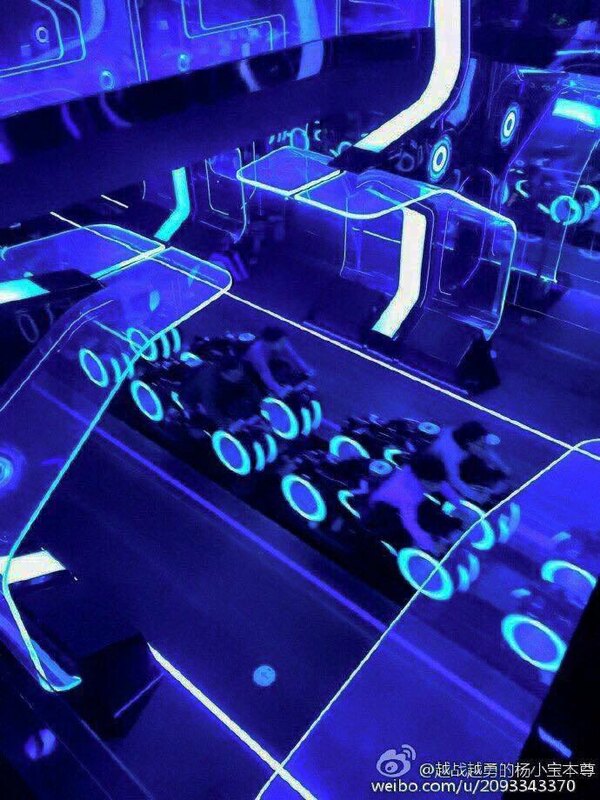 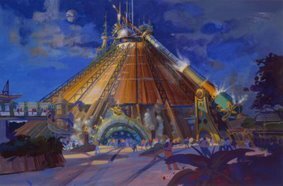 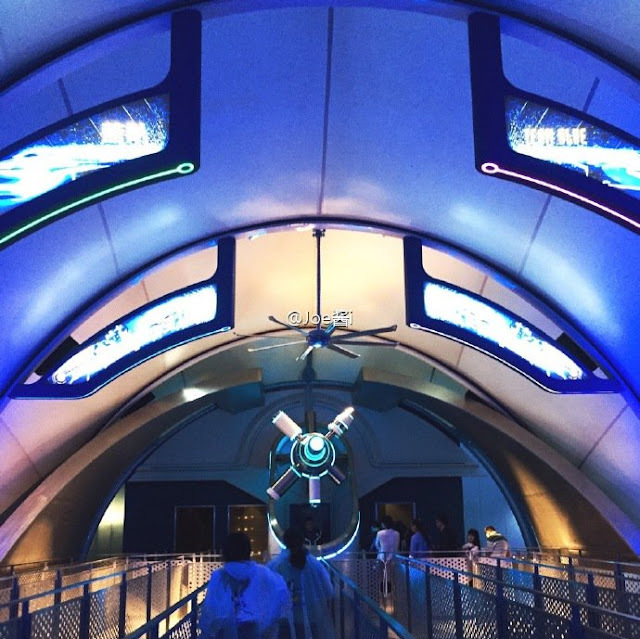 The last land of the park is Tomorrowland and its highly awaited TRON Lightcycles Power Run attraction. 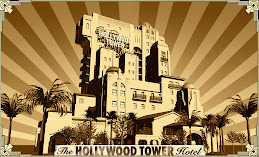 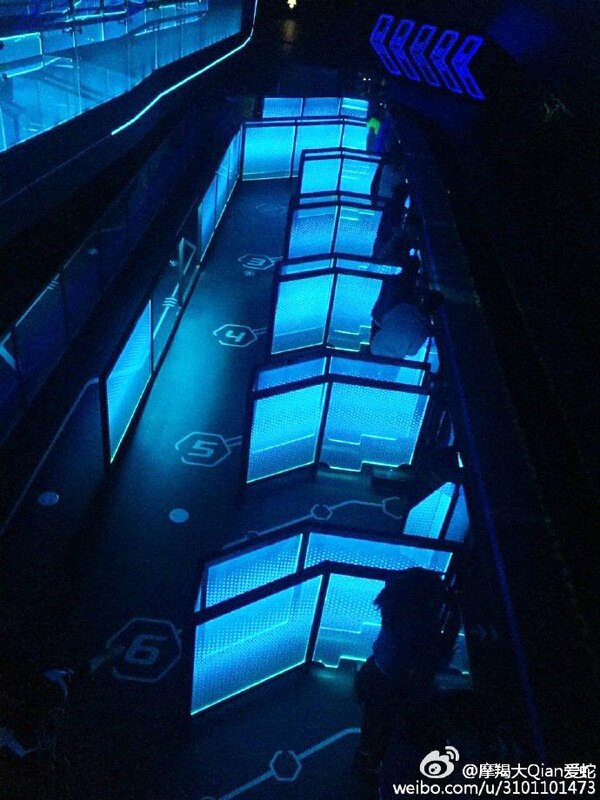 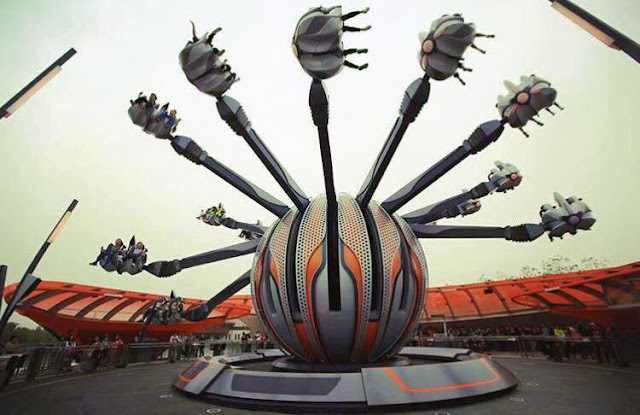 The first attraction, located at the entrance of the land is Jet Packs. 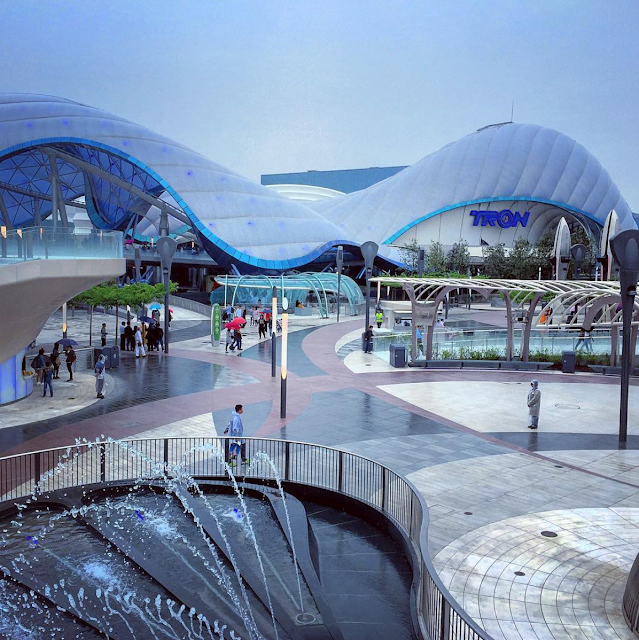 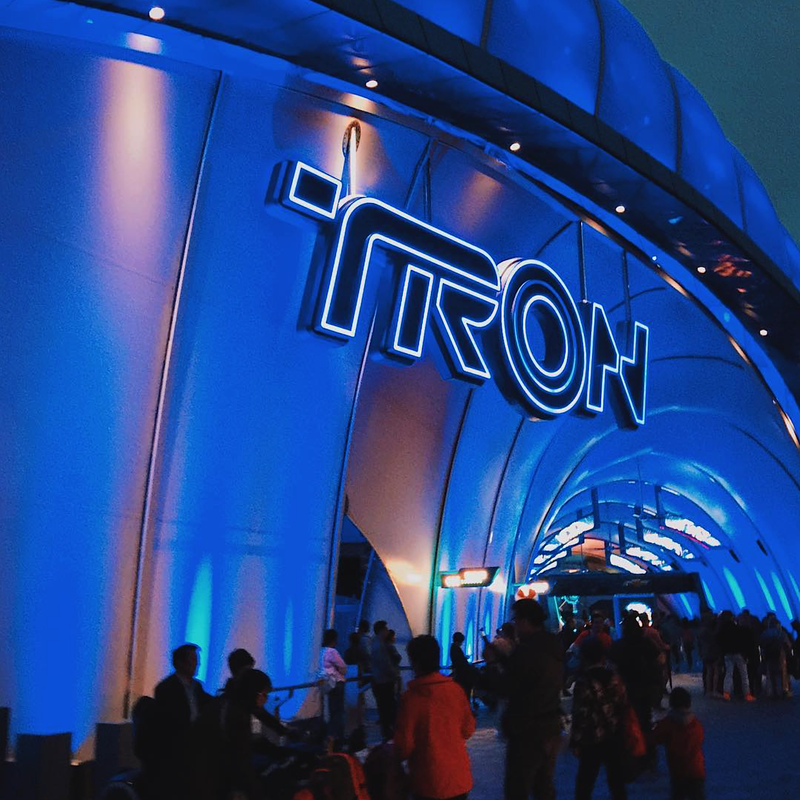 And, of course, one can't miss the impressive TRON Lightcycles Power Run dome at the other end of the land. 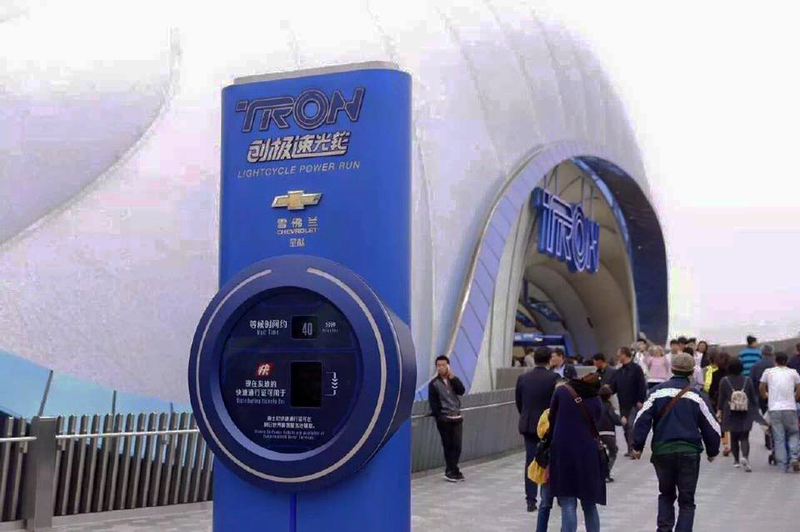 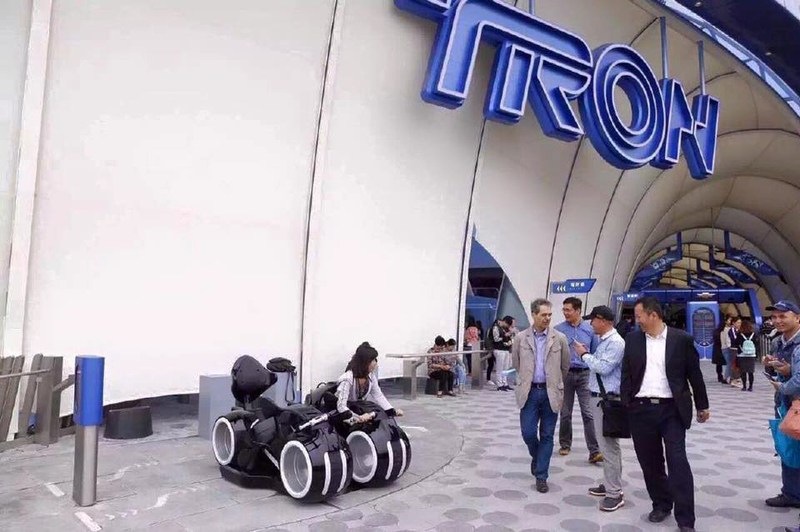 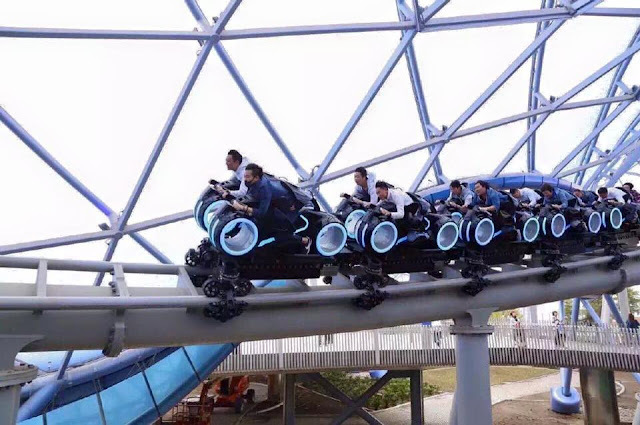 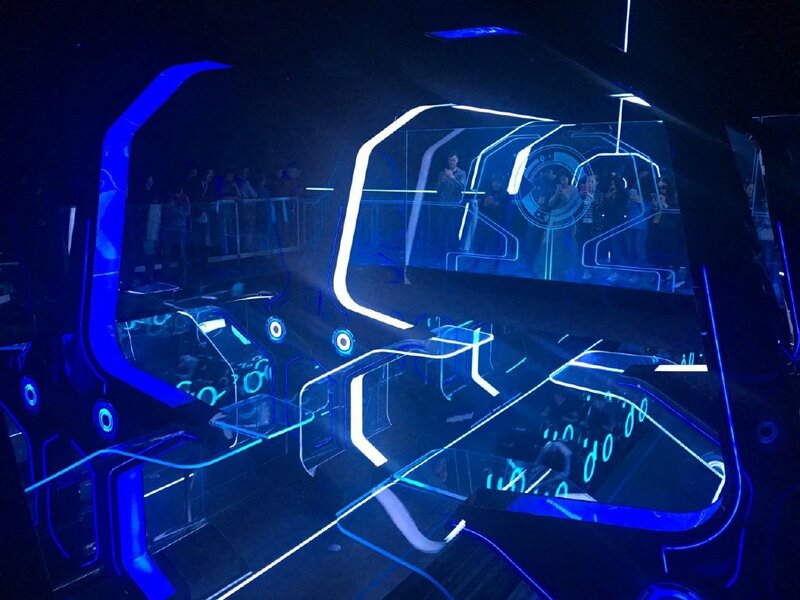 Watch the launch of the TRON coaster on the video below! 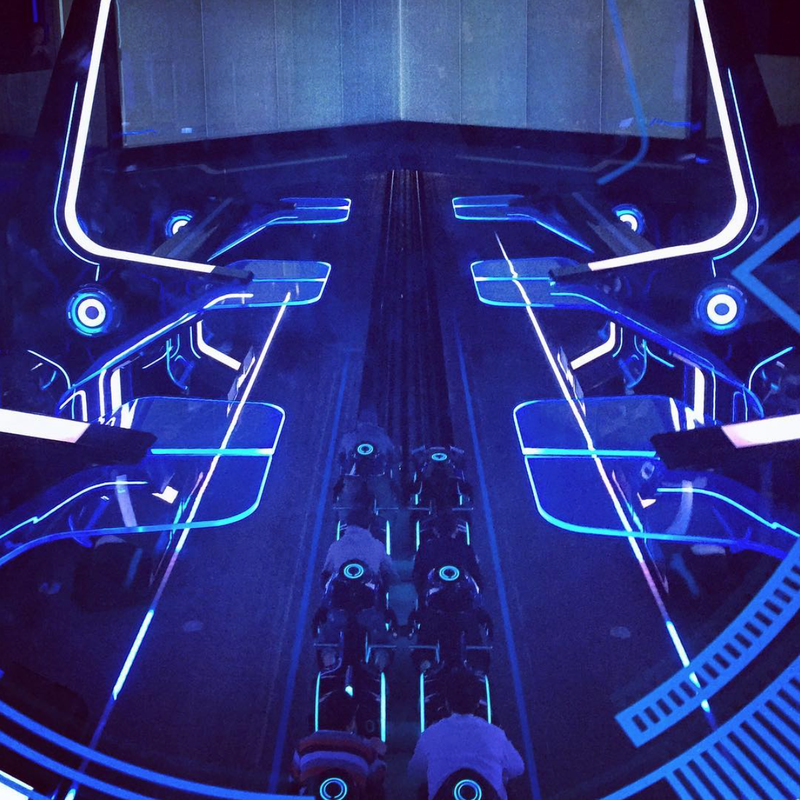 UPDATE: We now have a FULL RIDE video of TRON Lightcycles Power Run!!! 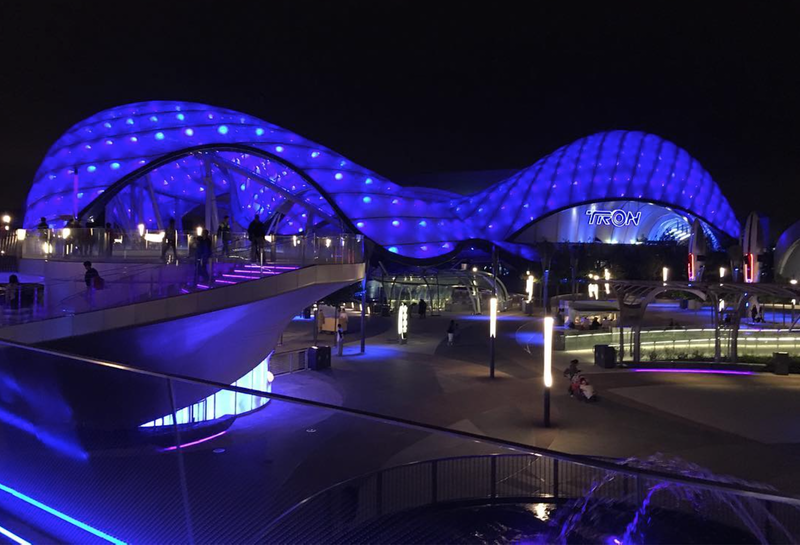 The night lighting of Tomorrowland and the TRON dome is stunning. 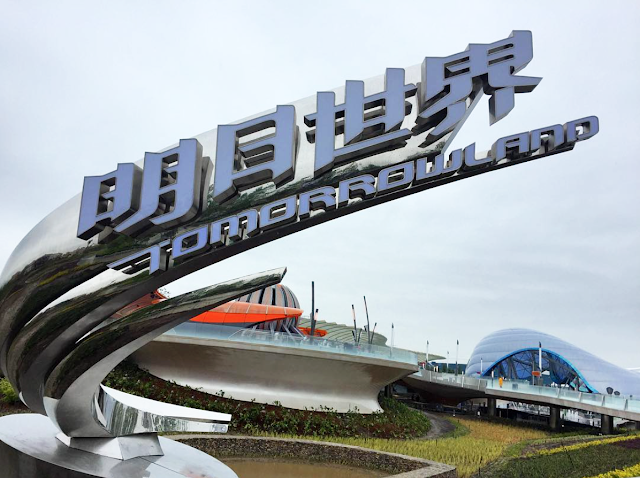 Last but not least, SDL Tomorrowland include two more attractions, the Stitch Encounter attraction for young kids and similar to the one at the WDS or HKDL, and the new Buzz Lightyear ride with a brand new theming. 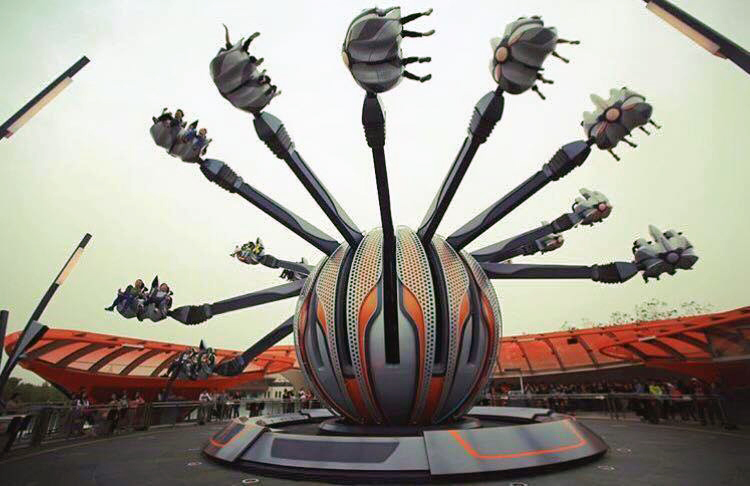 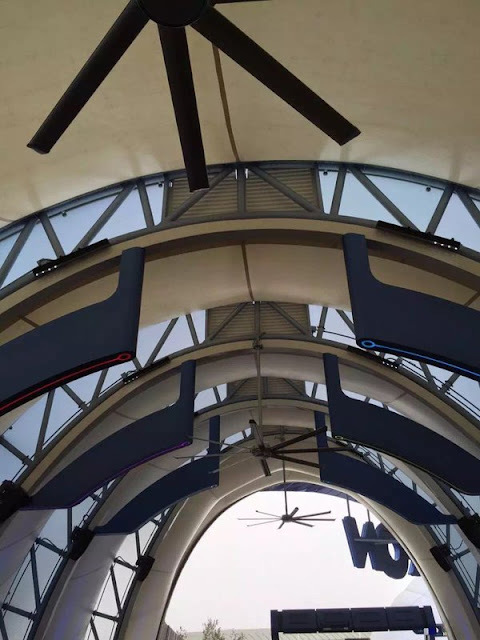 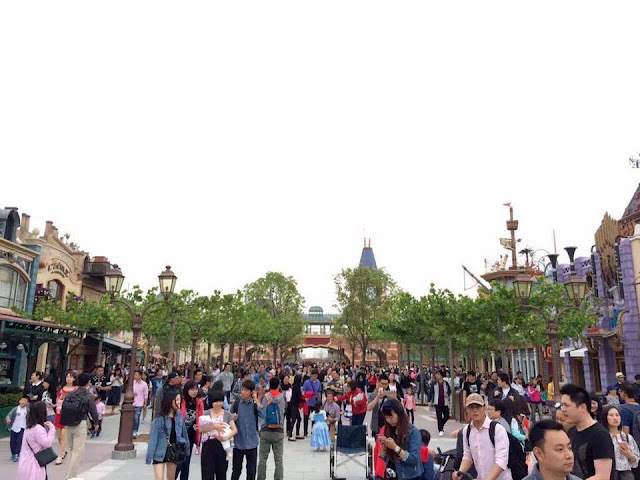 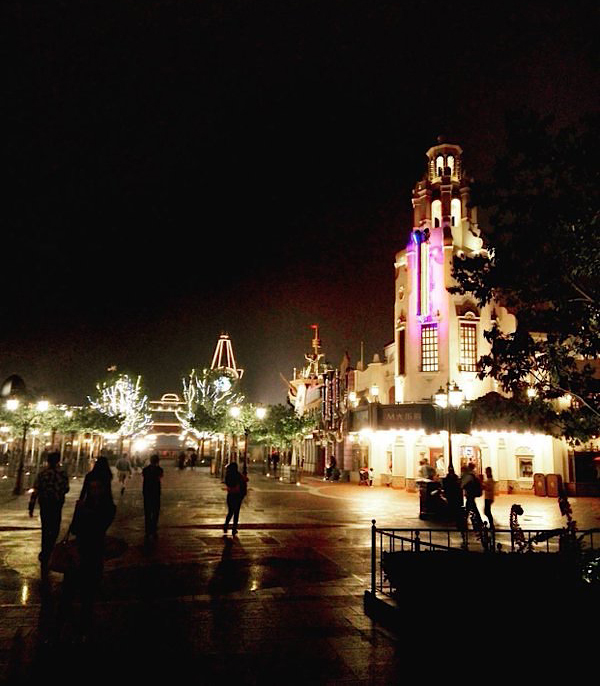 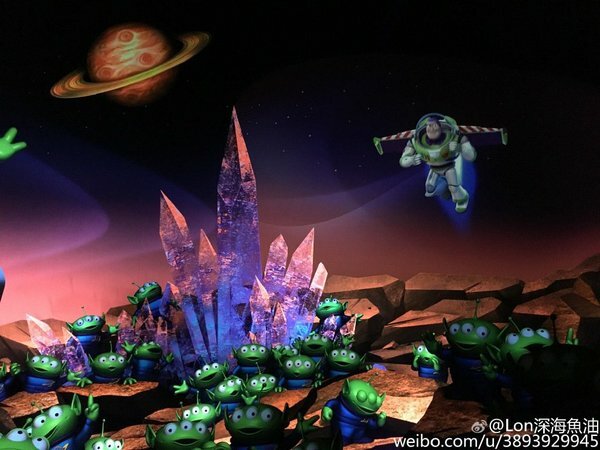 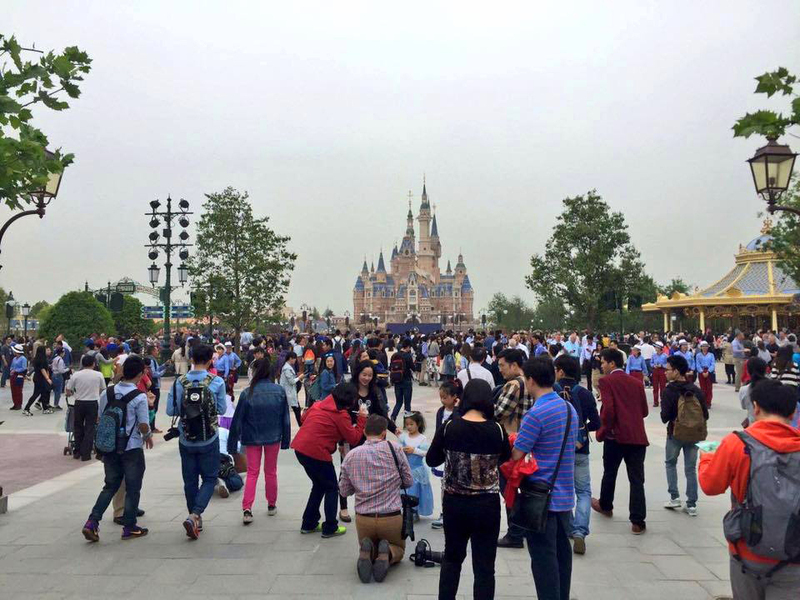 You thought that the drones will fly less over Shanghaî Disneyland now that it's semi-open? 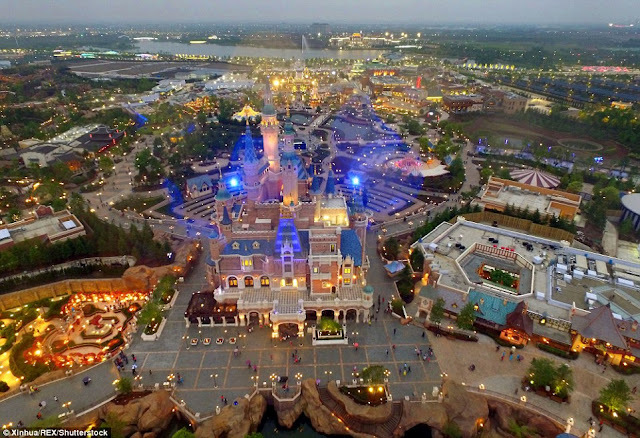 Not really, as you'll see with these new stunning SDL aerial pictures shot at sunset! 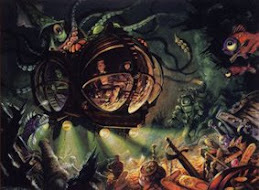 Let's end with a fantastic One hour and thirty minute video (!) 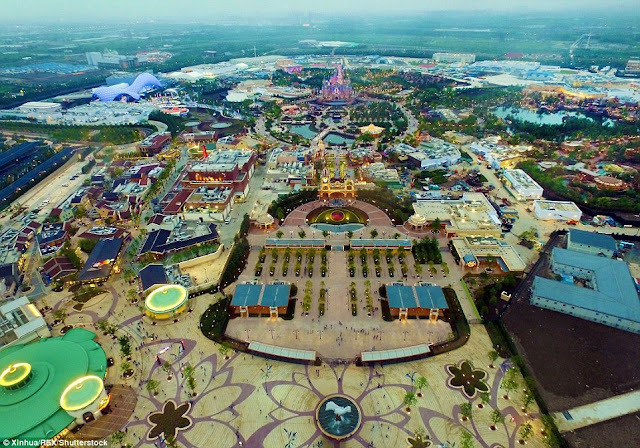 on Youku showing the whole Shanghaî Disneyland park and rides, "just like if you were there"! Full Soaring movie, Pirates of Caribbean ride, Voyage to the Crystal Grotto, Hunny Pot Spin, Frozen show, Peter Pan's Flight, Once Upon a Time castle walkthrough, Alice in Wonderland Maze, and more...! 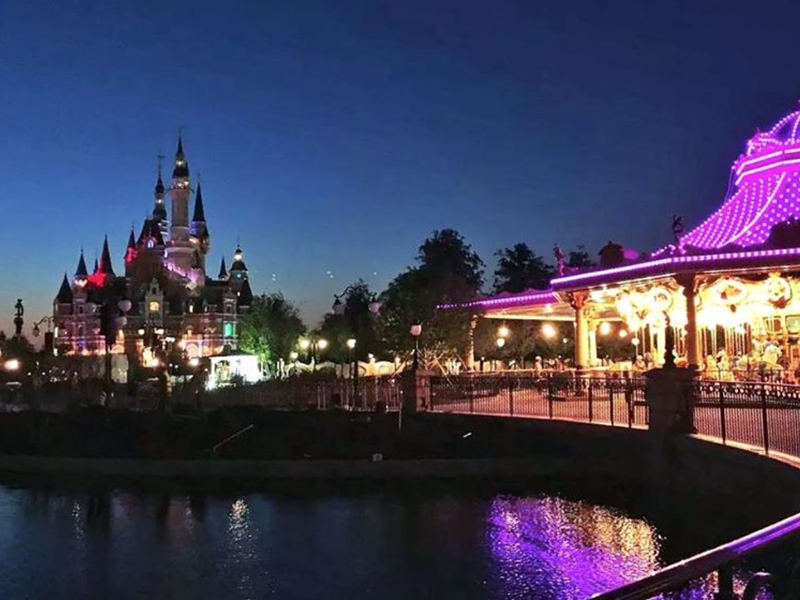 Very well filmed and good image quality, the best we had so far, and totally charming video as the camera follow a young Chinese boy discovering the park! 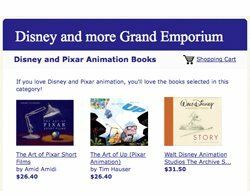 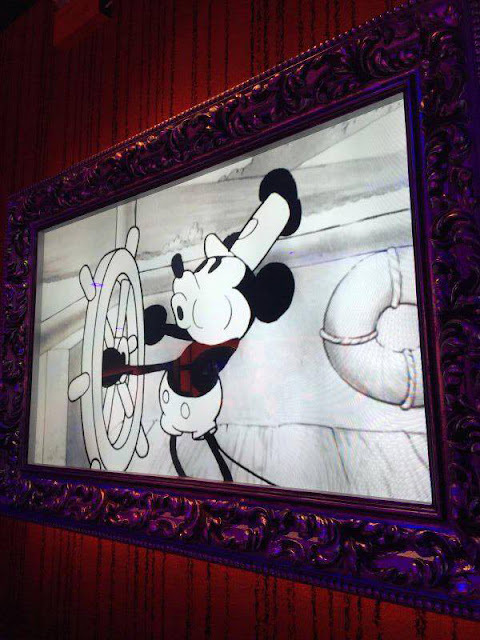 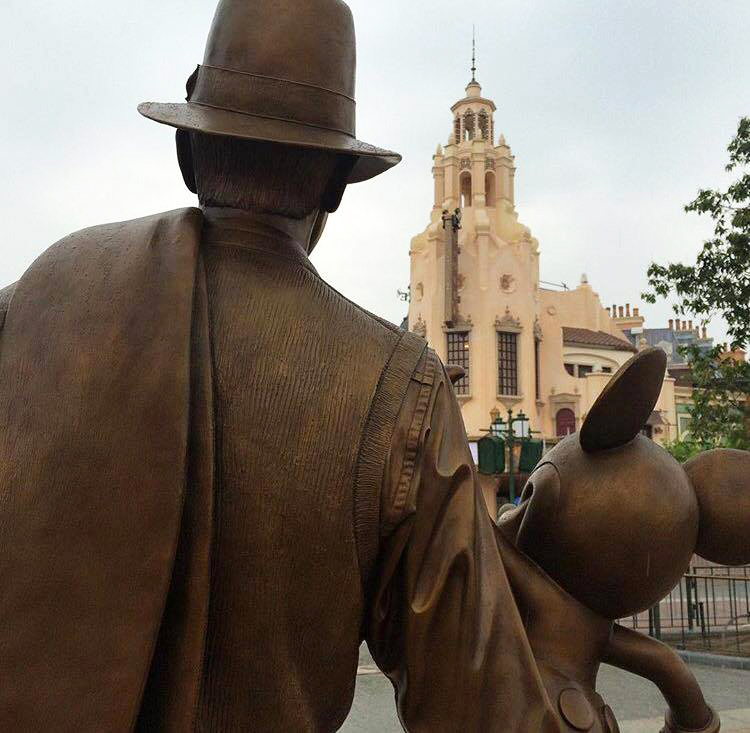 Jump right HERE, don't miss it, and see you soon for new Disney and more updates! 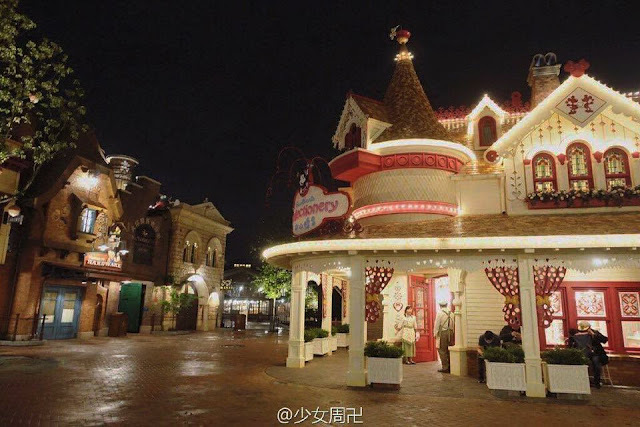 All pictures in this article are copyright their respective owners. 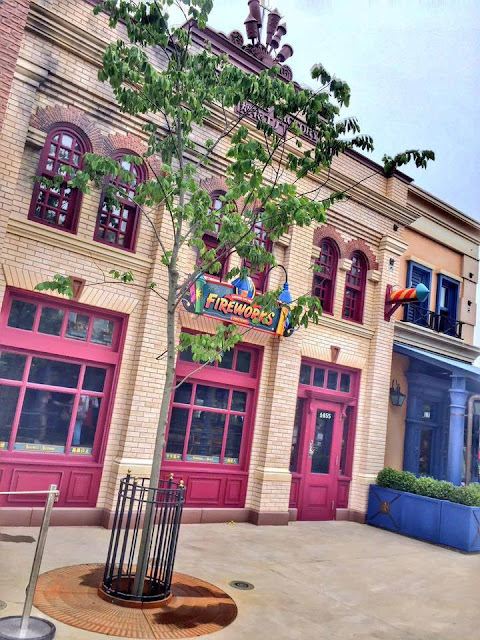 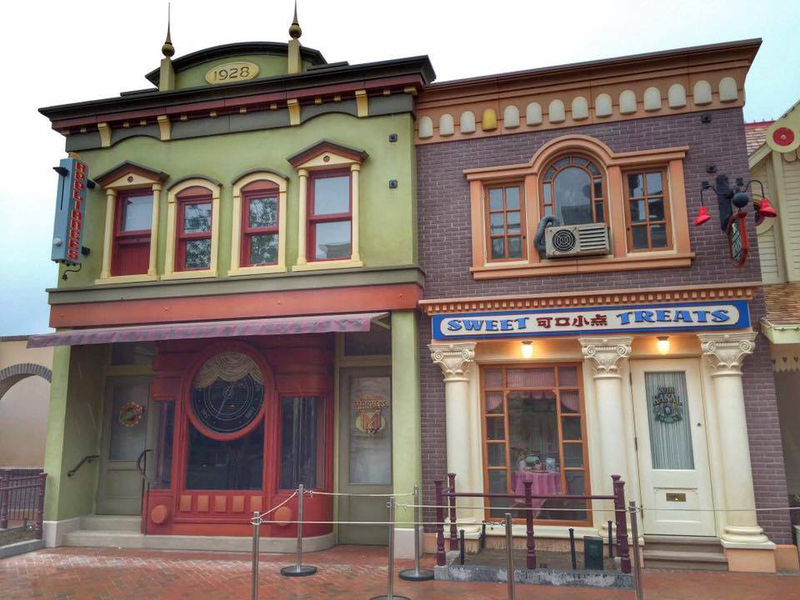 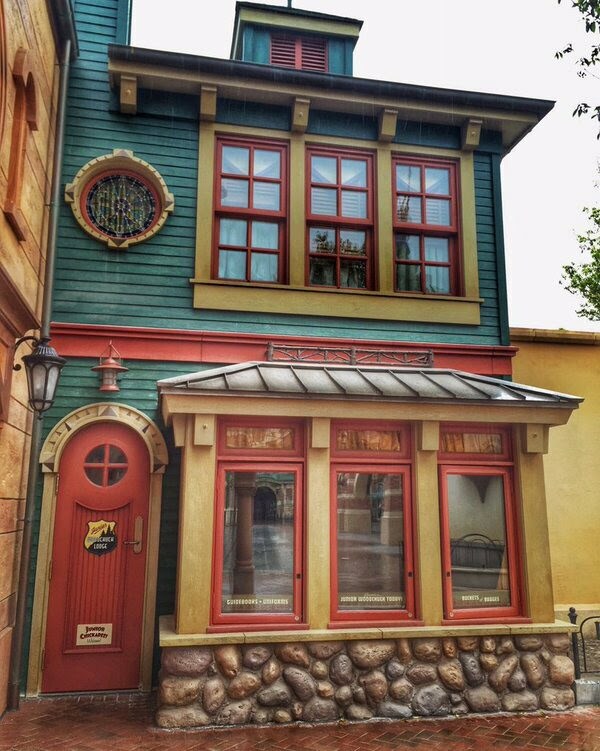 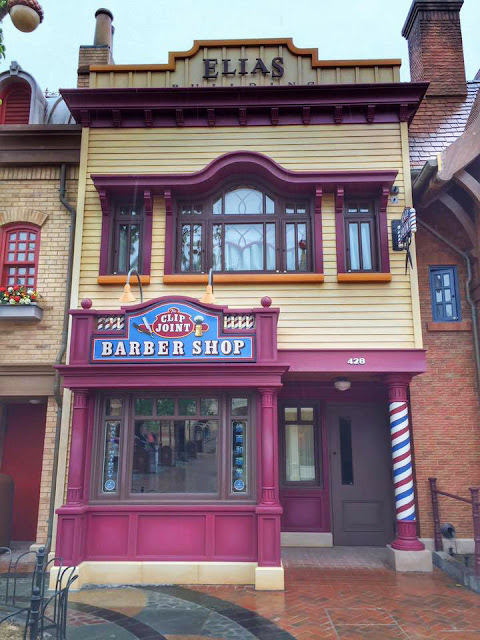 I noticed there aren't any cast members tribute windows on Mickey Avenue. 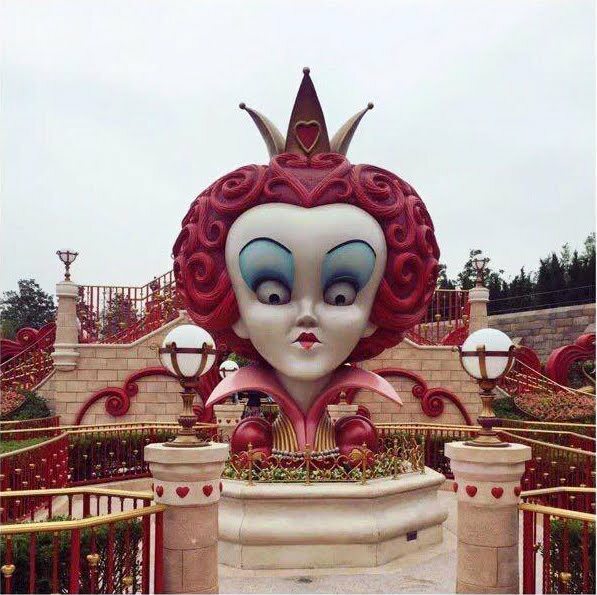 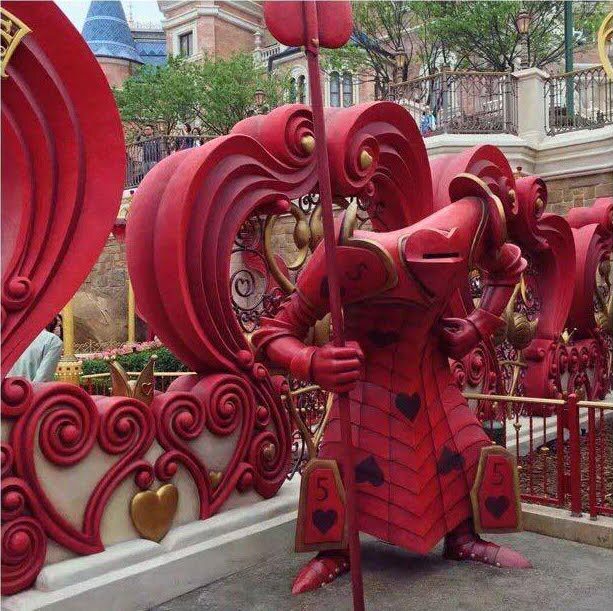 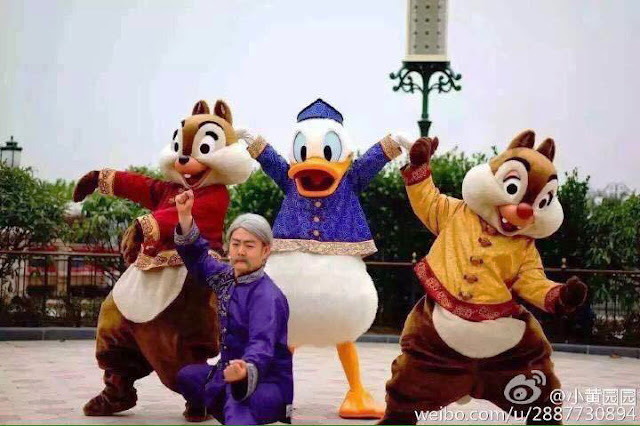 ^HKDL more like: "We're f***ed." 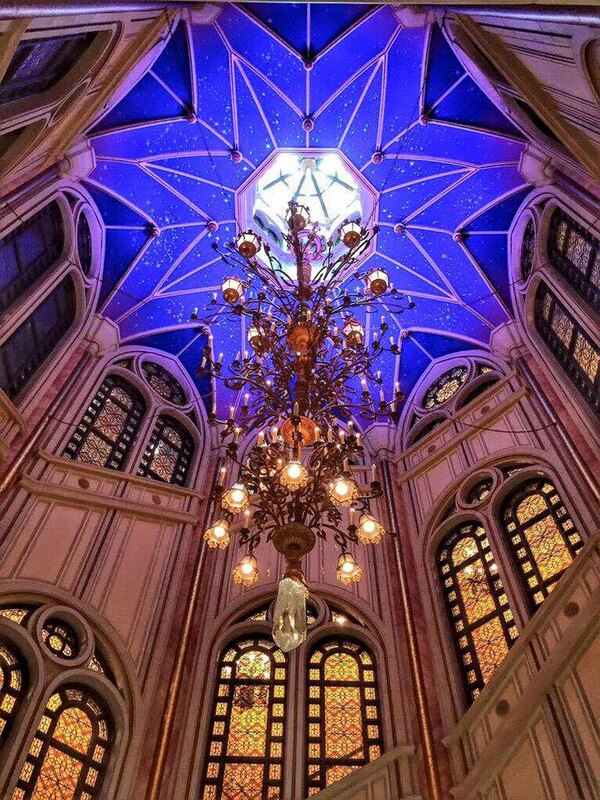 I can't get over how beautiful this is! Take me there now! Wow, that looks an incredible park. 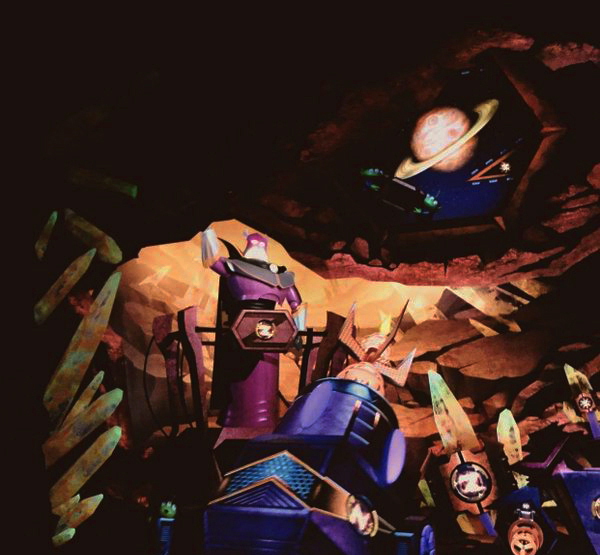 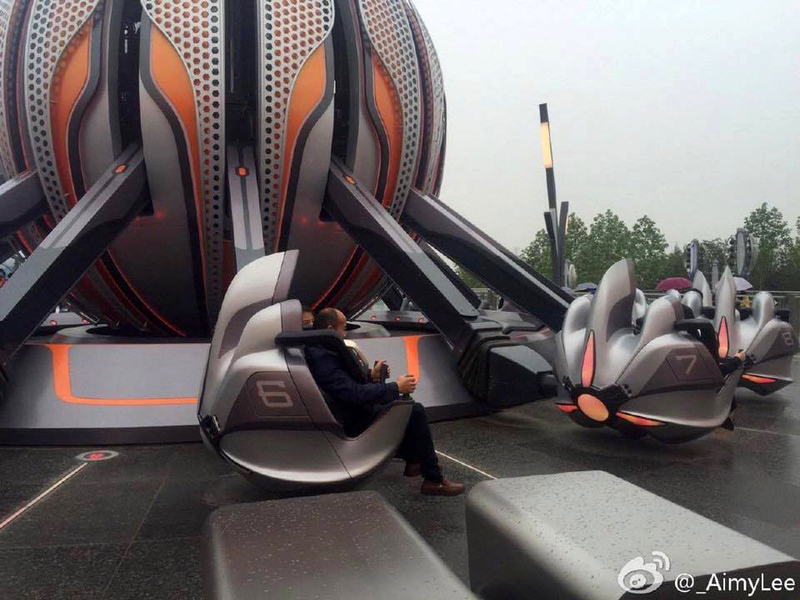 some of the new rides are so simple to change like the jet packs, dlp could easilly do that, its only new ride vehicles but changes it totally. 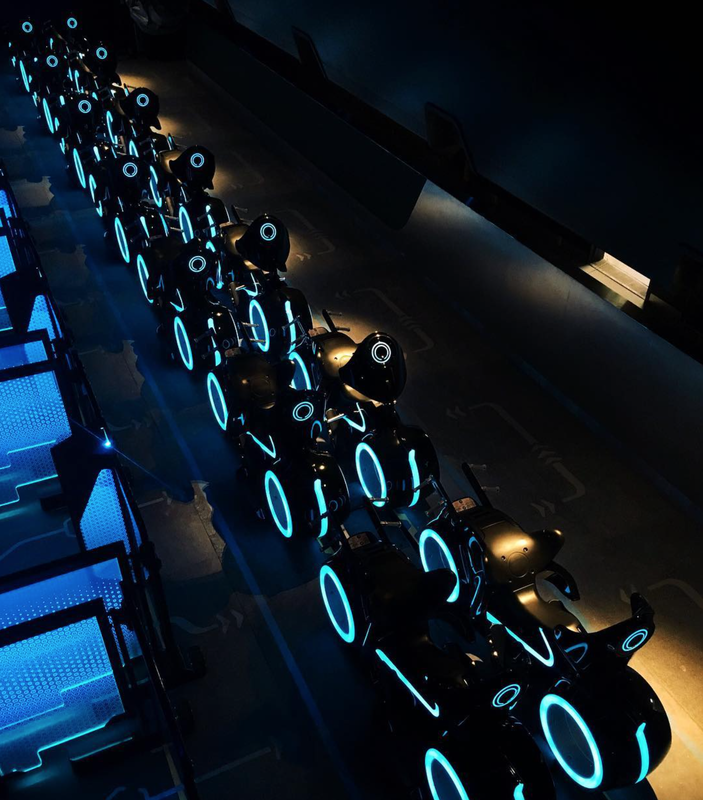 and tron looks incredible. The park looks really beautiful. 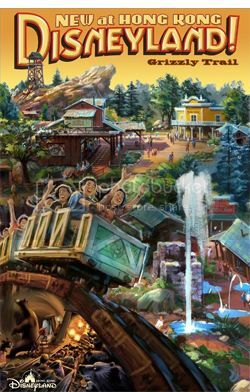 I'm worried about the capacity of Dumbo though - considering at the Magic Kingdom it was at the back of the park and it was so busy they had to move it and double it in size. 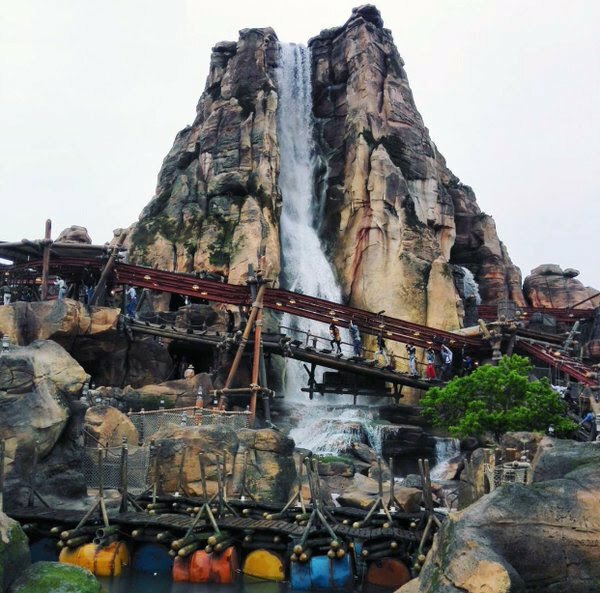 Here, they've only built one and it's slap-bang in the centre of the park, and probably the first ride guests will walk past! I'm surprised they didn't put in two. 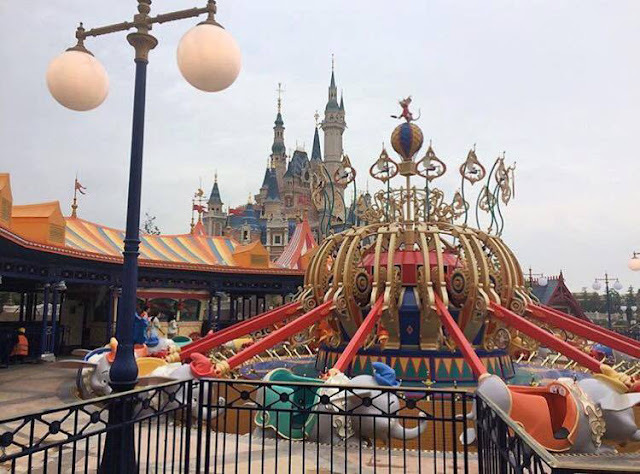 On a capacity point of view a double Dumbo would make sense but the reason why SDL Imagineers didn't put two Dumbo is most probably for an esthetic reason. 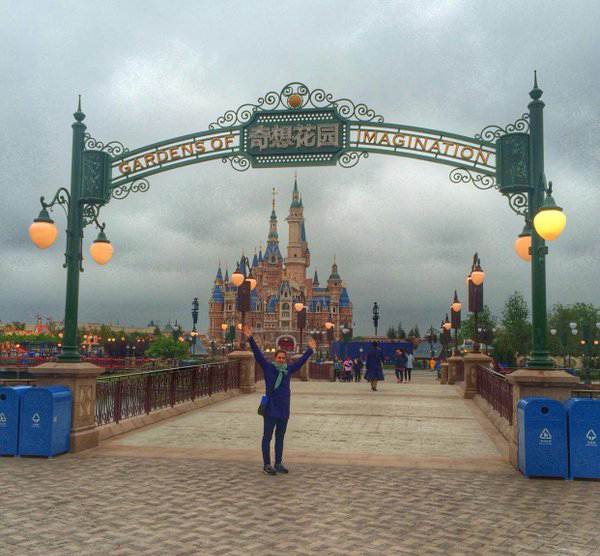 Two Dumbo with their flying guests would not have been as nice in front of the castle. 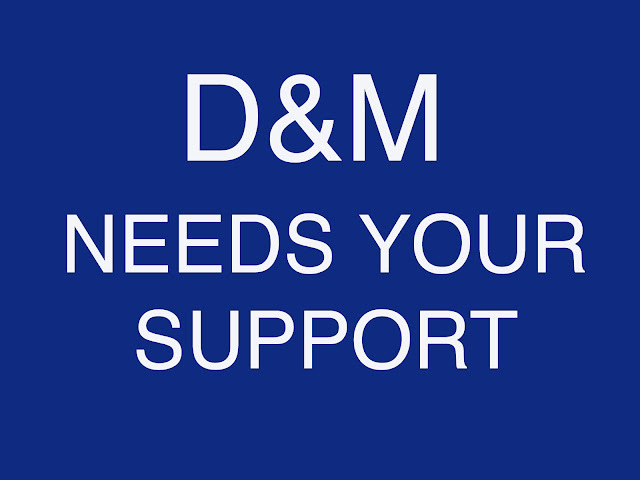 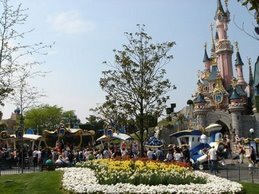 current cutbacks at the domestic parks, a history of cheapness at the domestic parks (for the last 20 years), slowness to improve the domestic parks, raising prices at the domestic parks with the expressed goal of reducing crowds. 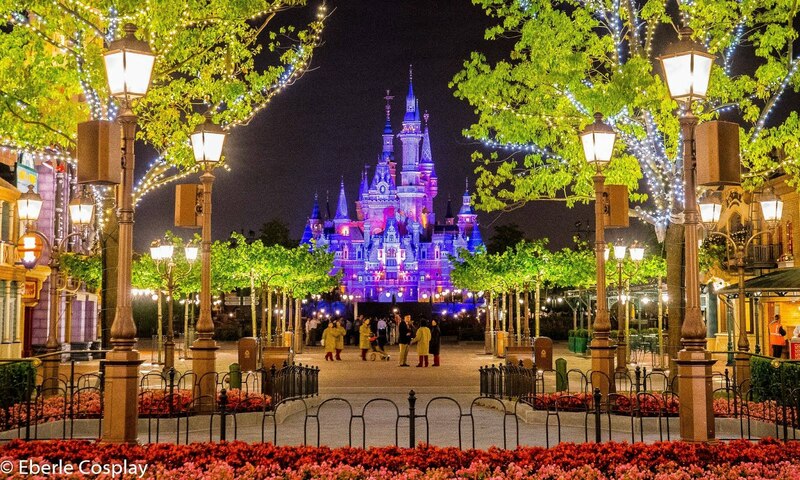 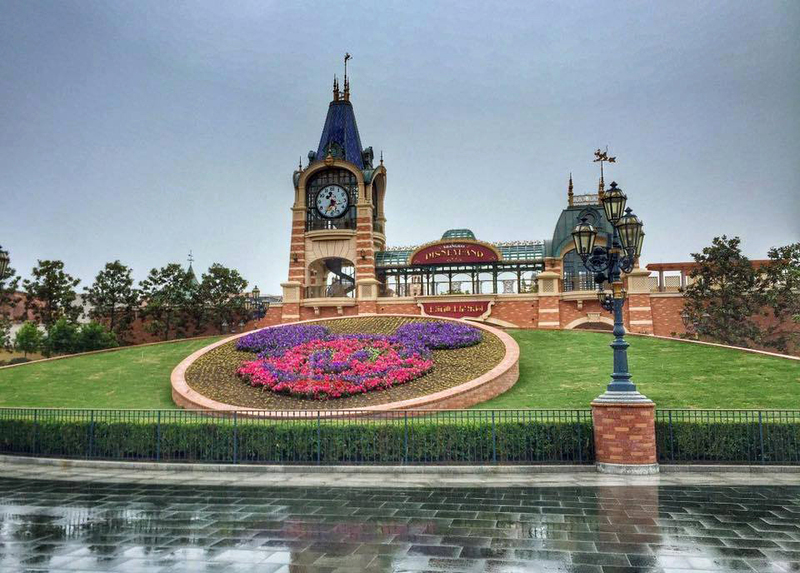 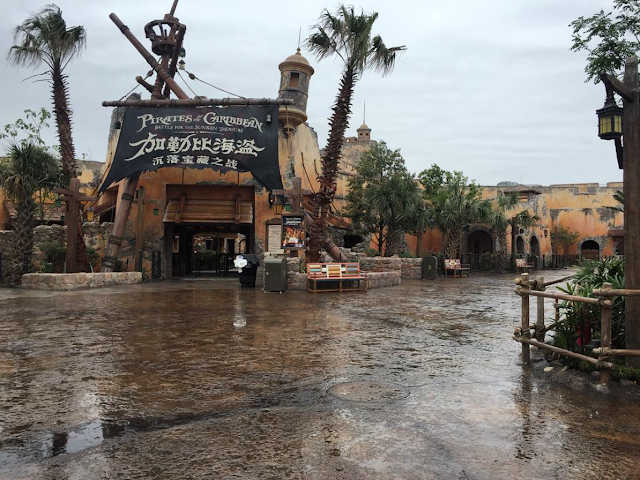 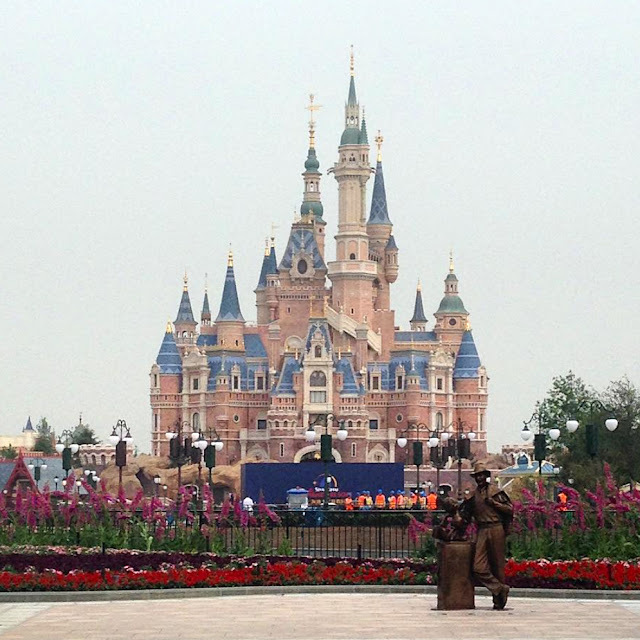 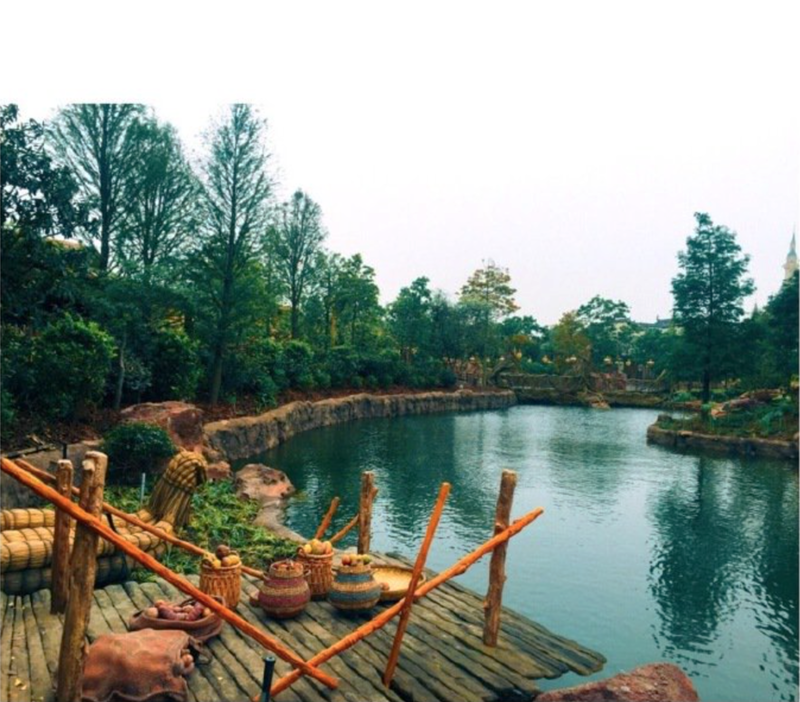 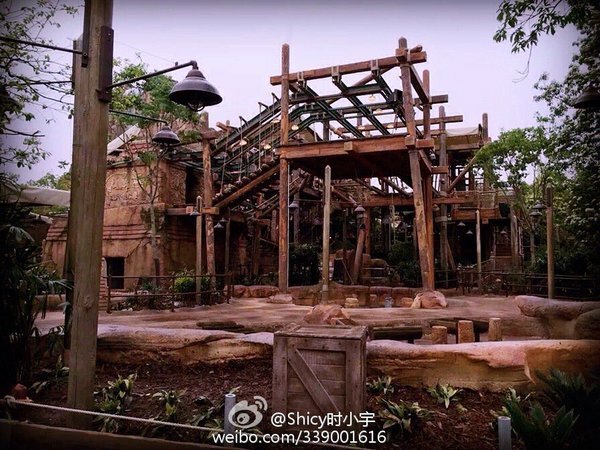 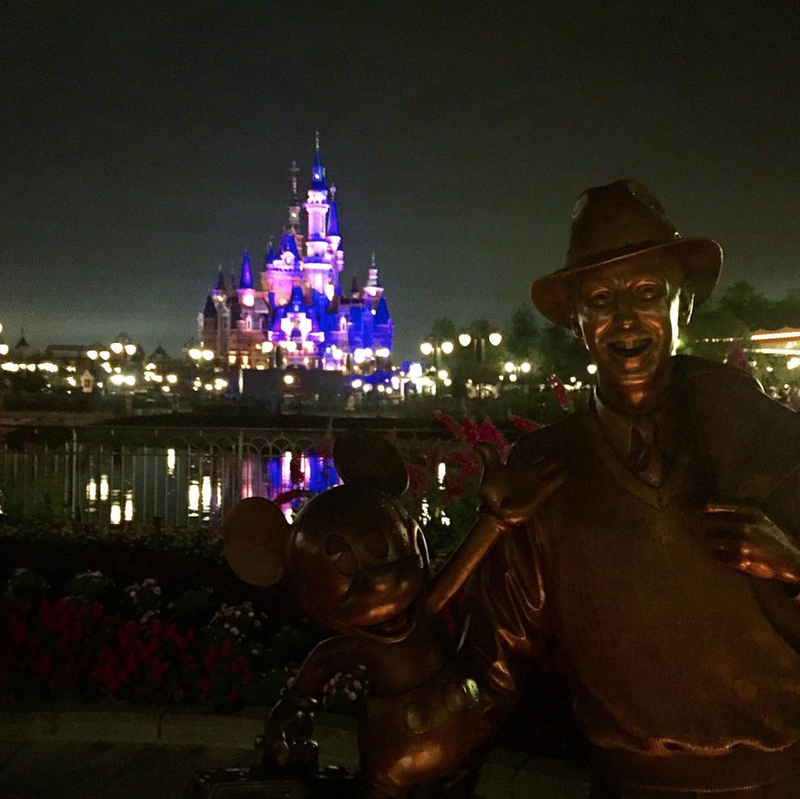 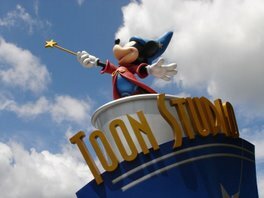 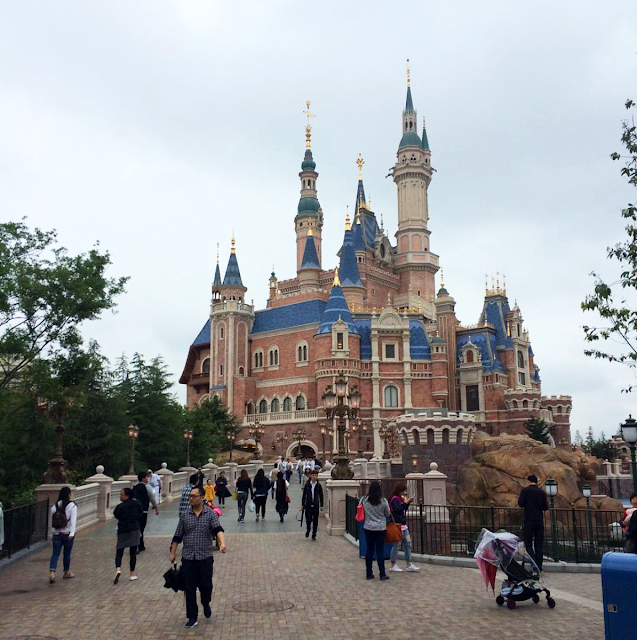 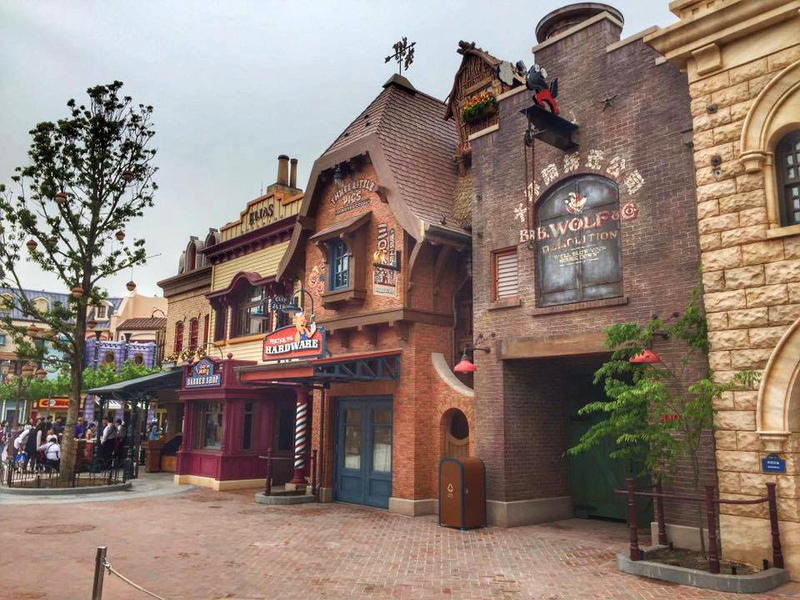 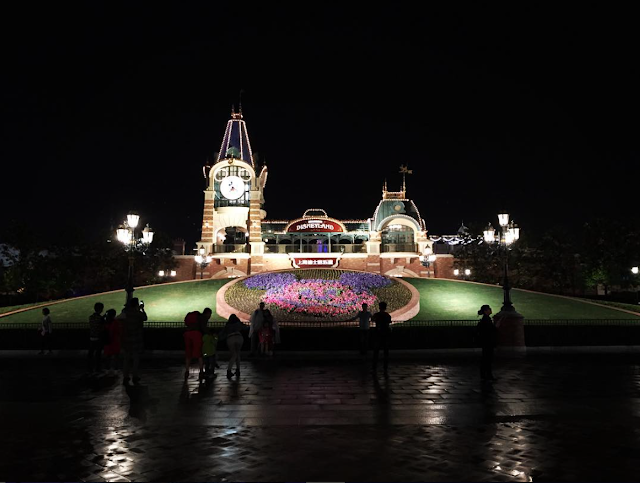 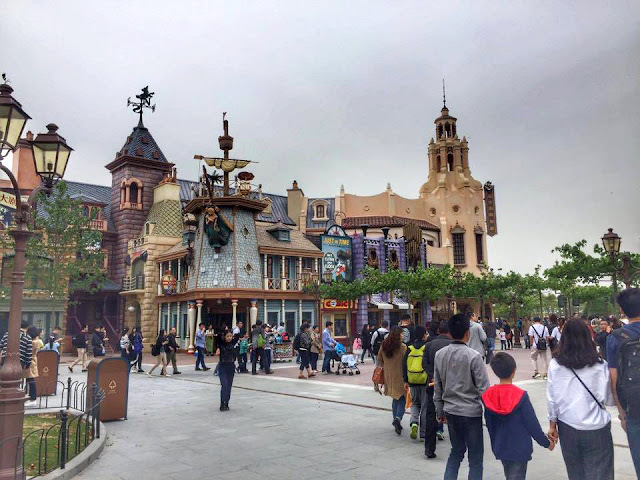 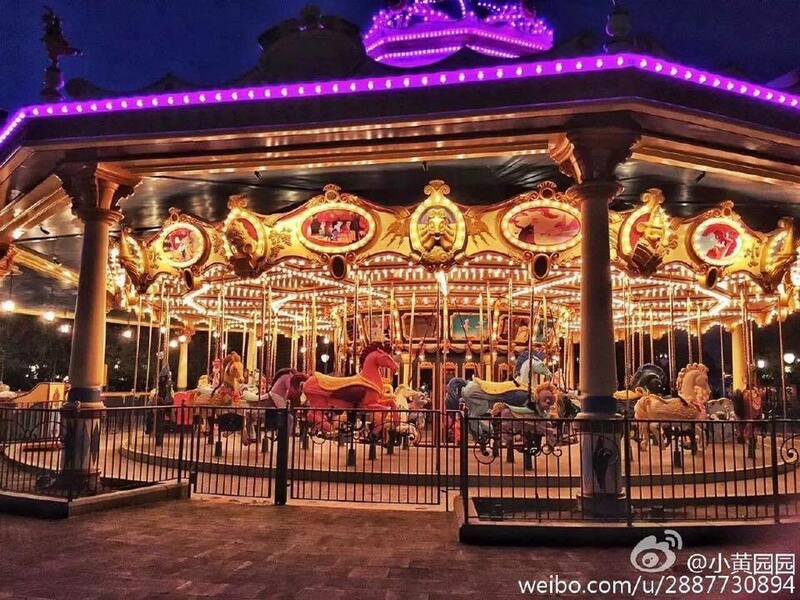 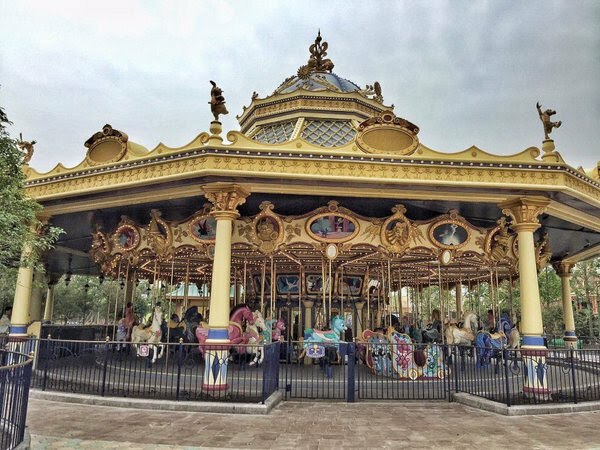 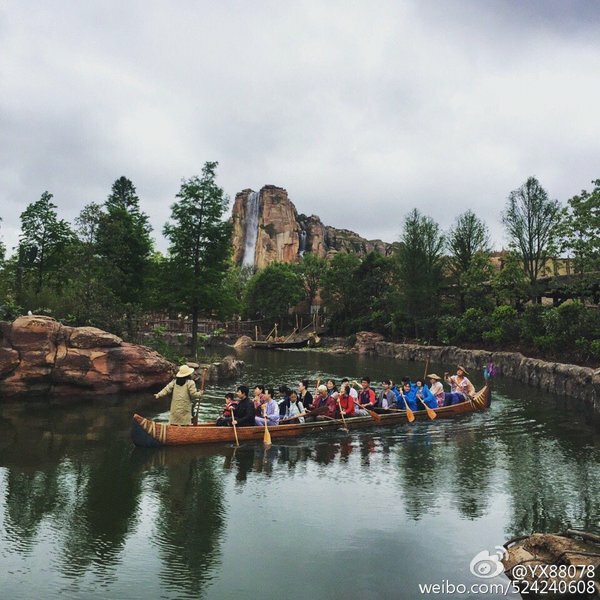 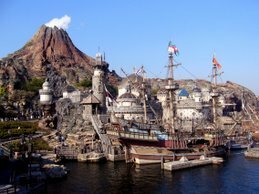 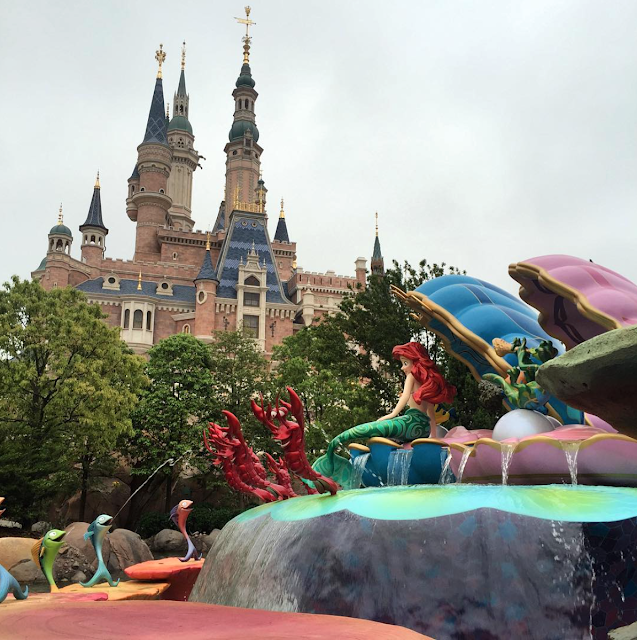 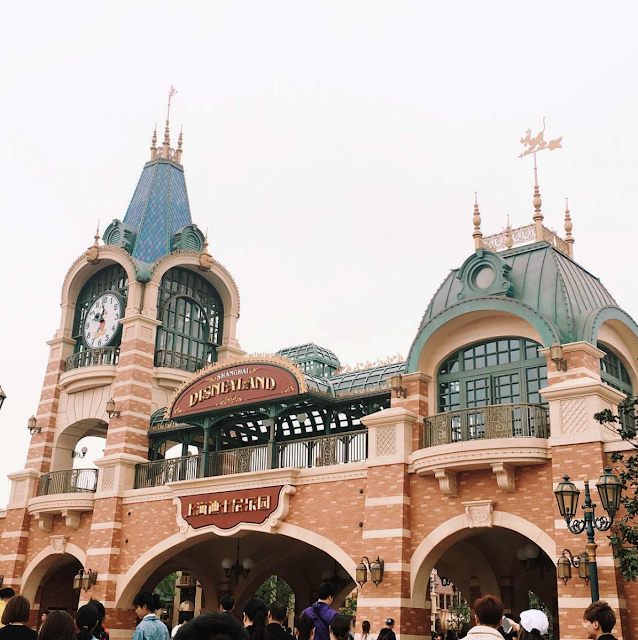 American fans now have two parks with which to compare, Shanghai and Tokyo Disneysea. 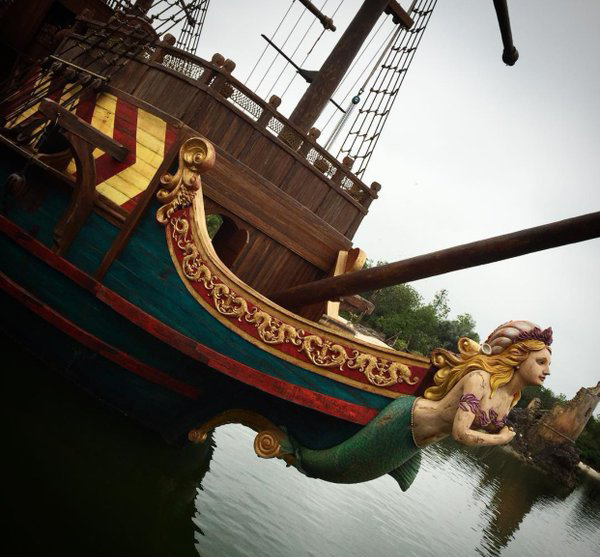 The Peter Pan ride alone will make fans ask the question, "Why can't we have that?" 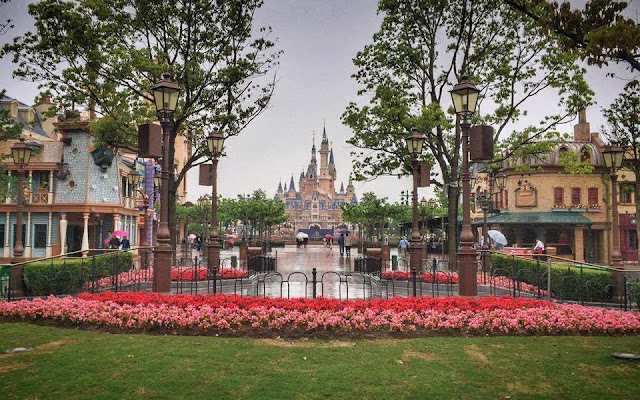 Even if Shanghai is a success, the only way Iger can redeem himself with core Disney fans is to now focus on a massive renovation and upgrade of all the domestic parks. I love this new park. 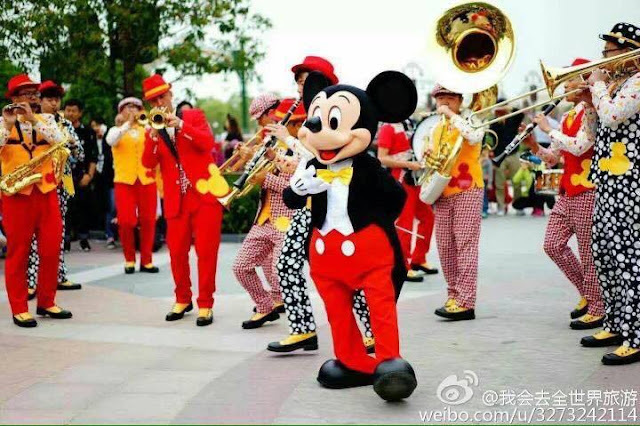 But I really don't like Micky Avenue. It doesn't have a unified theme; it's all over the place. 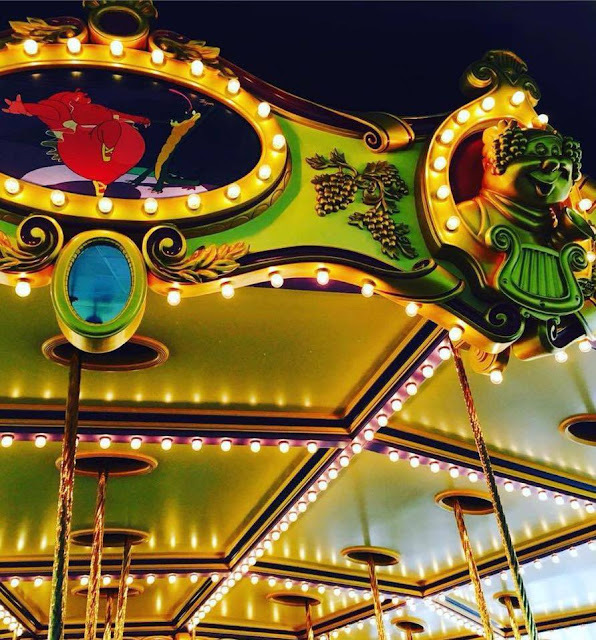 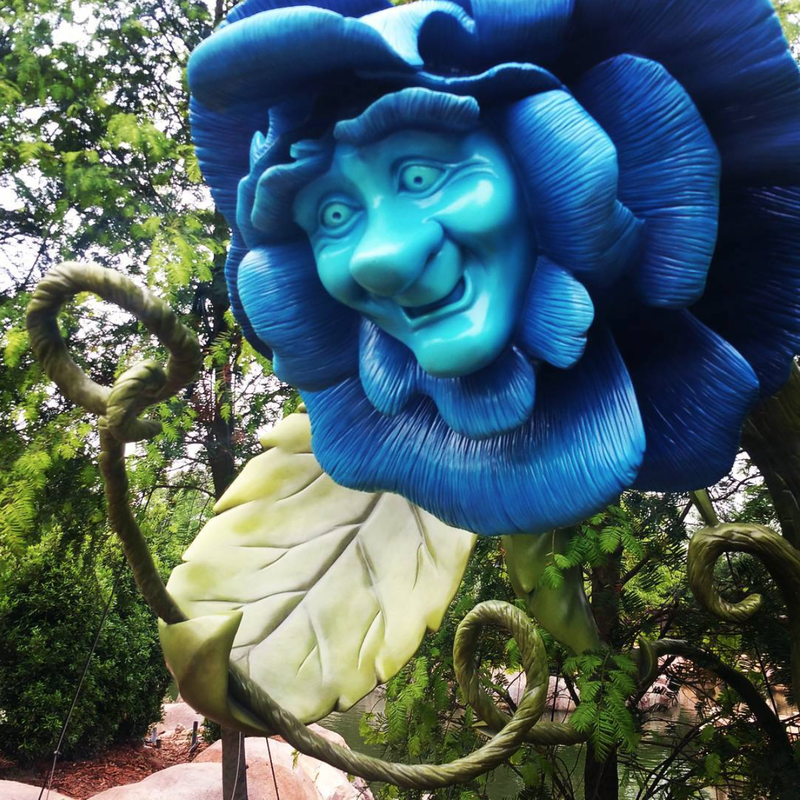 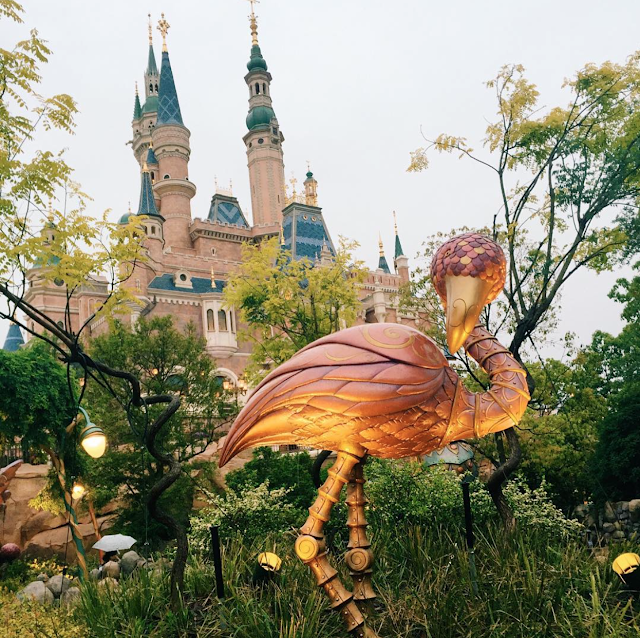 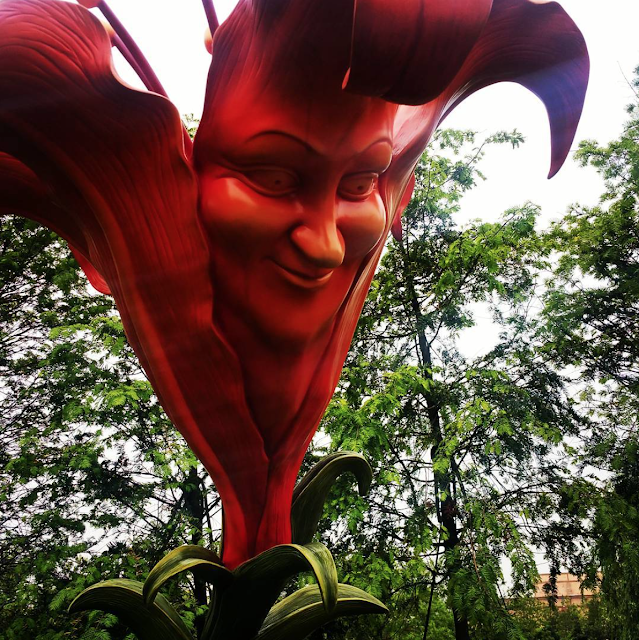 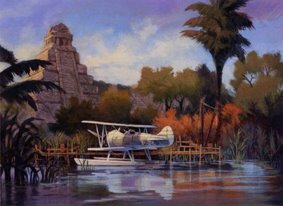 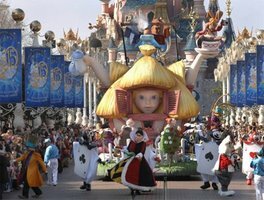 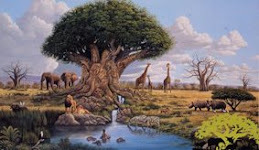 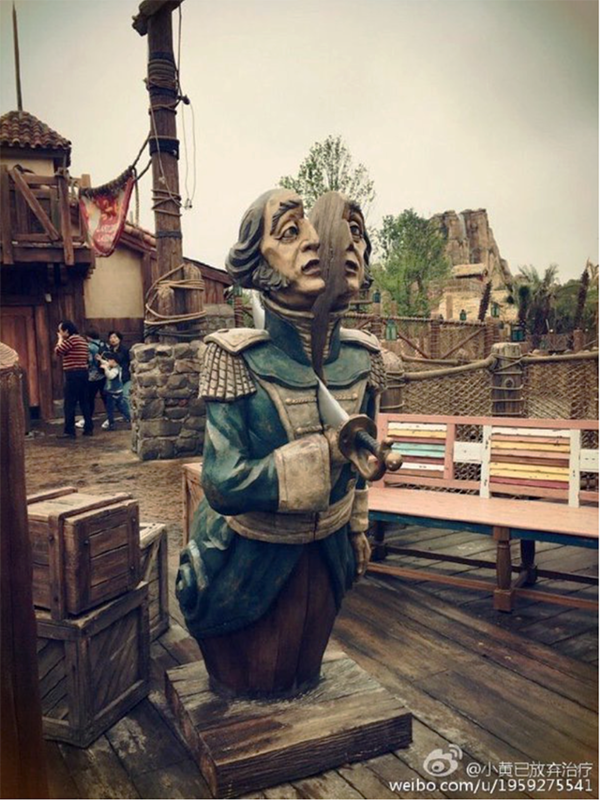 A park like the original Disneyland may not have the blessing of size to make large improvements, but if you just put in the Peter Pan animatronics from Shanghai, that would make a world of difference. 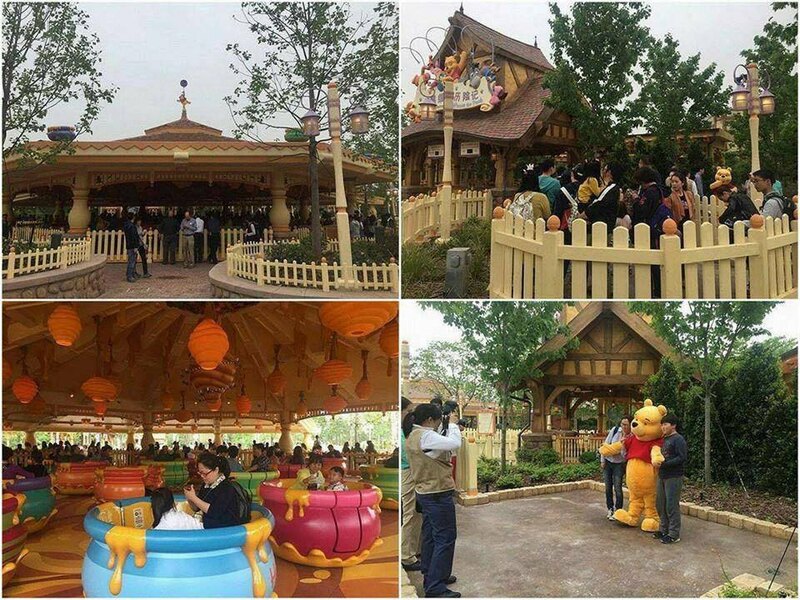 Same for Winnie the Pooh, some of the Shanghai animatronics are similar, but the scenes are much improved, obviously with a higher budget. 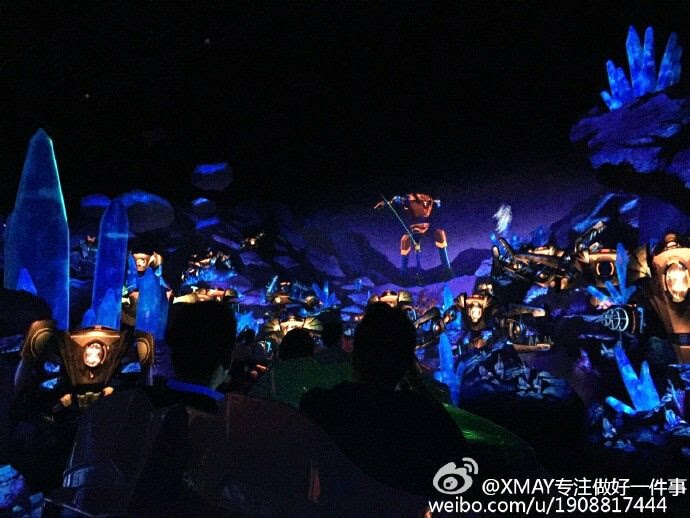 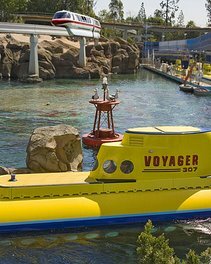 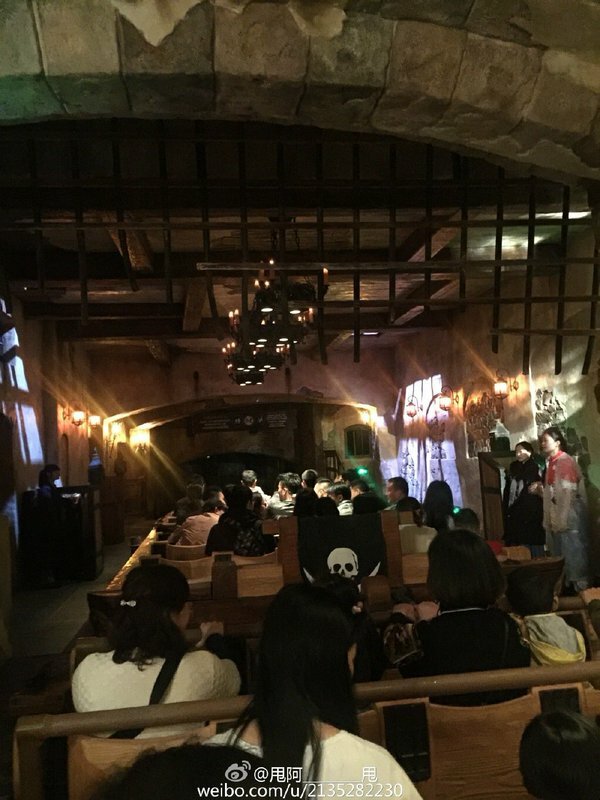 I can't tell for sure, but it seems like if they put in some of the large screens they used for Shanghai pirates into the Little Mermaid ride, the underwater scenes would have been much more convincing than a ride that mostly travels through caves. 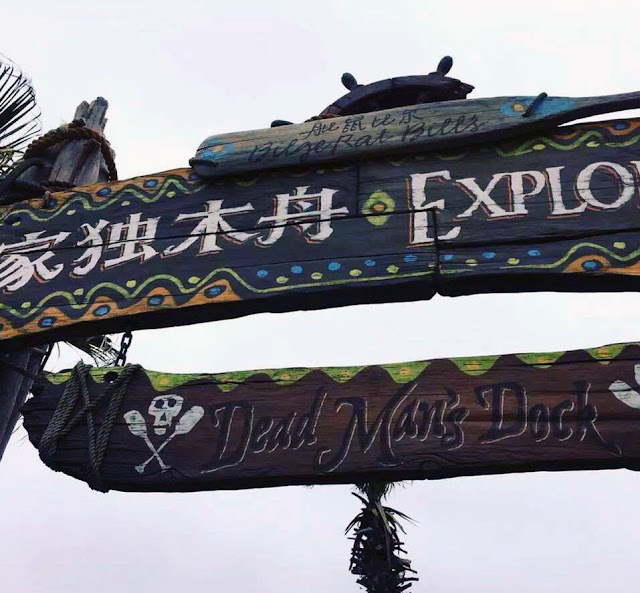 Mermaid is a D ticket at best, could have been an E ticket, but again, Disney cheaped out. 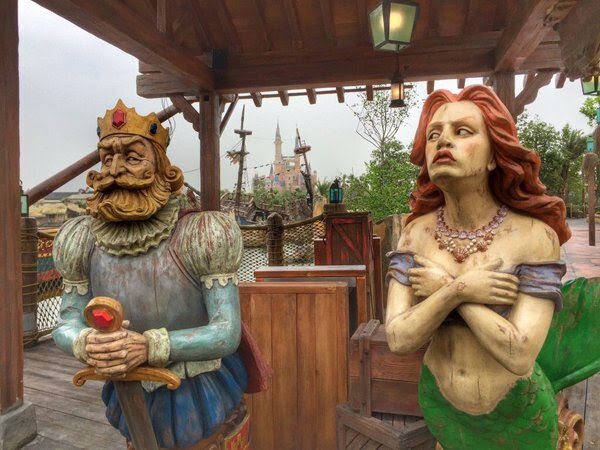 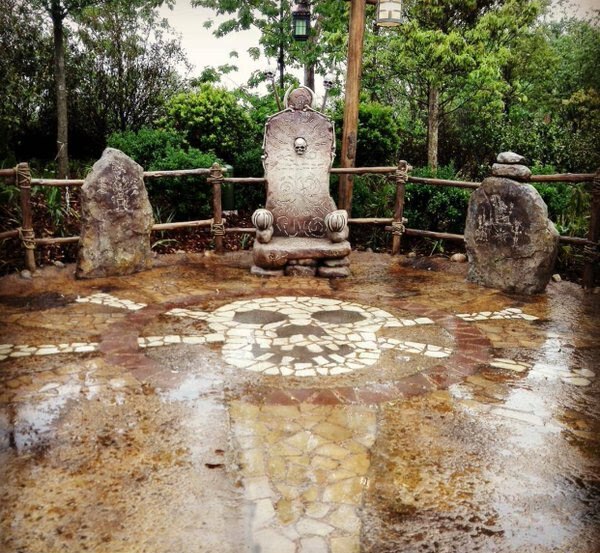 It's interesting that the Crystal Grotto ride is outdoors with a bunch of painted statues. 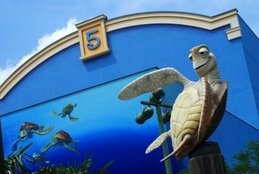 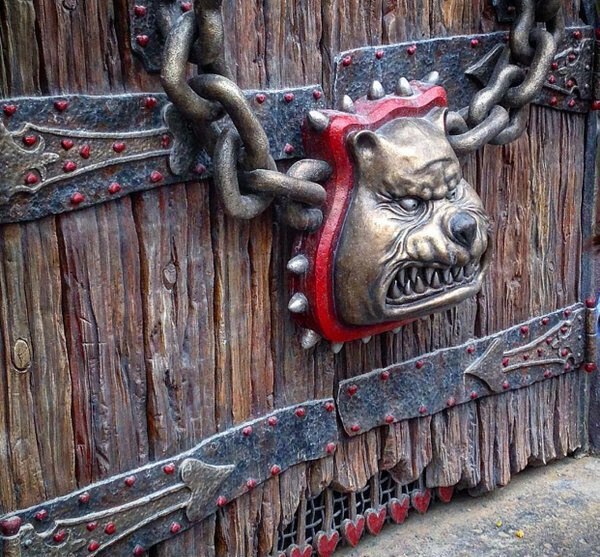 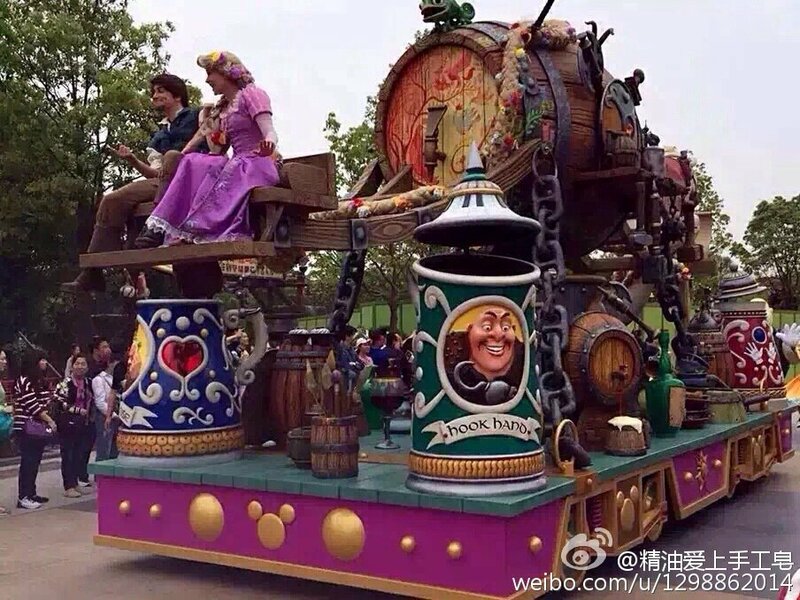 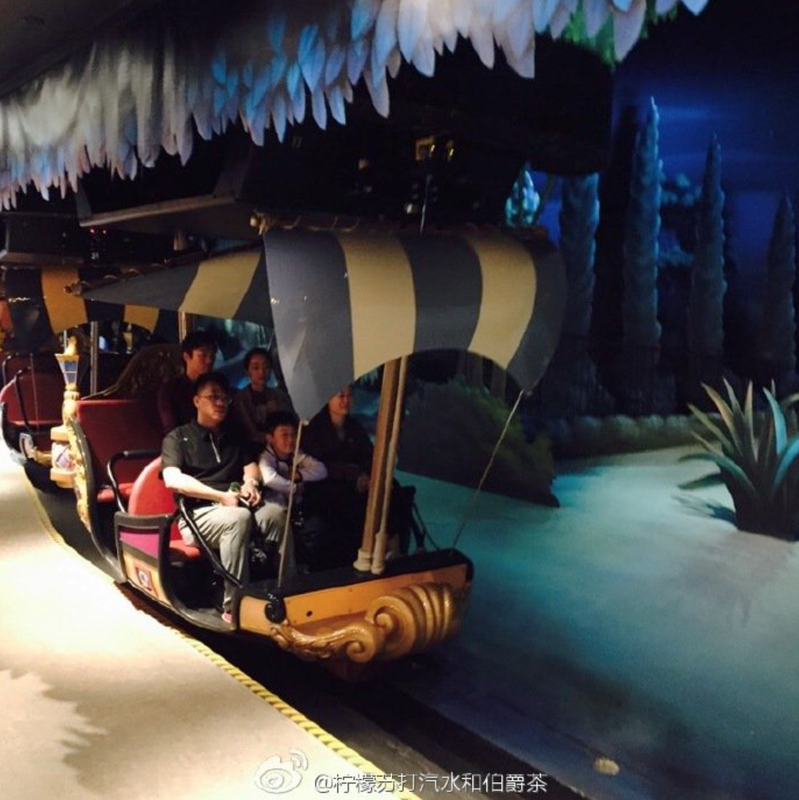 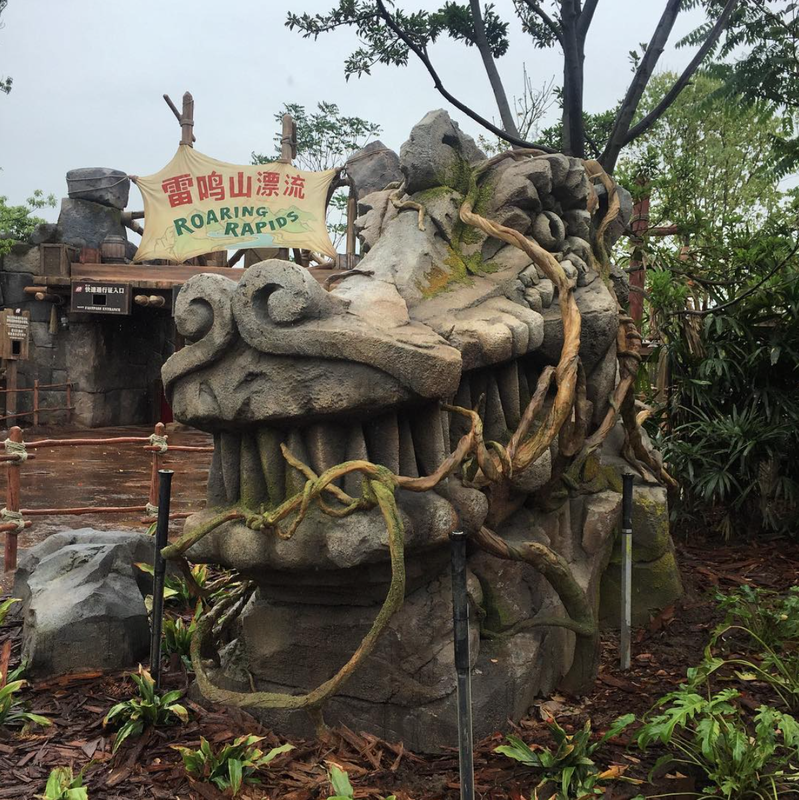 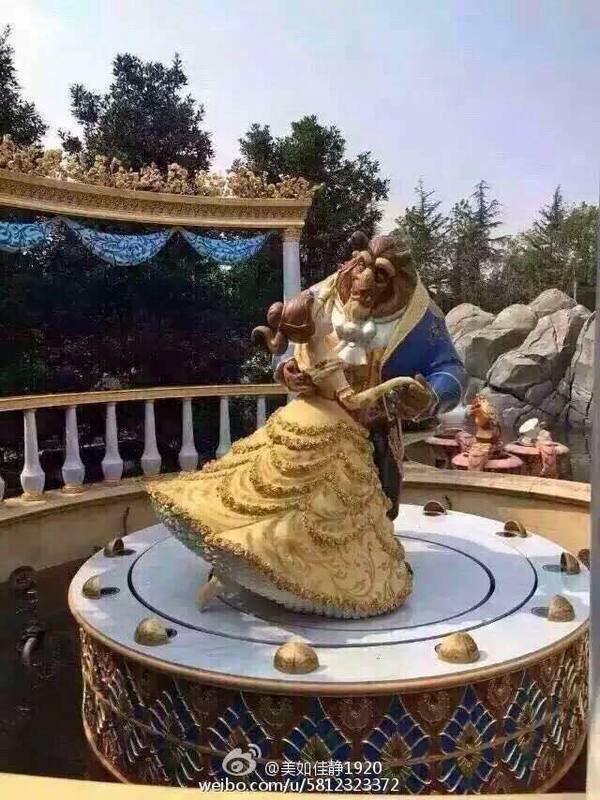 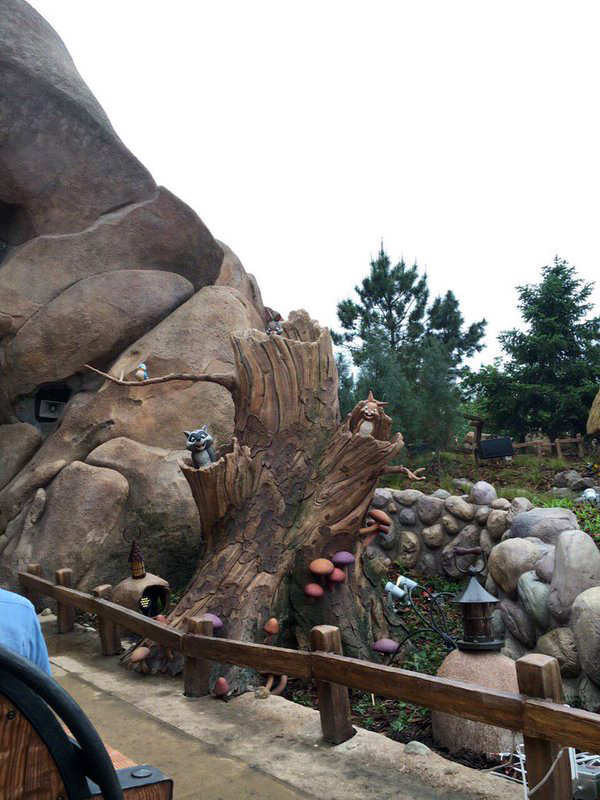 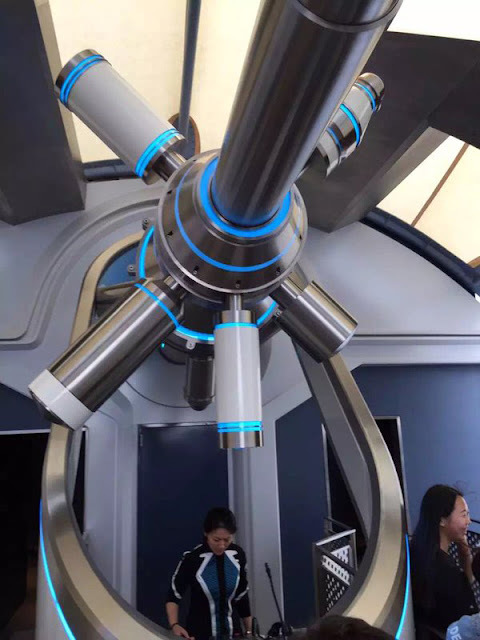 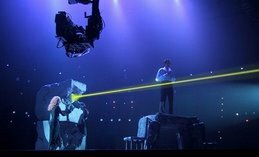 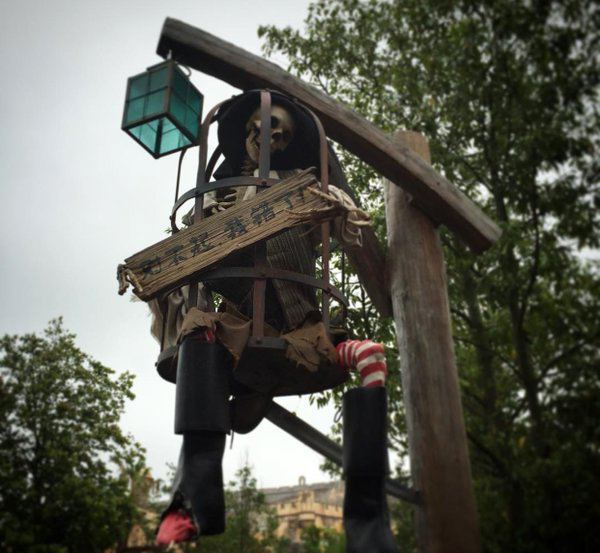 It would have been great as an indoor fully animatronic ride, maybe this is a result of Chinese preference? Also the Gardens of Imagination, I guess the Chinese like gardens? 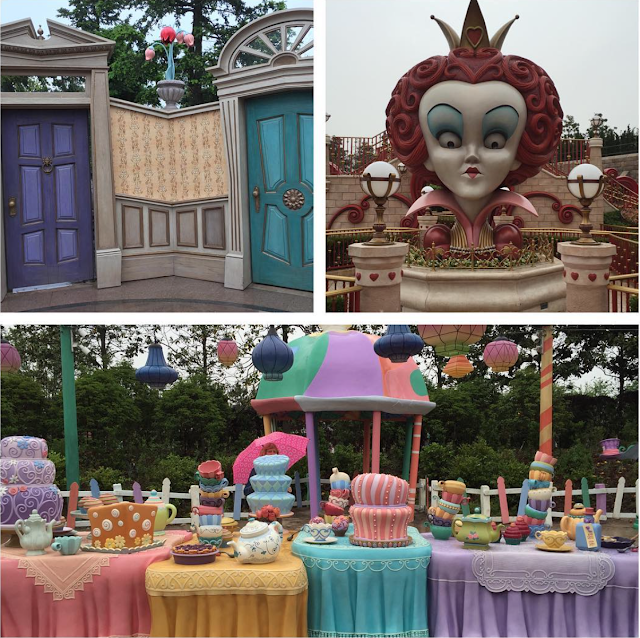 Alice doesn't interest me, the Tim Burton movies are overrated IMO, and I don't care how much money the first one made. 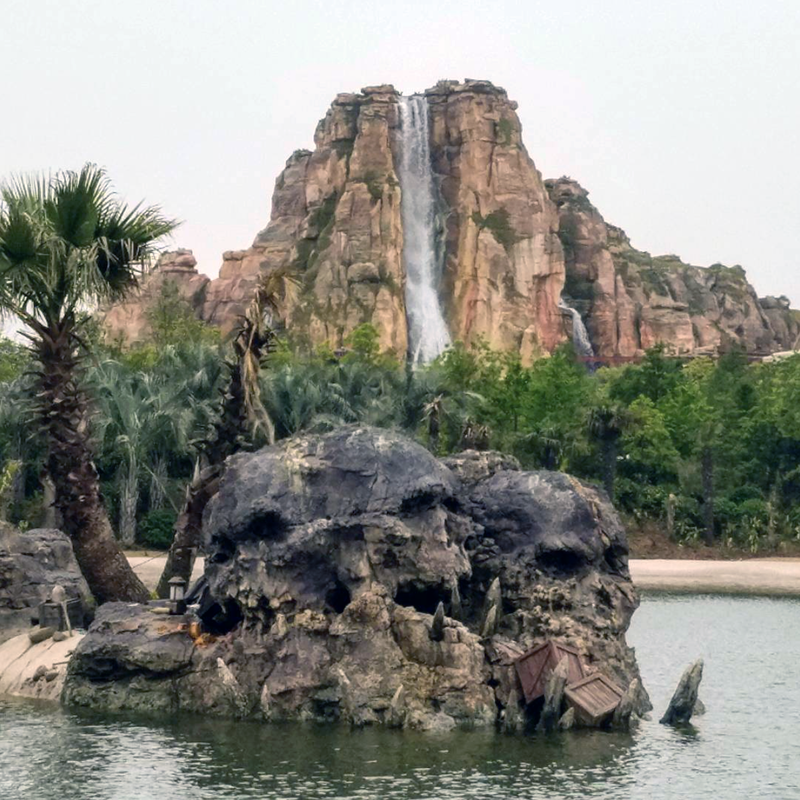 The stateside parks have the most devoted fans, but are not getting the attention the fans deserve, but maybe now they will. 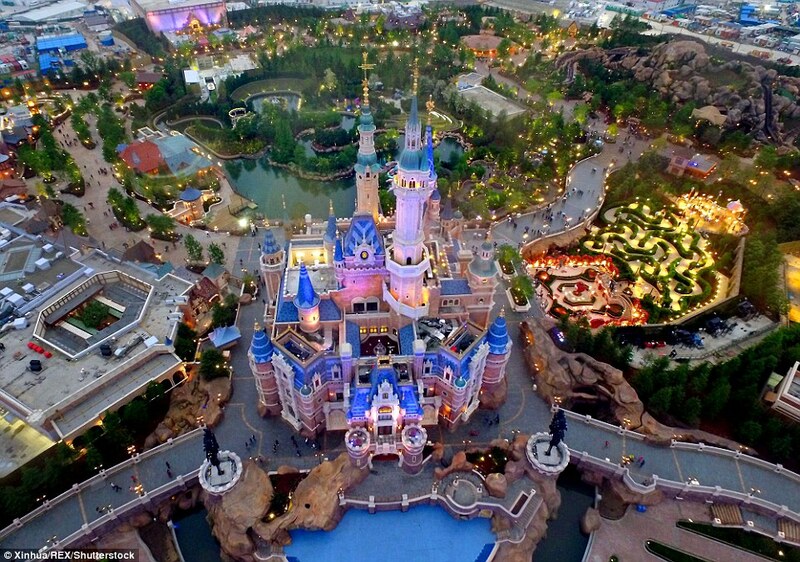 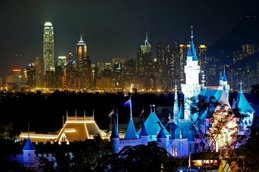 I think Shanghai is up there as one of the most beautiful Disney parks right next to Disneyland Paris in its prime. 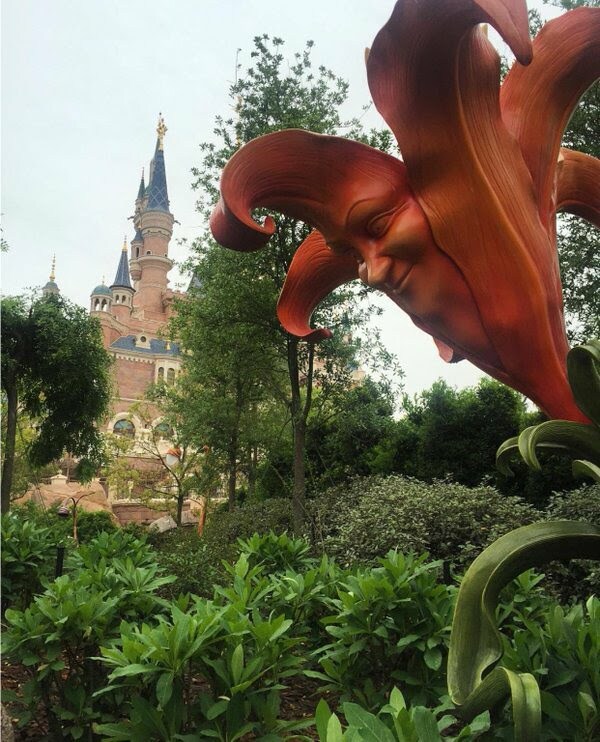 I also love how you post more photos and went from 150 to 160 to 180 photos. 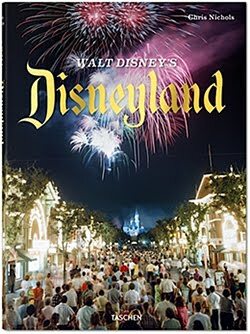 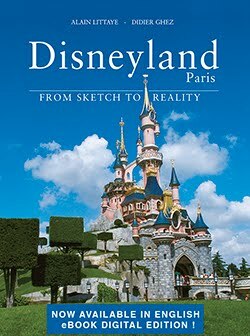 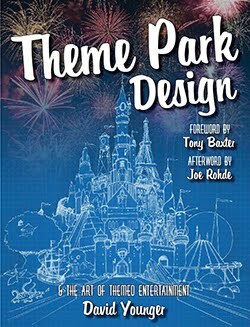 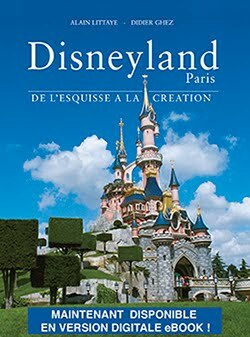 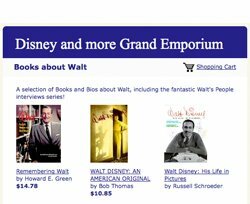 I like to think this park would make Walt proud and carries on the tradition of Disneyland is a whole new and exciting way. 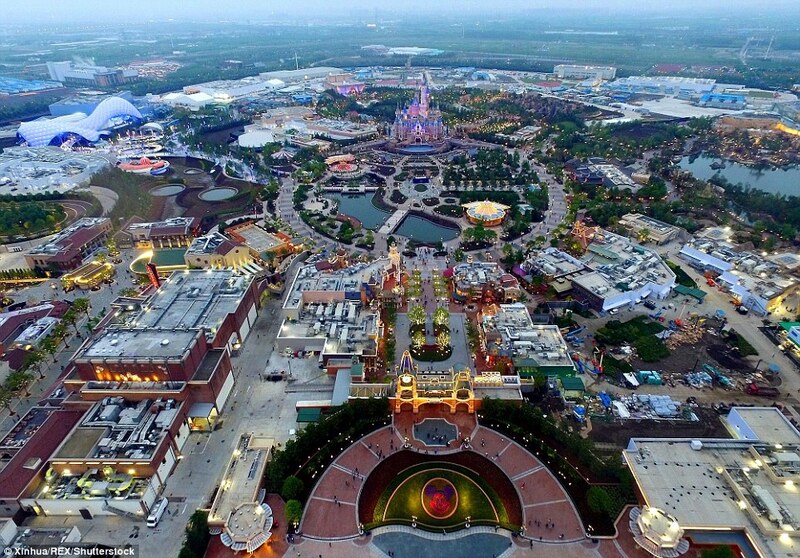 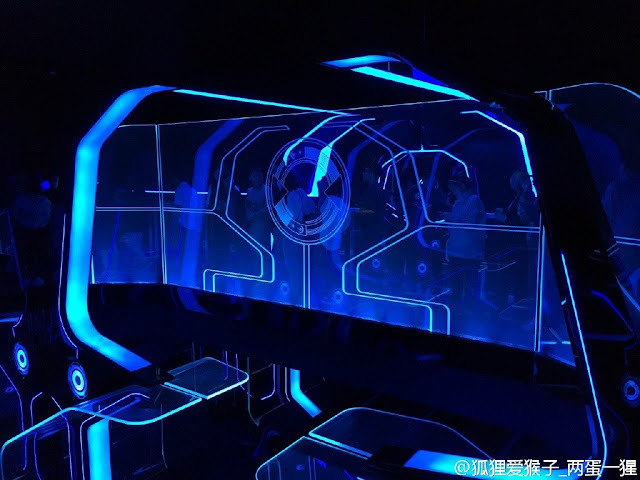 Shanghai is the vista to the way attractions will be shown and presented in all Parks in the near future. 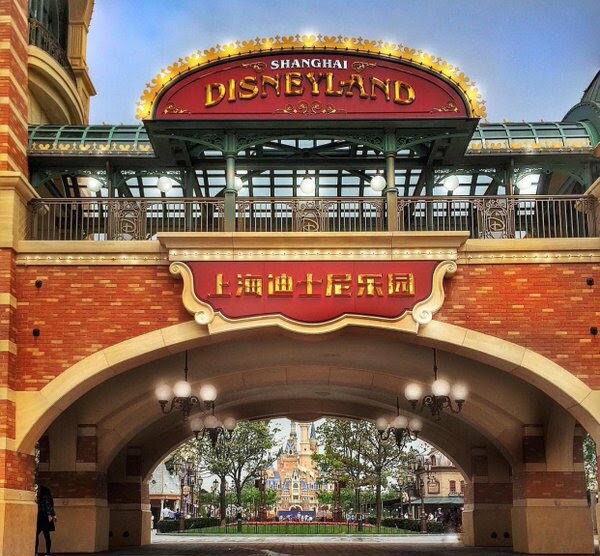 New Shanghaî Disneyland Trailer Version 2 ! 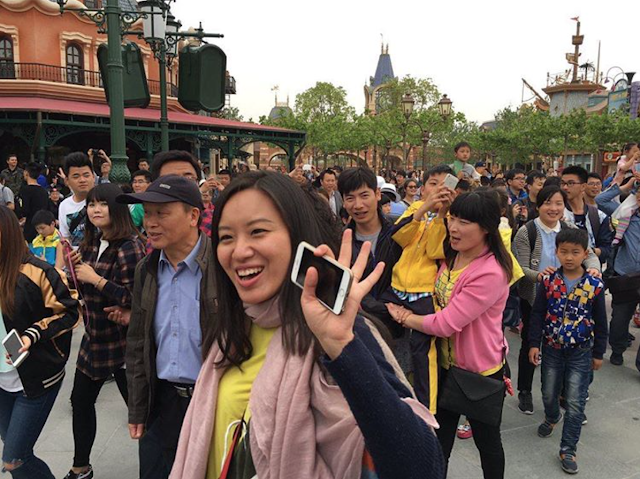 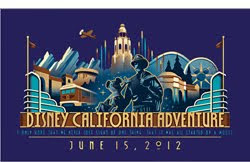 New Shanghaî Disneyland Commercial !